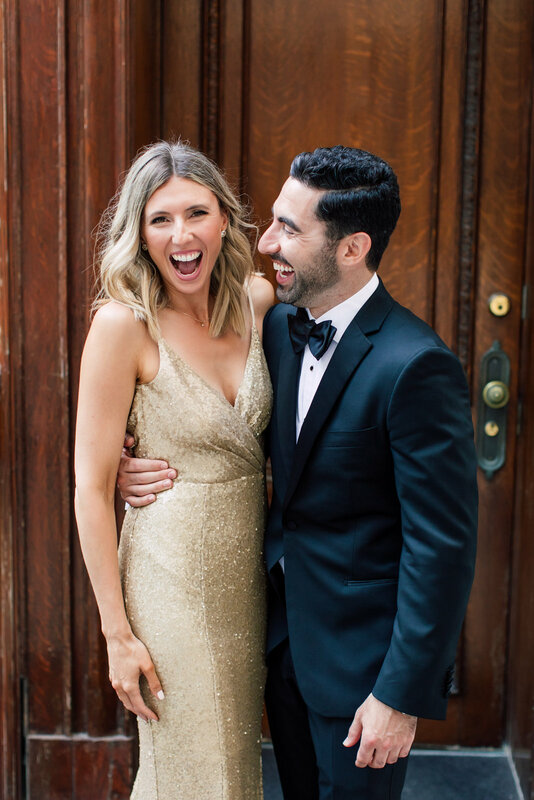 Last spring, when we had the privilege of working with them for their engagement shoot, we bore witness to the crazy amount of love that transpired between two beautiful people named Mara and Jay. 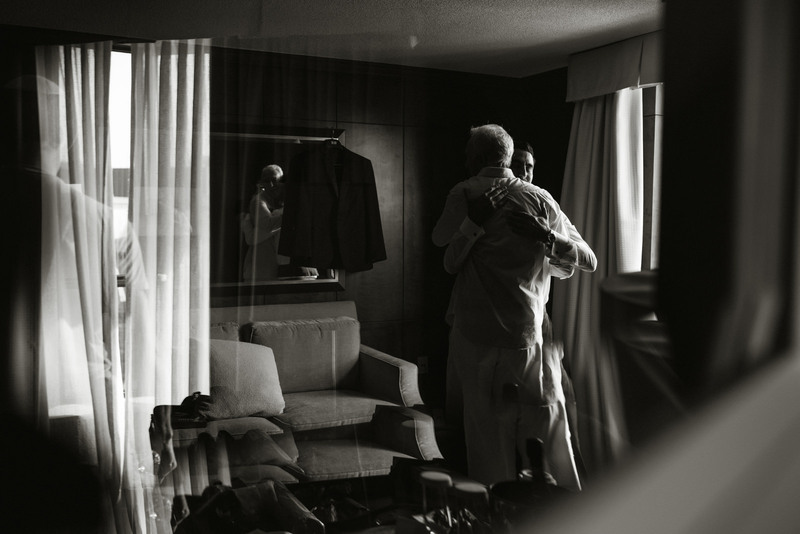 They were so happy with each other, and looked like they were in the perfect season in their lives to commit to one another. 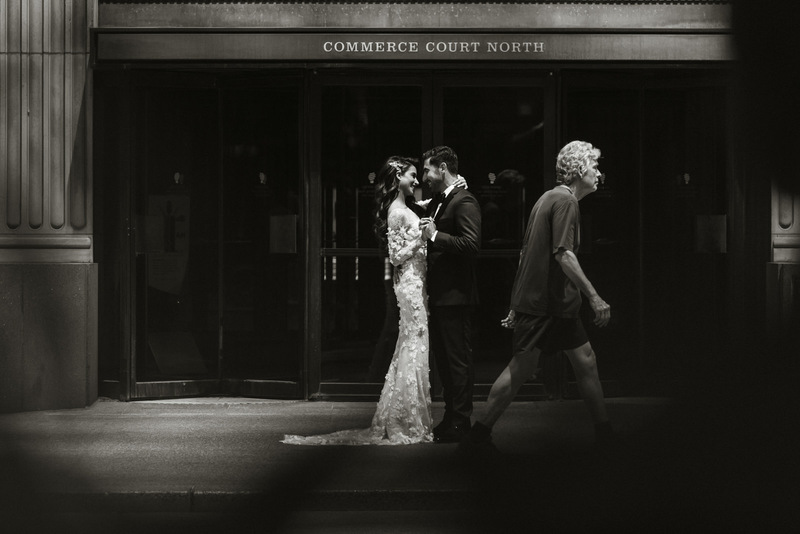 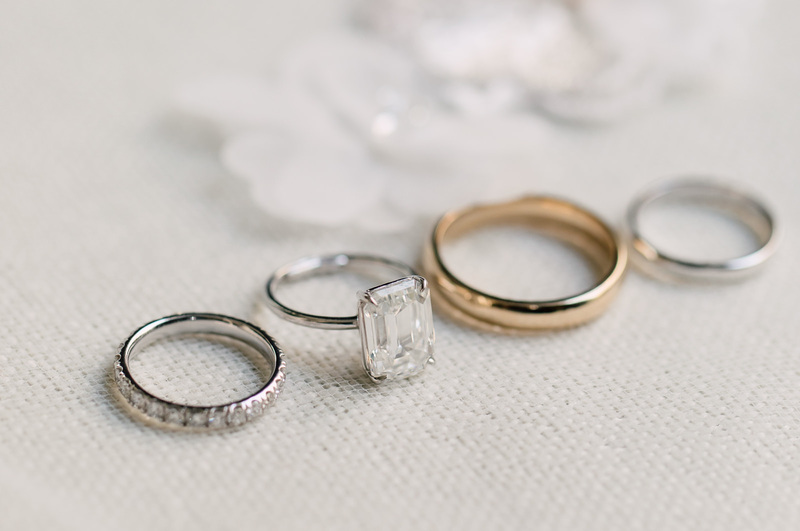 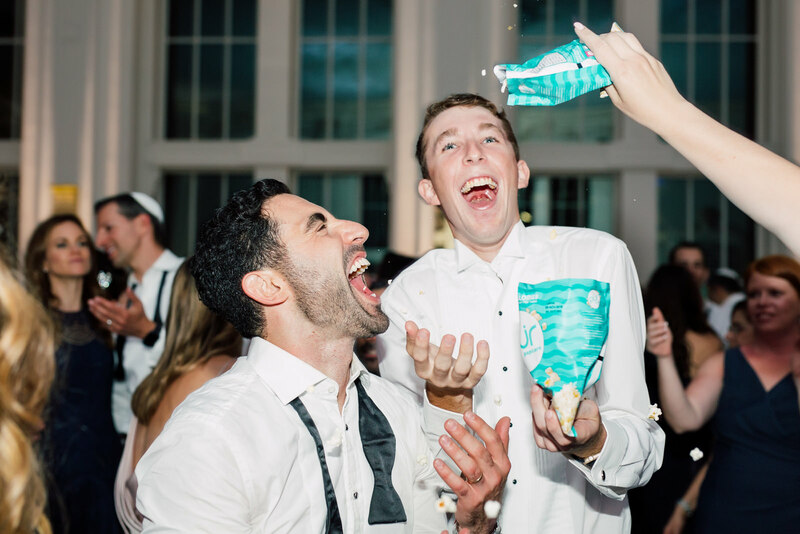 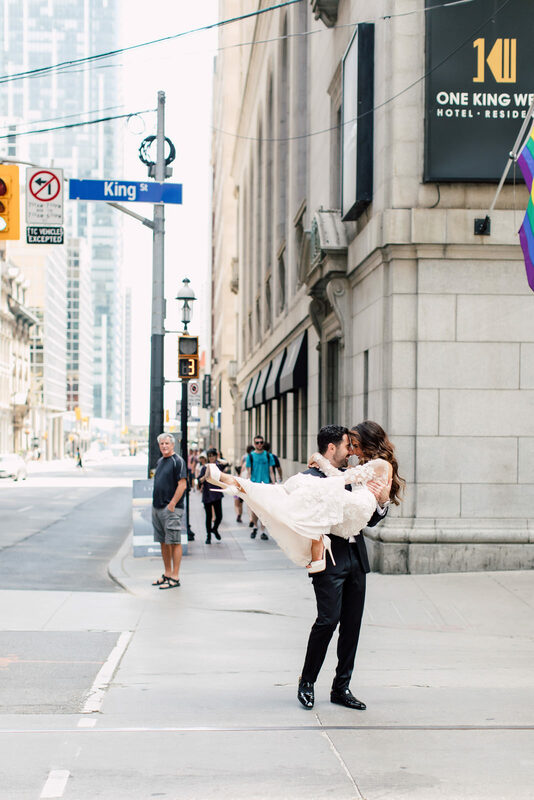 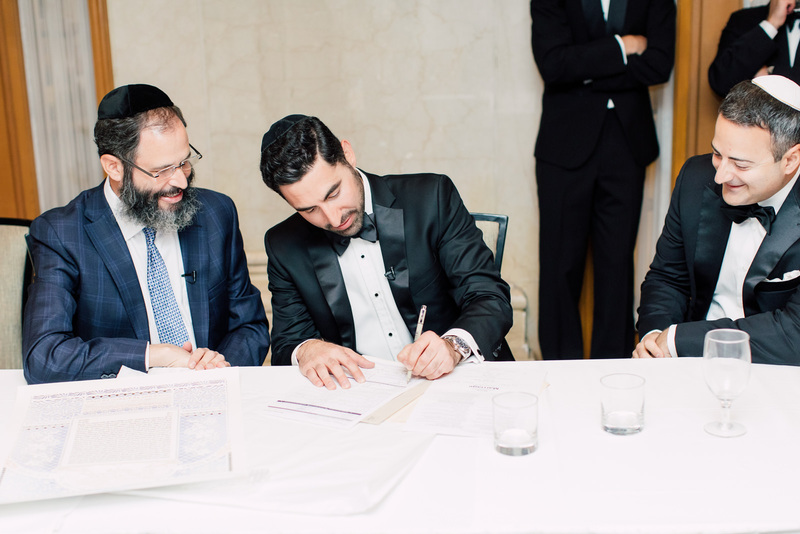 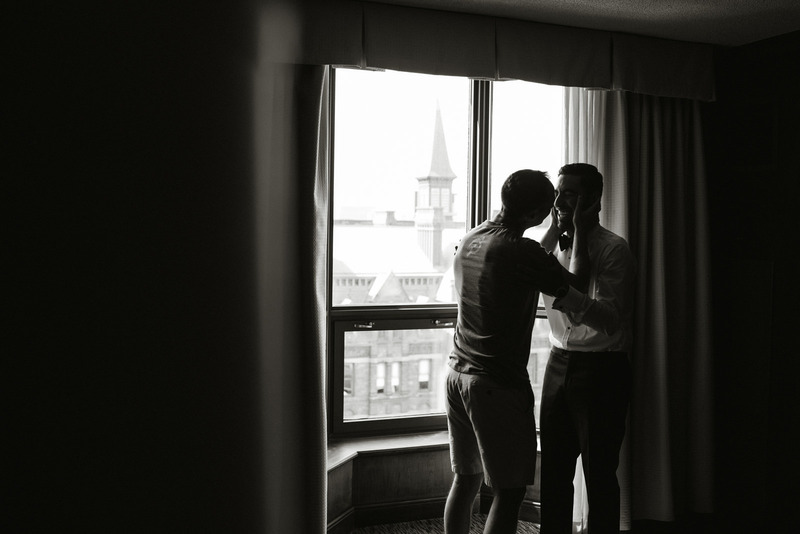 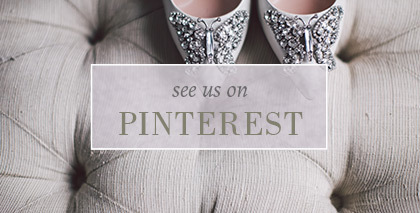 Last summer, we bore witness to the day they finally bid their “I do’s”. 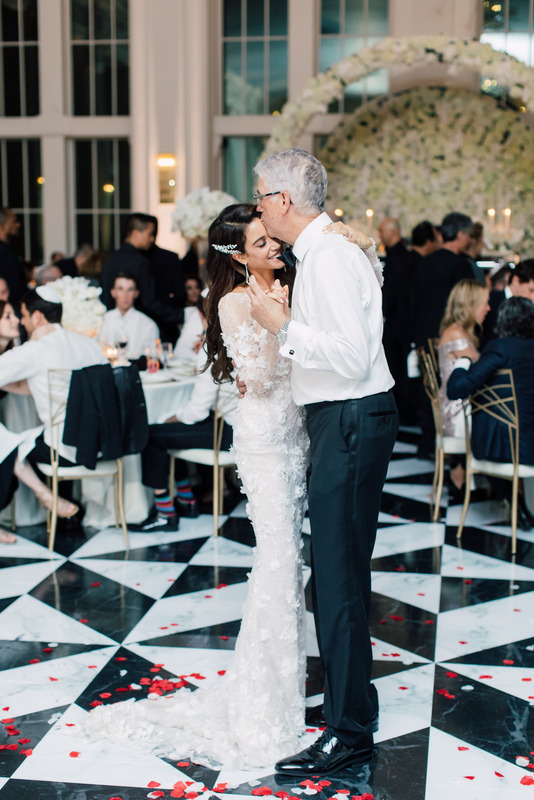 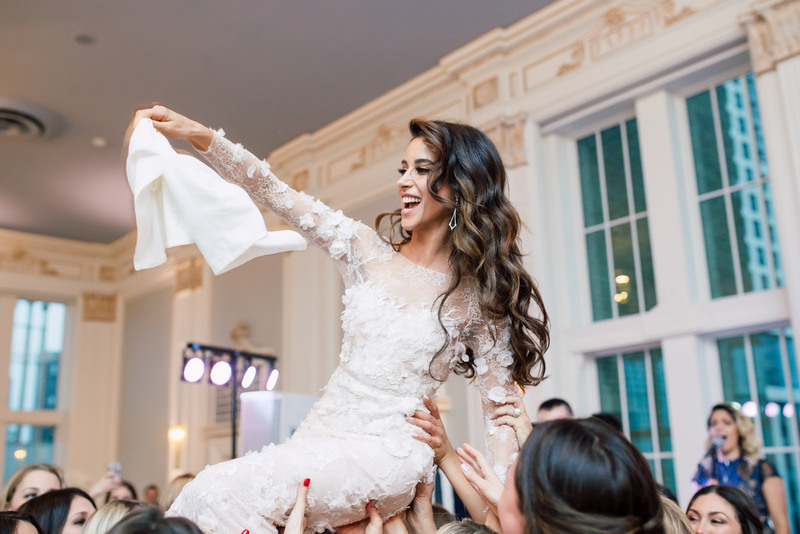 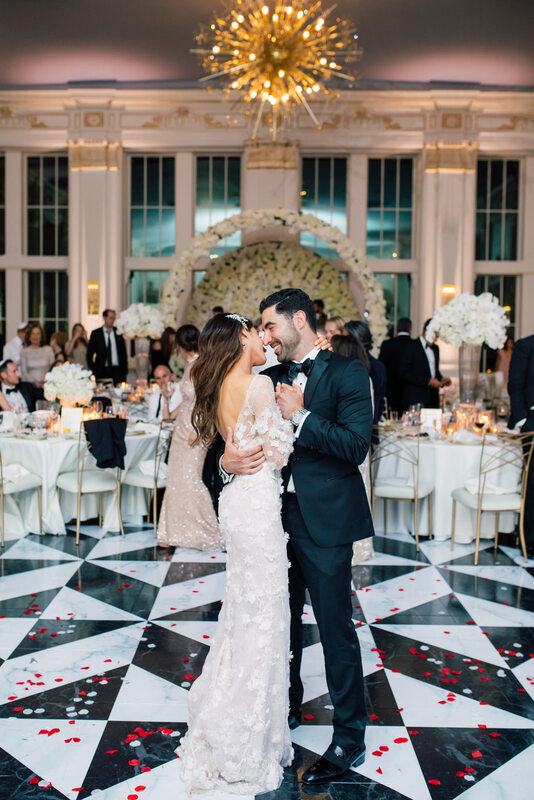 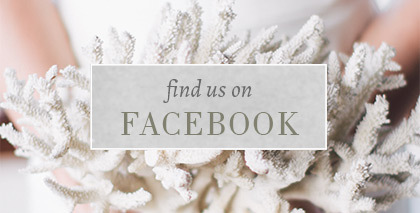 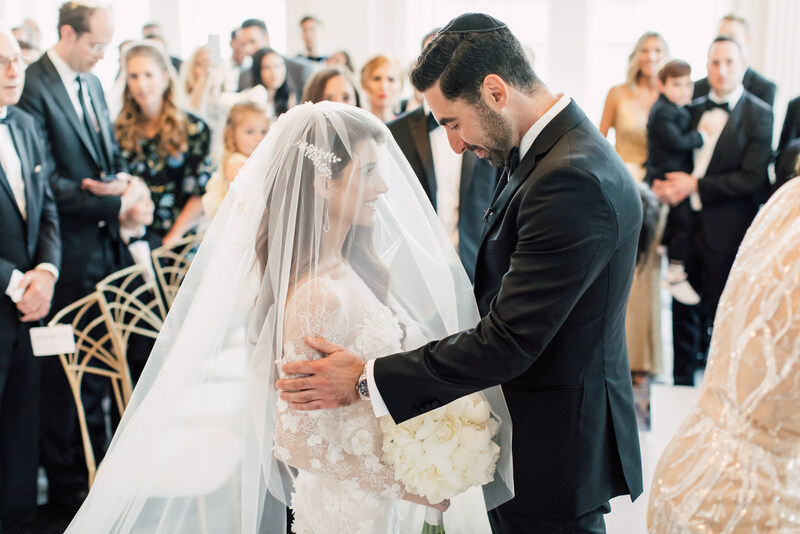 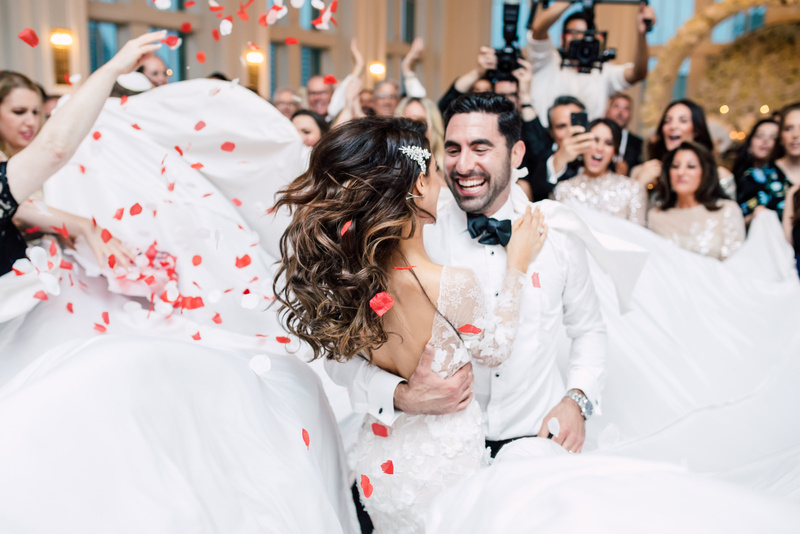 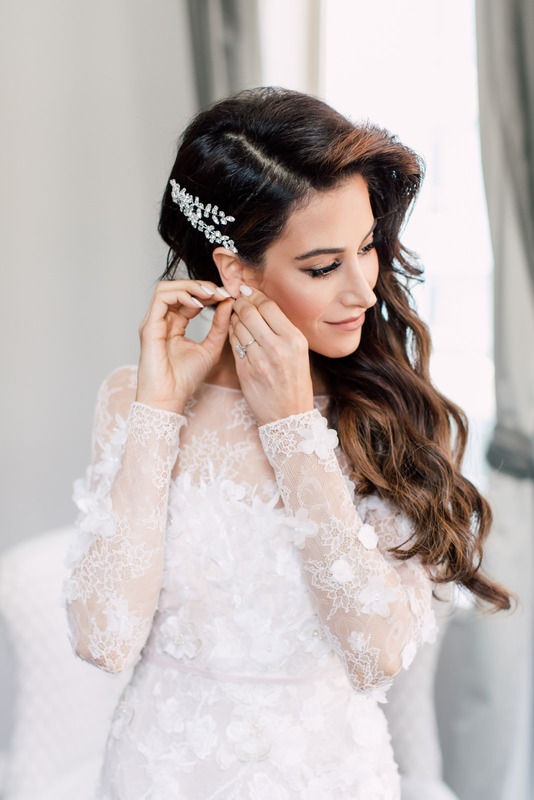 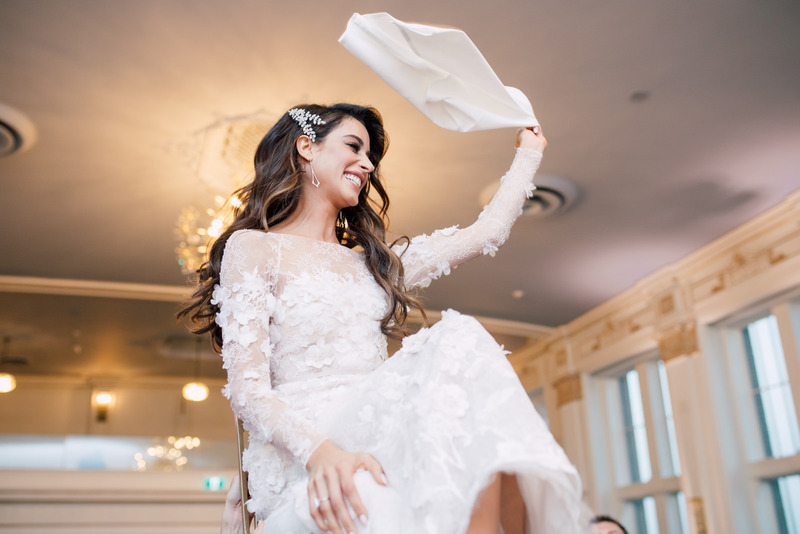 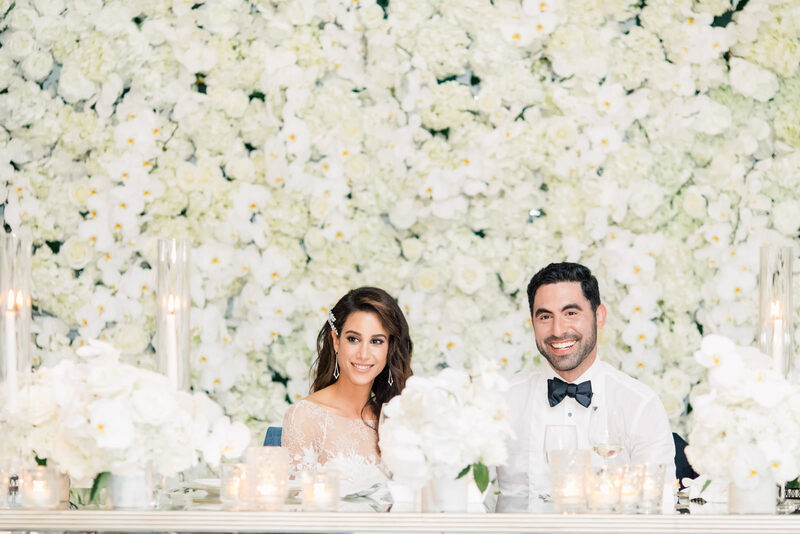 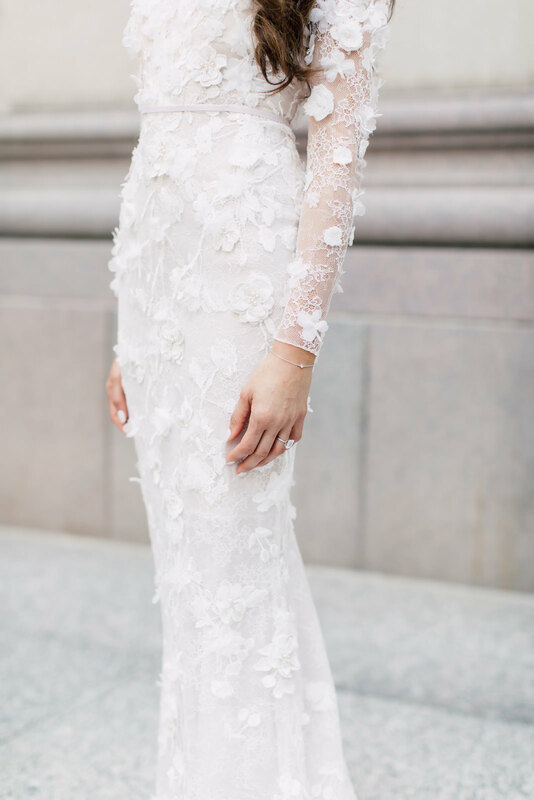 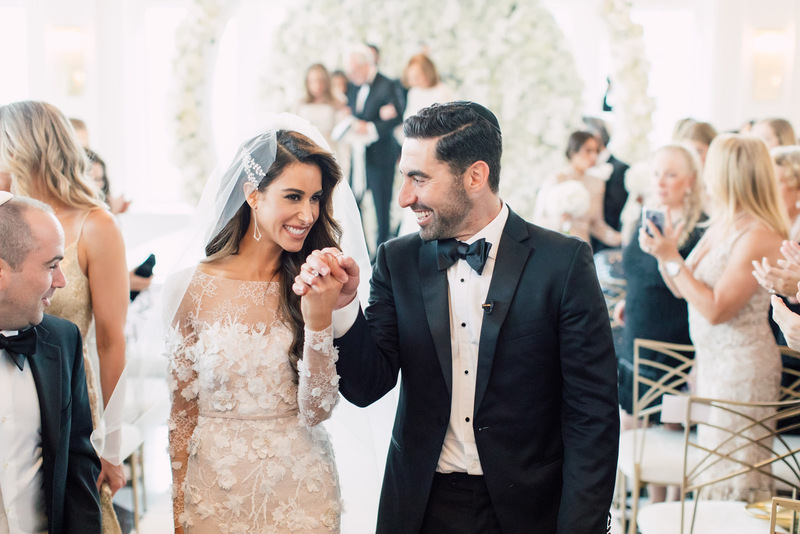 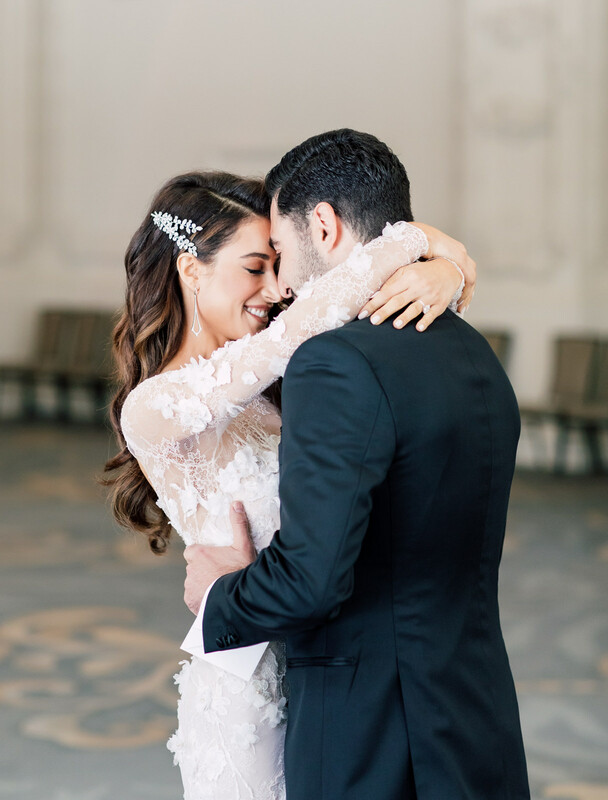 In her special day, Mara simply shone effortlessly in her wedding dress — a full-sleeved white lace gown with delicate flowers sewn all over it. 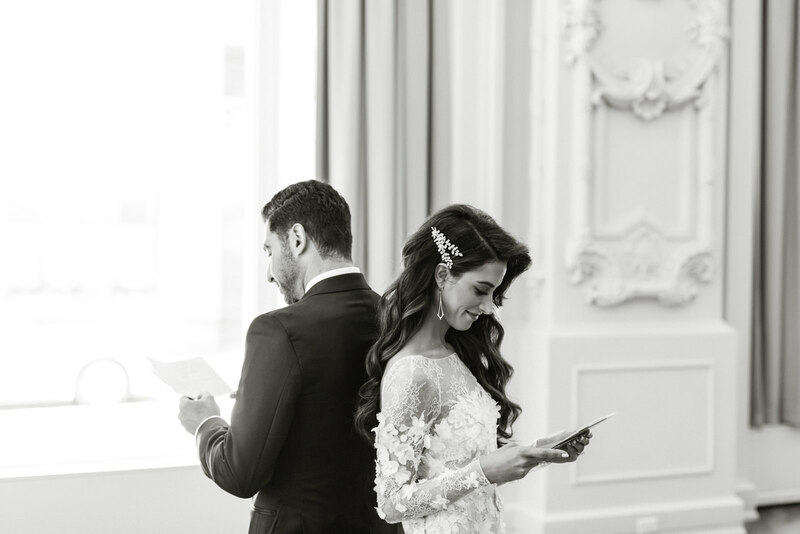 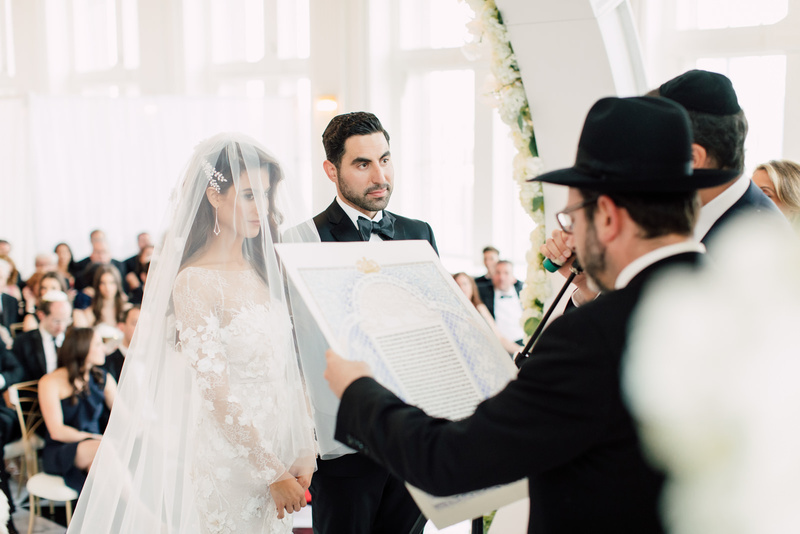 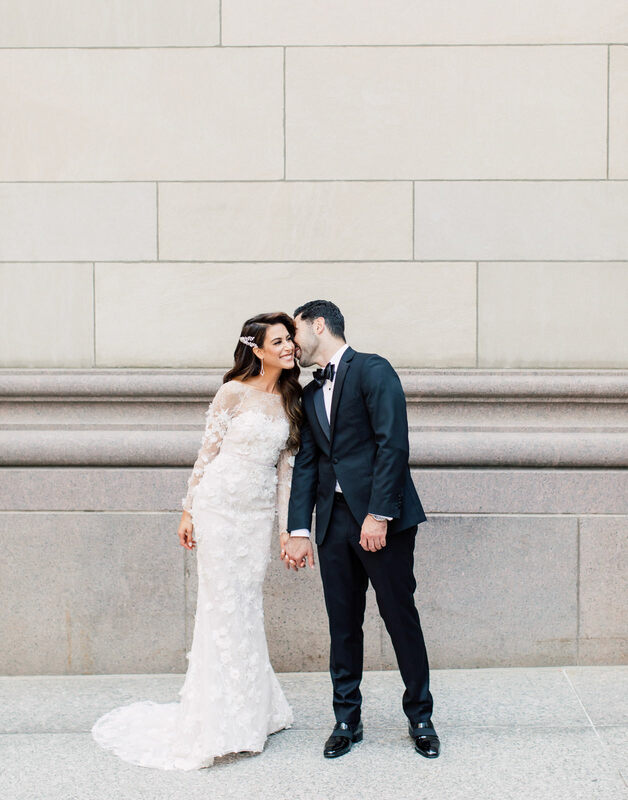 Her big brown curls that draped perfectly on her shoulders complemented this, and she was easily one of the dreamiest brides we ever saw. 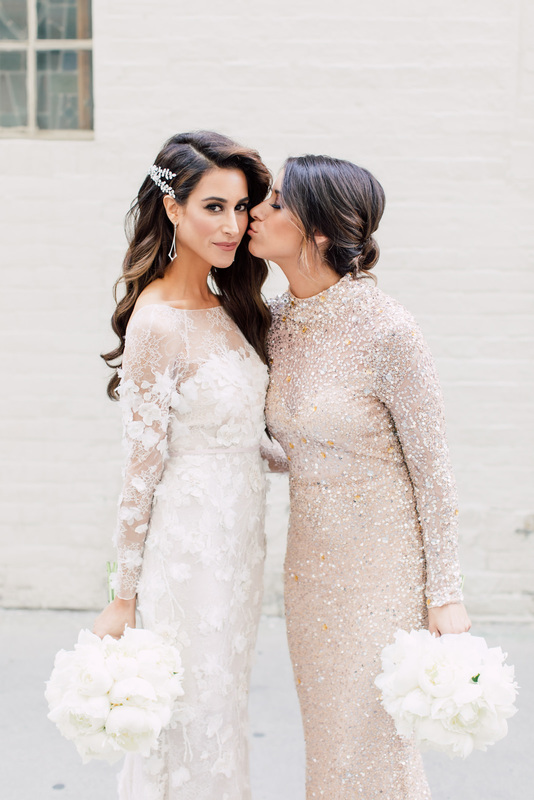 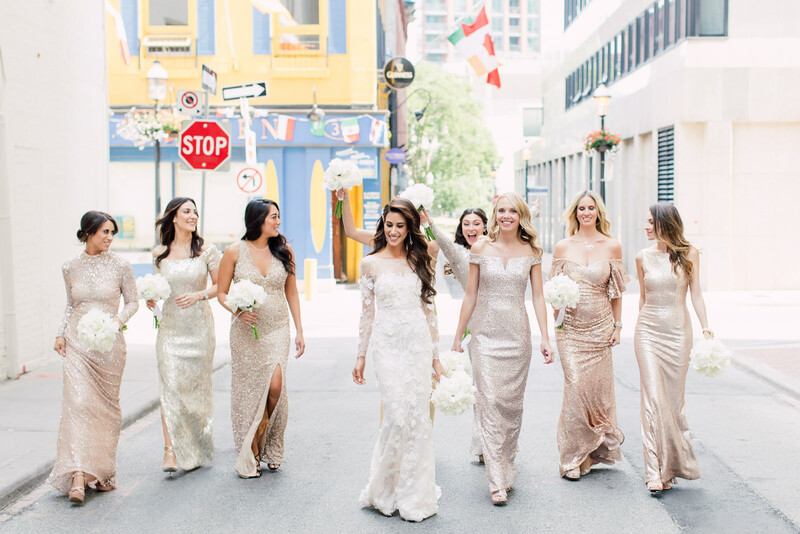 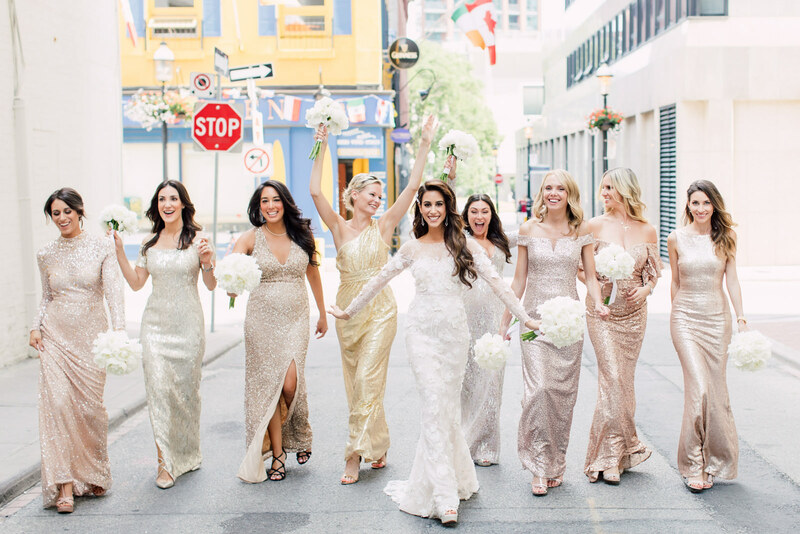 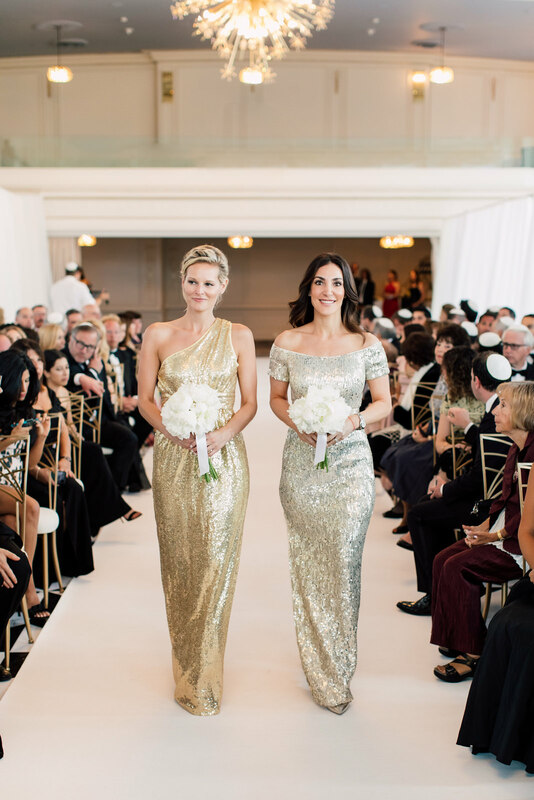 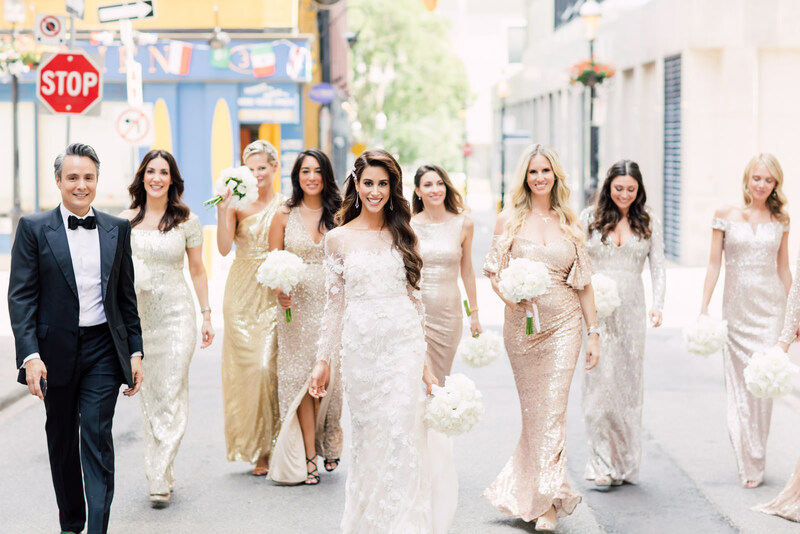 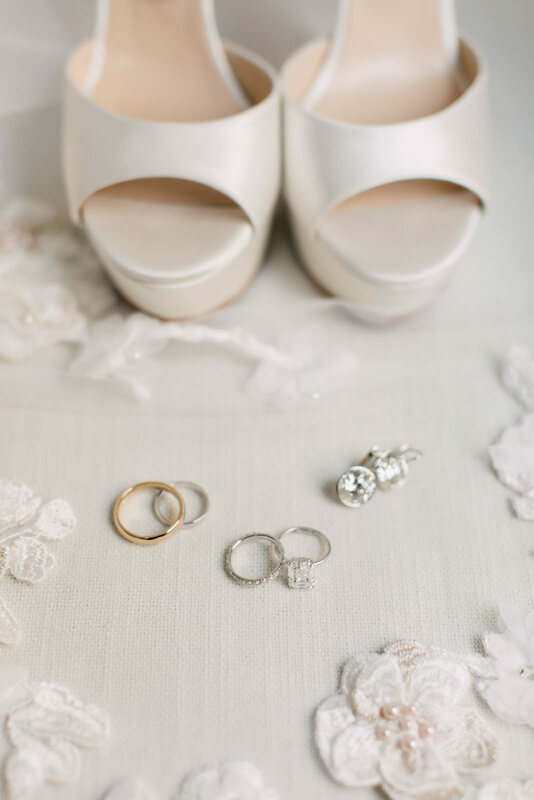 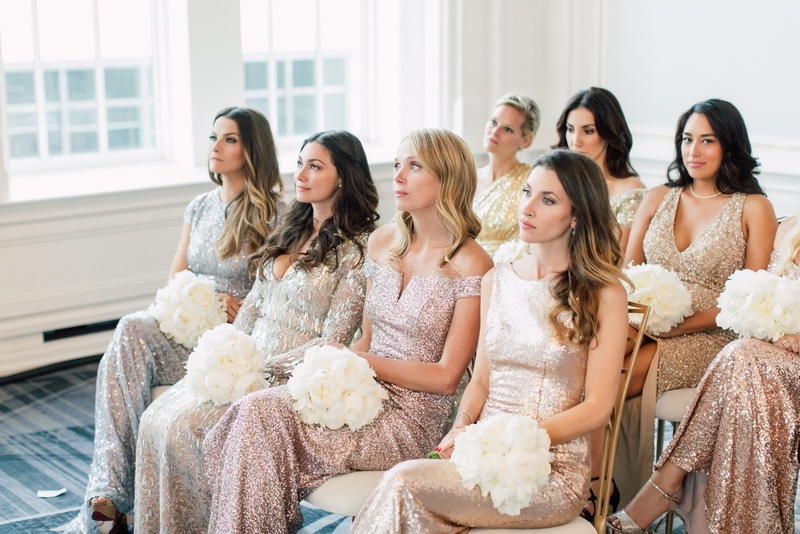 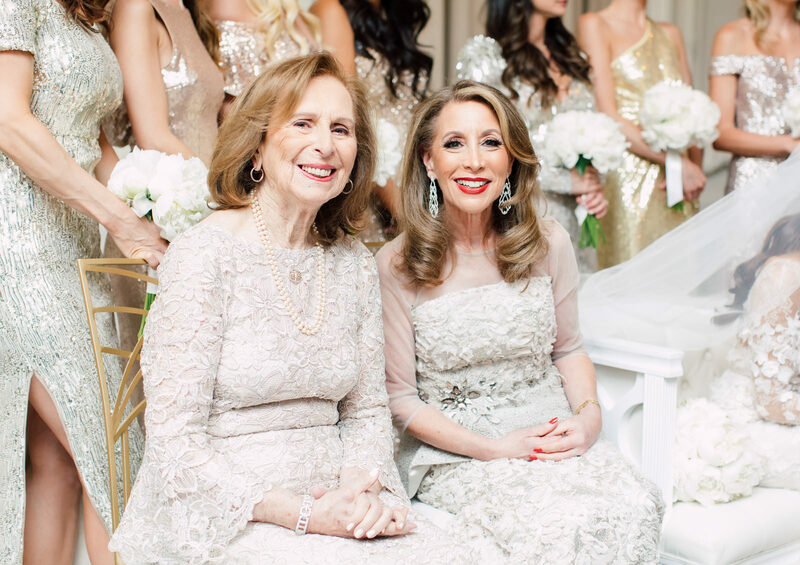 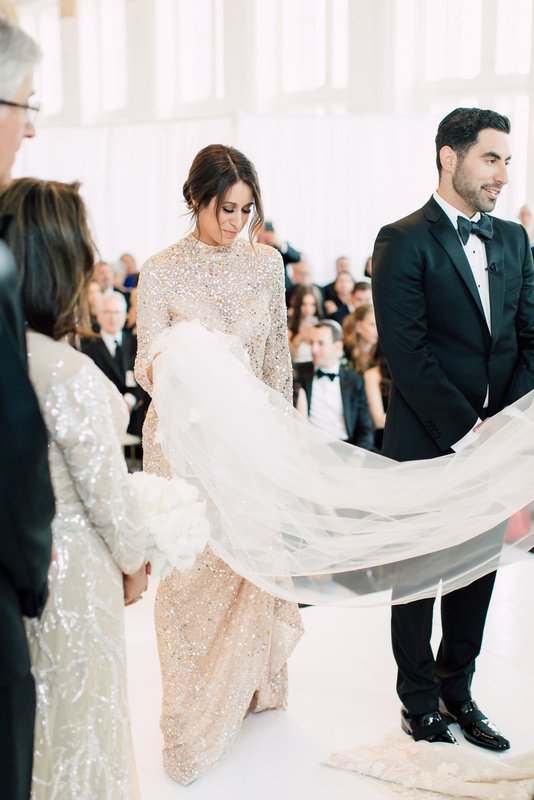 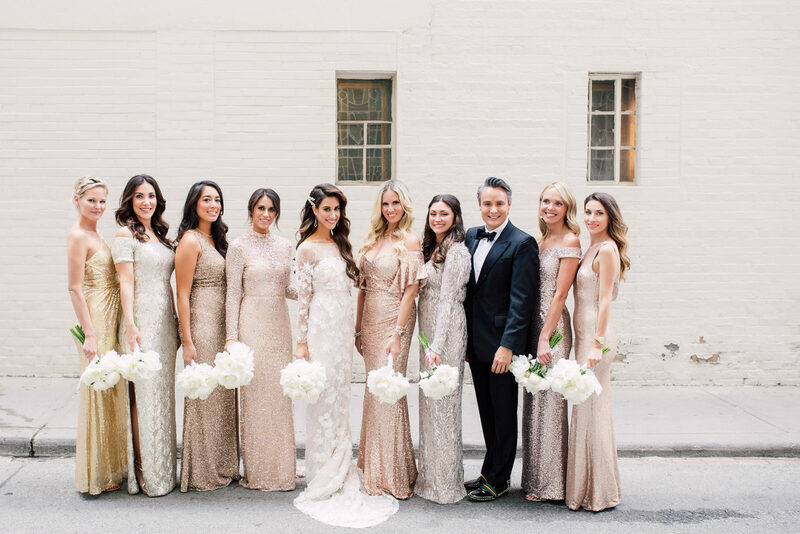 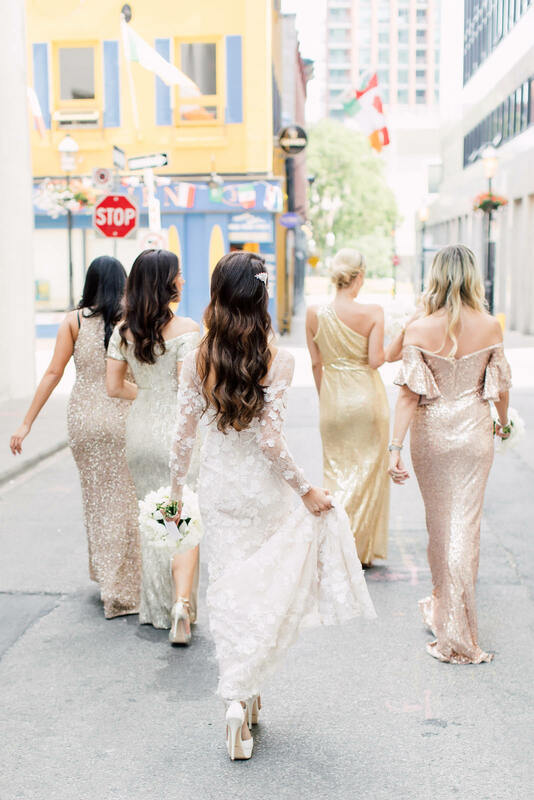 Of course, she had her wedding entourage with her, who all came in soft pastel and cream sparkling gowns who were the perfect accompaniment to her soft bridal look. 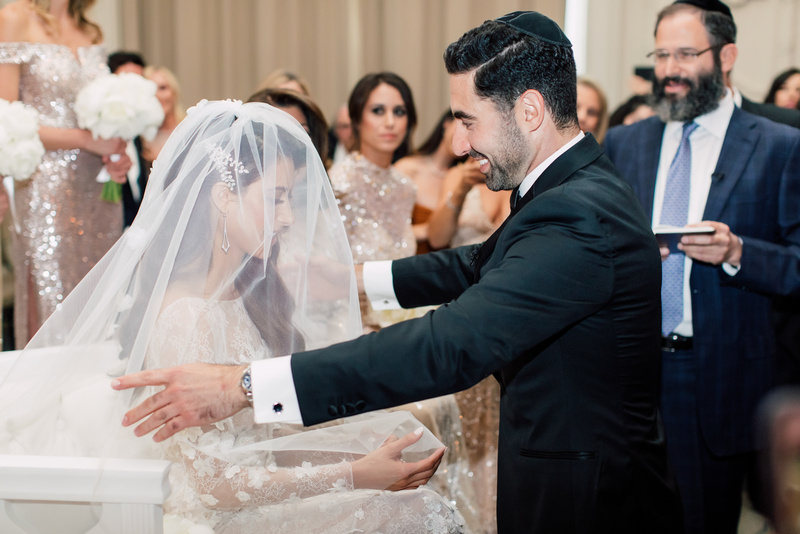 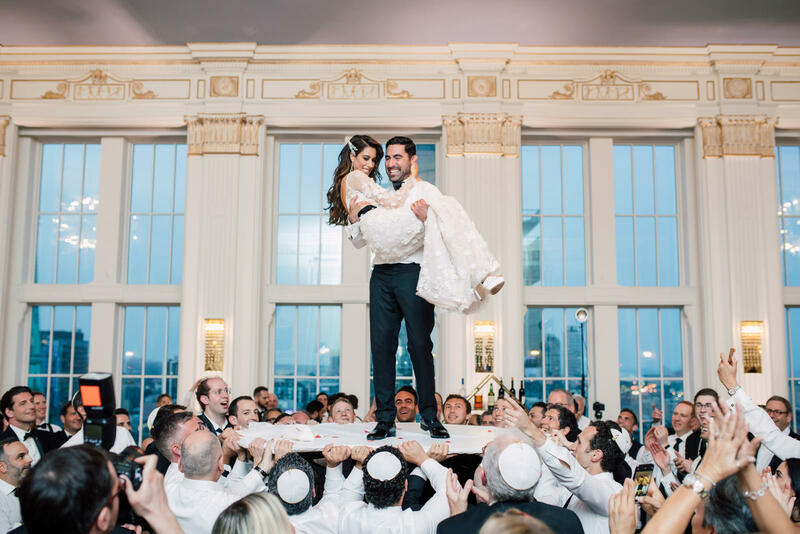 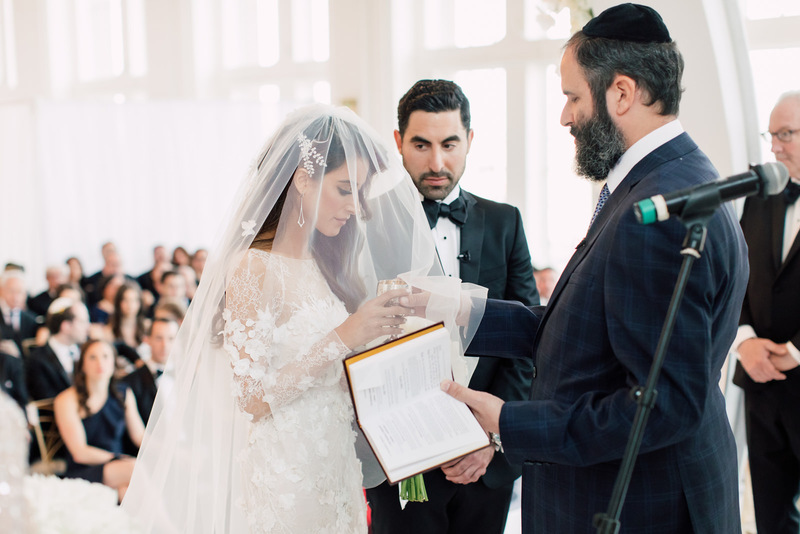 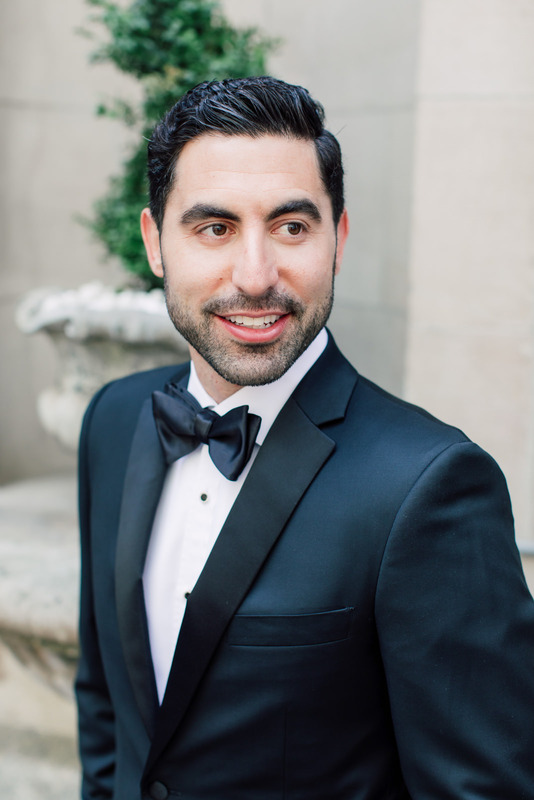 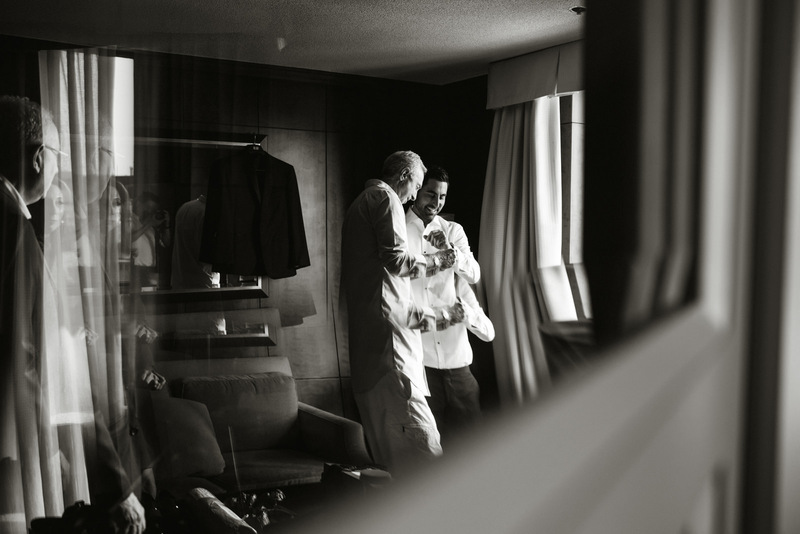 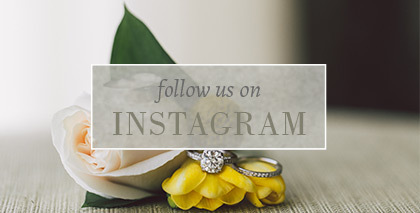 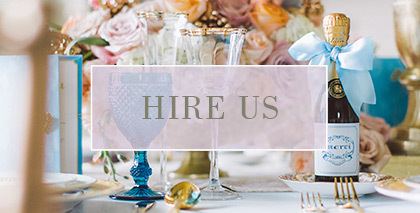 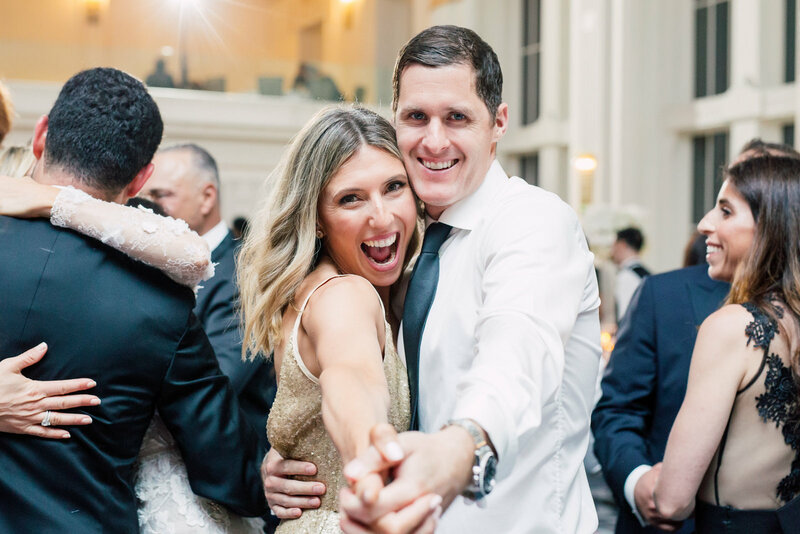 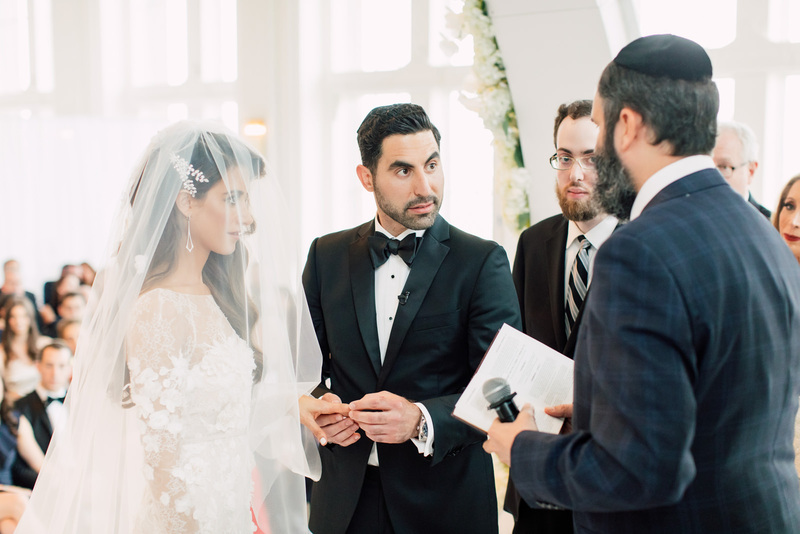 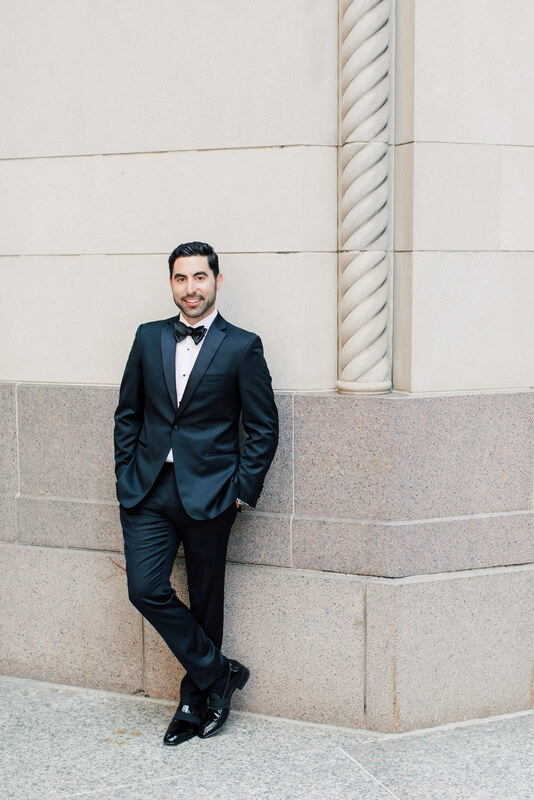 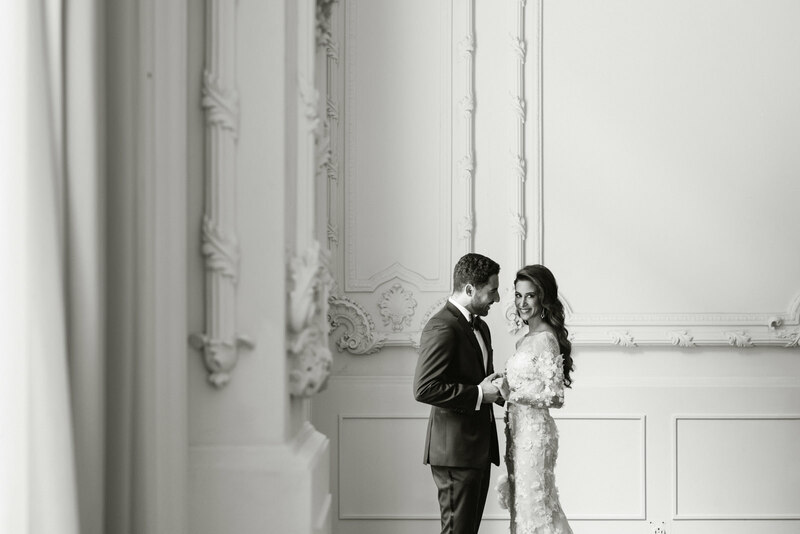 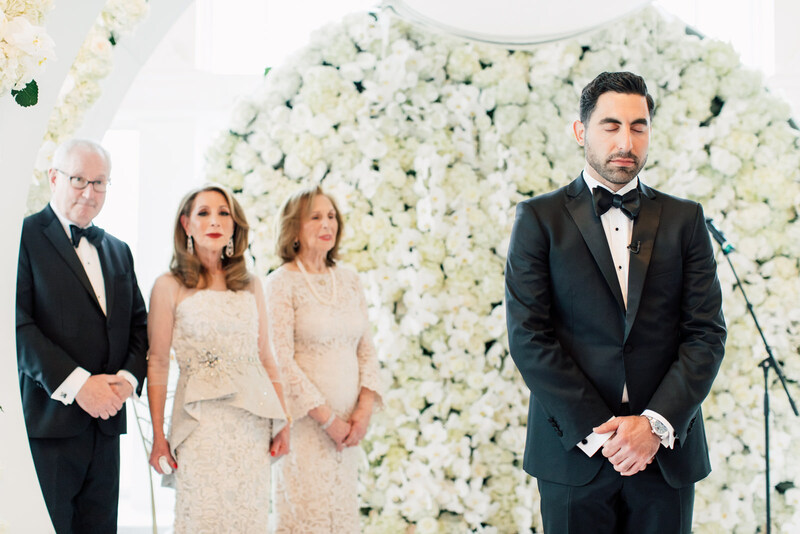 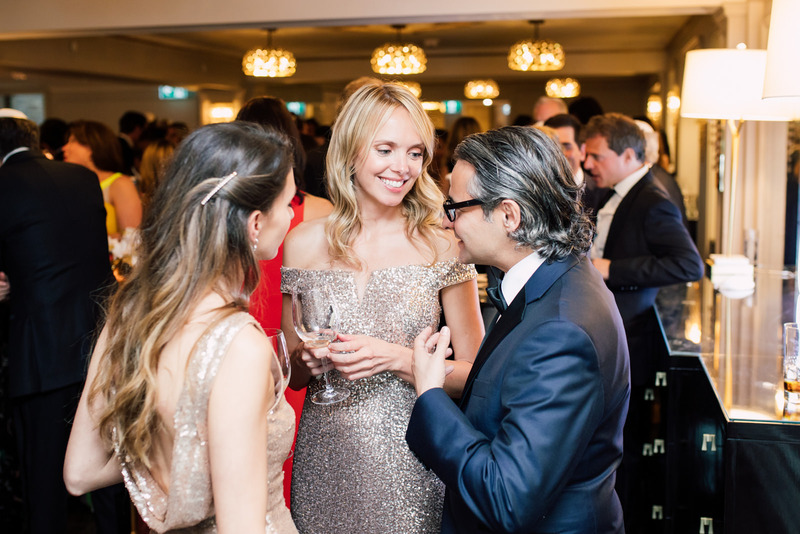 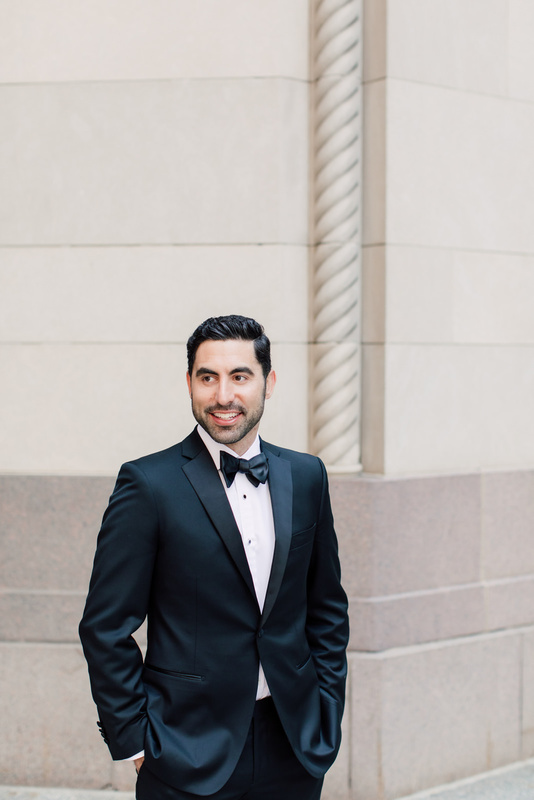 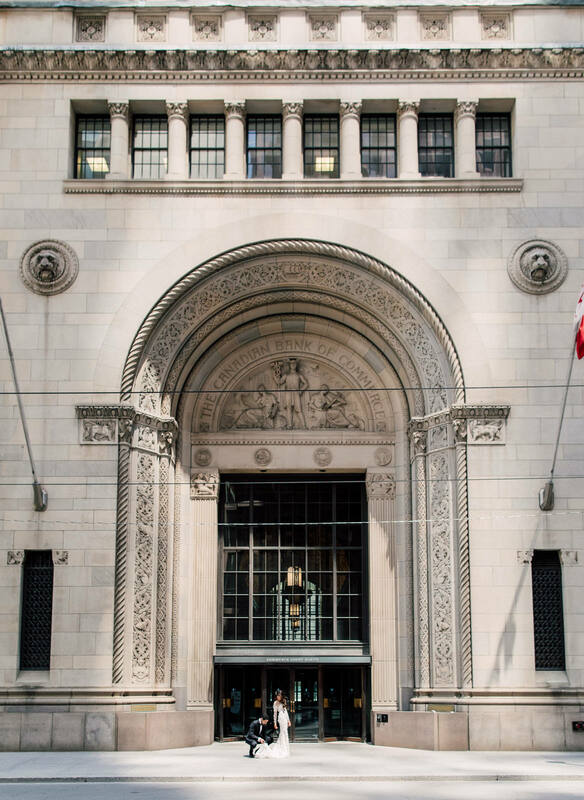 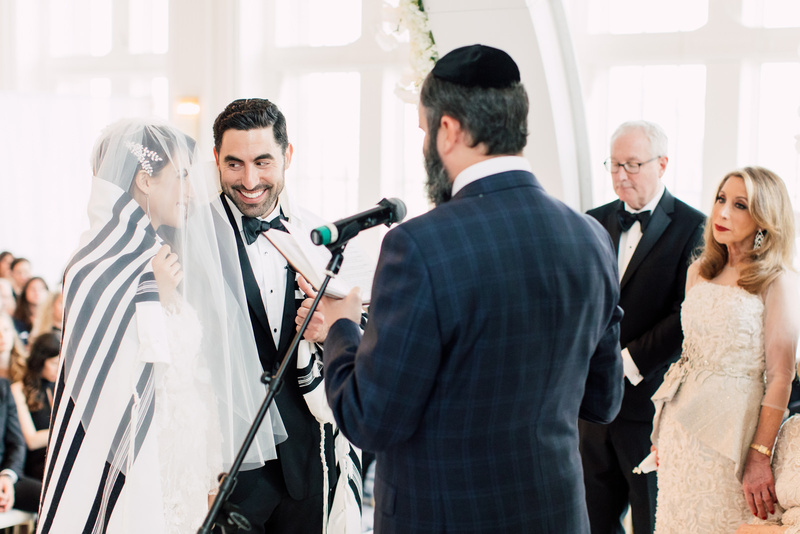 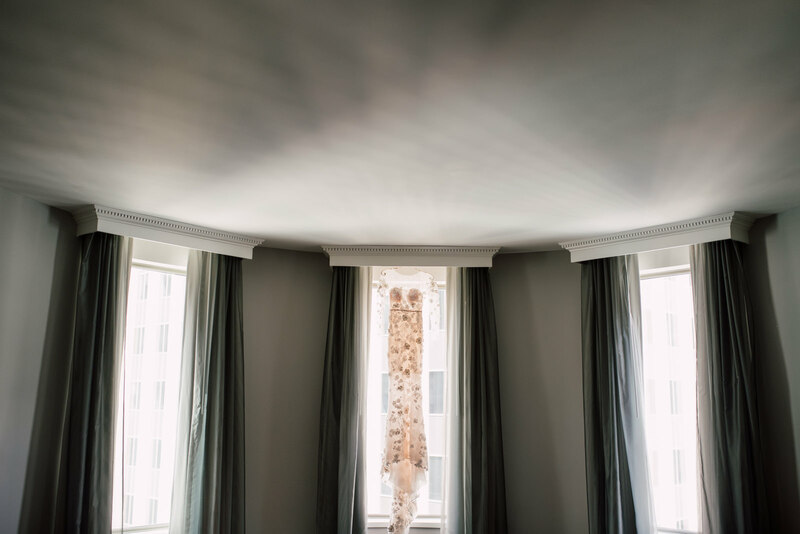 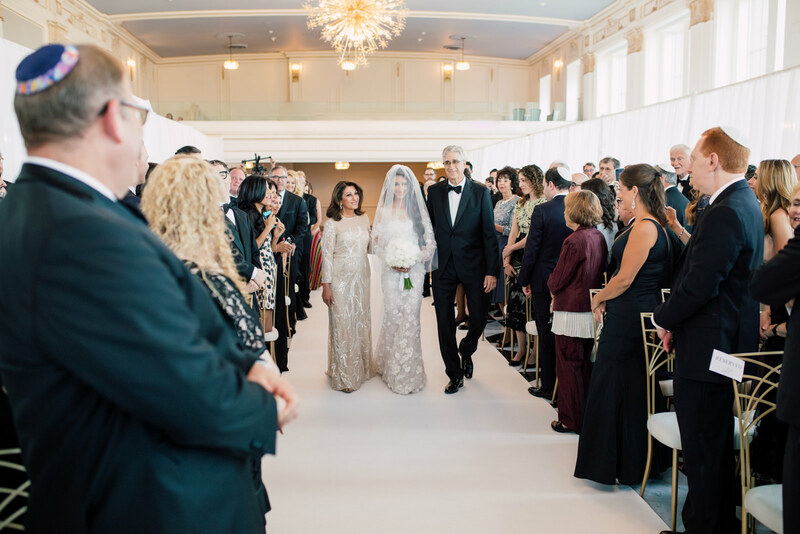 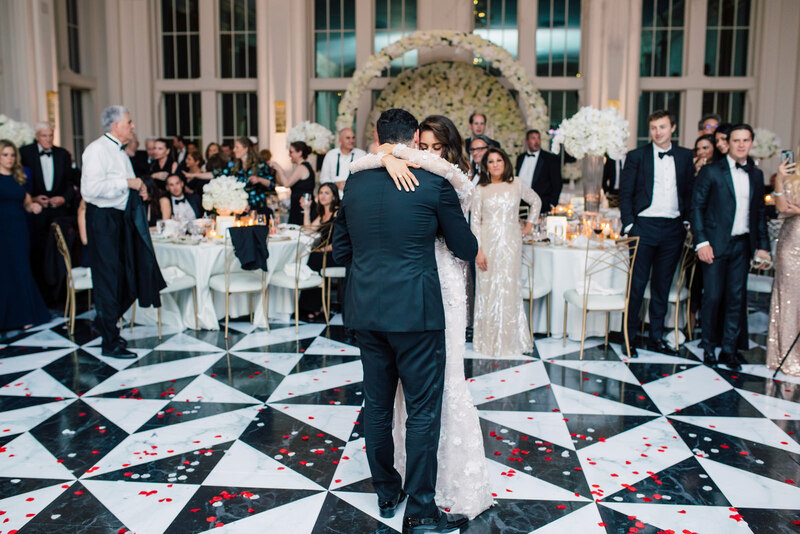 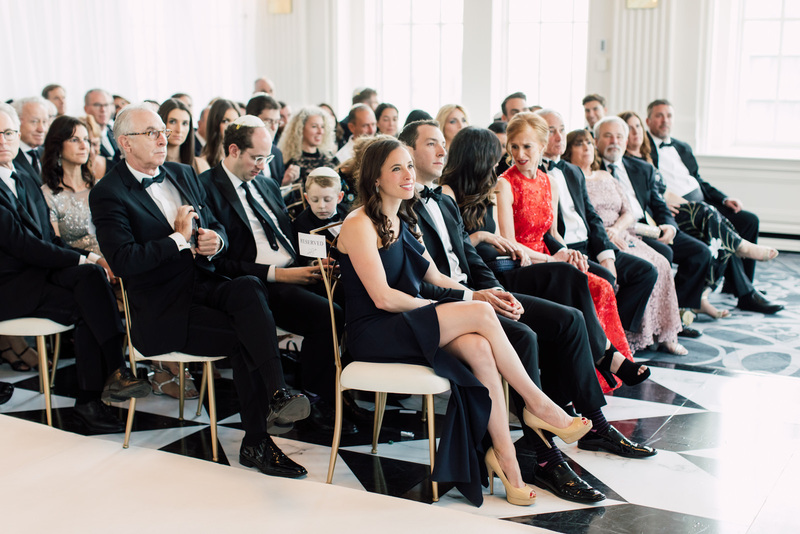 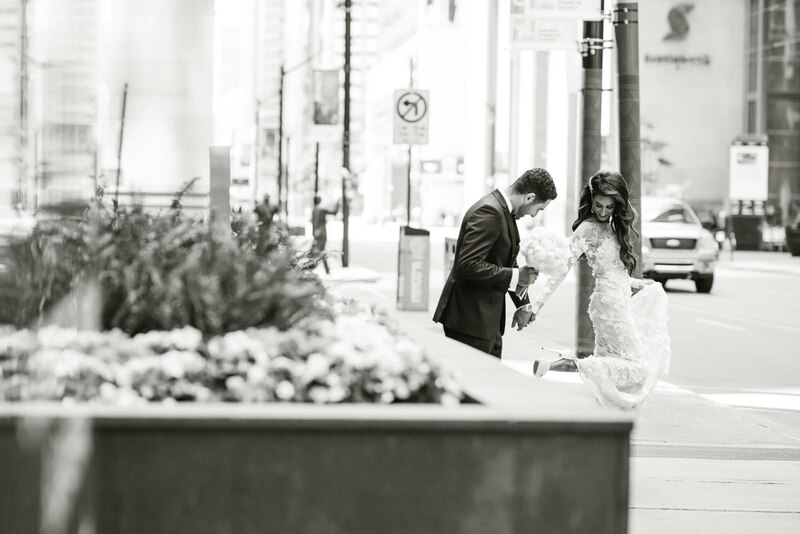 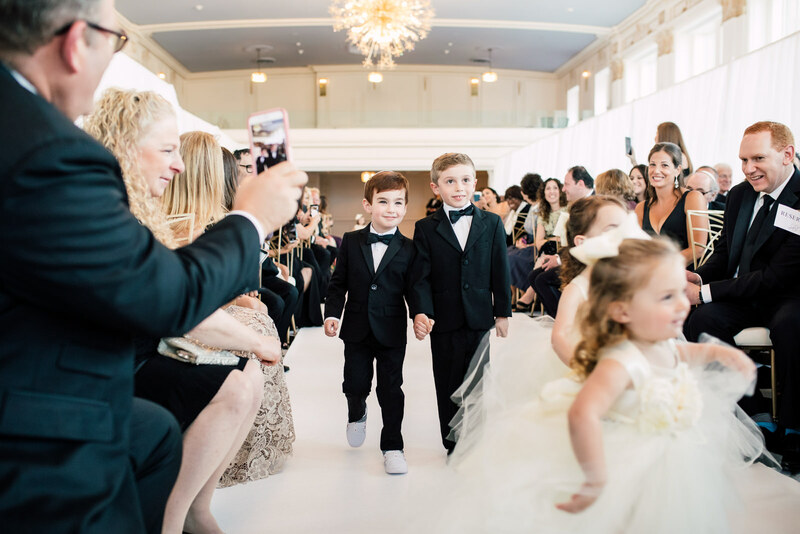 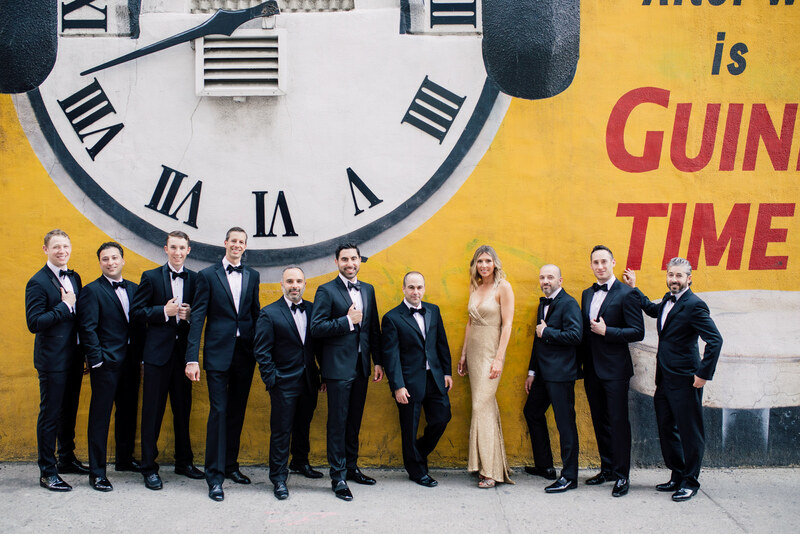 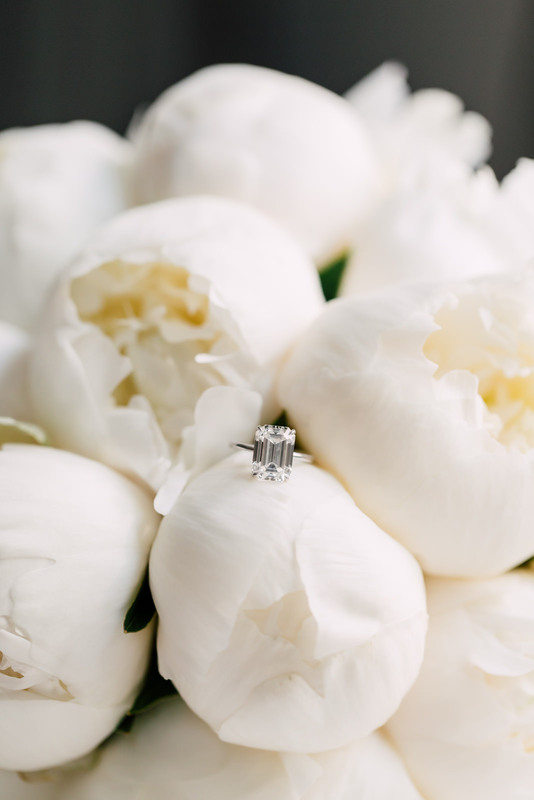 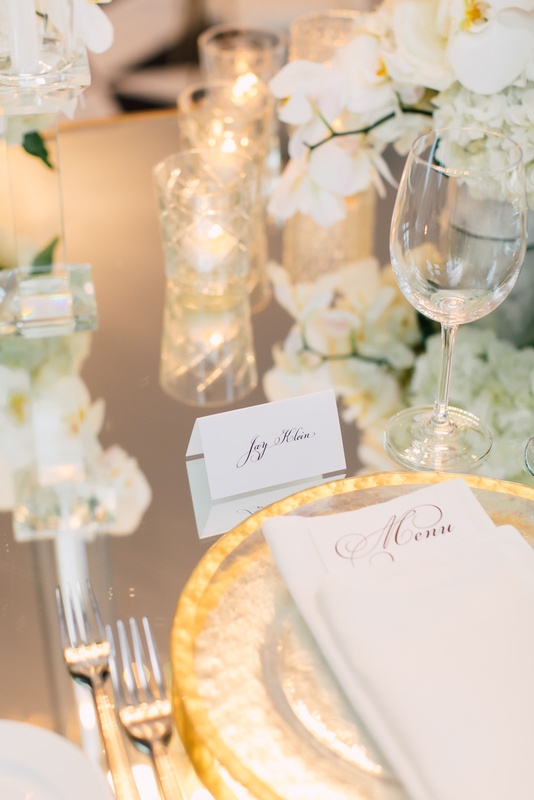 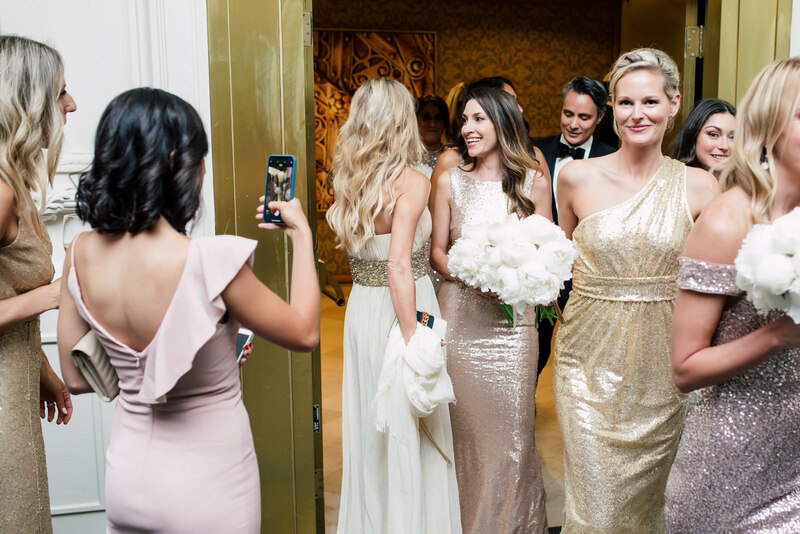 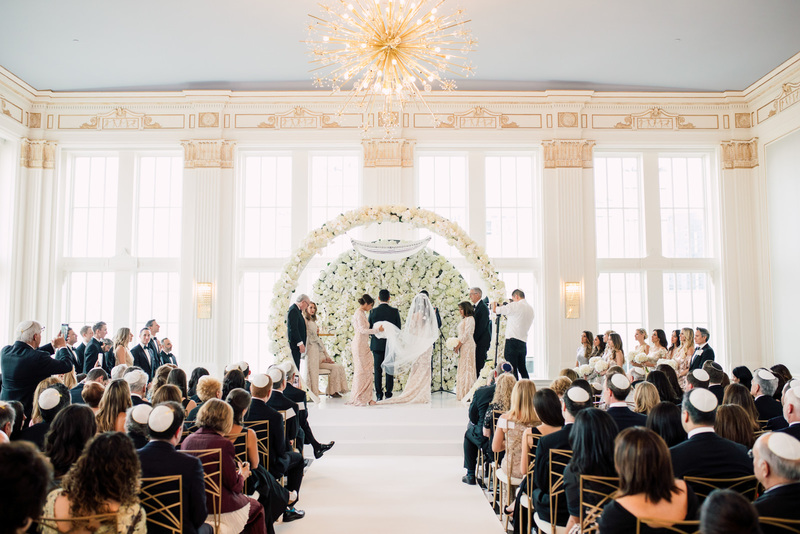 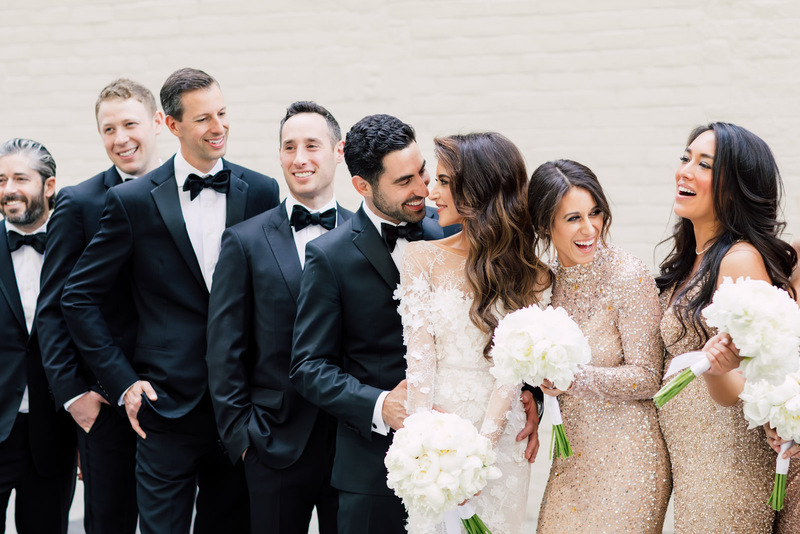 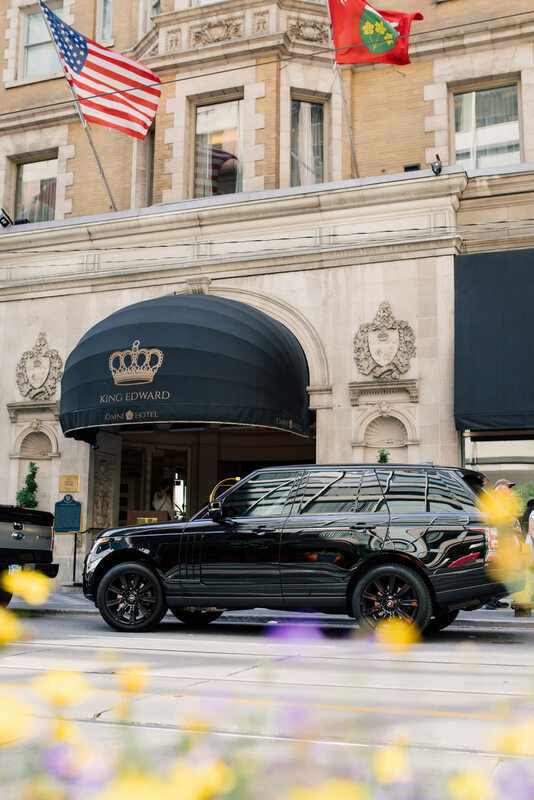 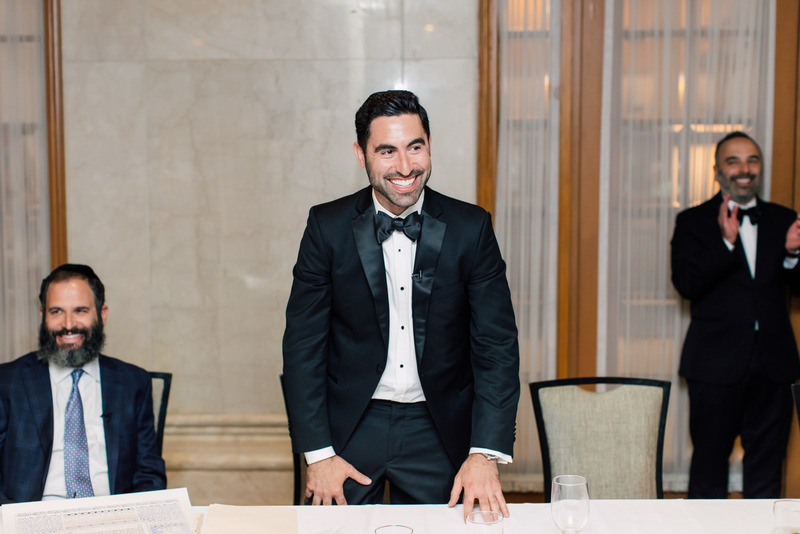 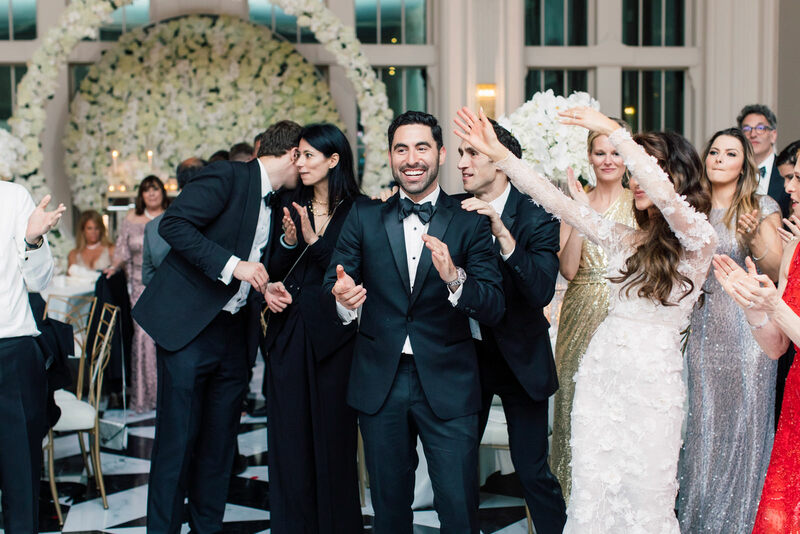 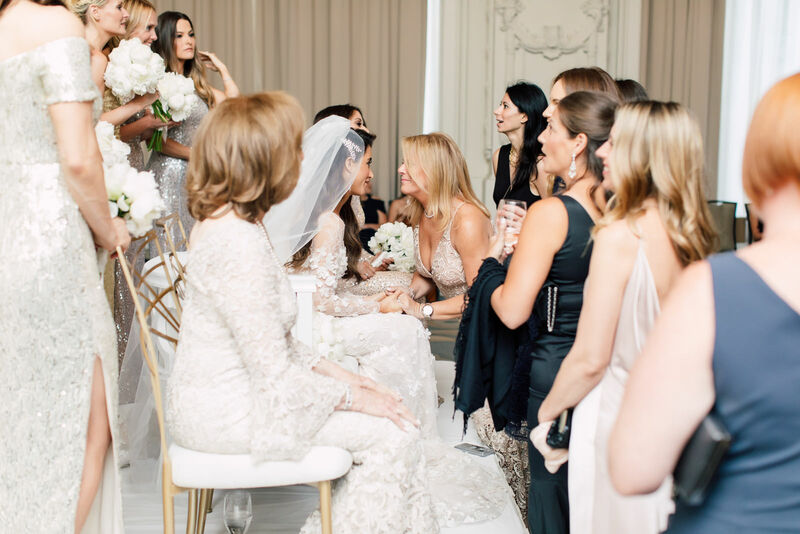 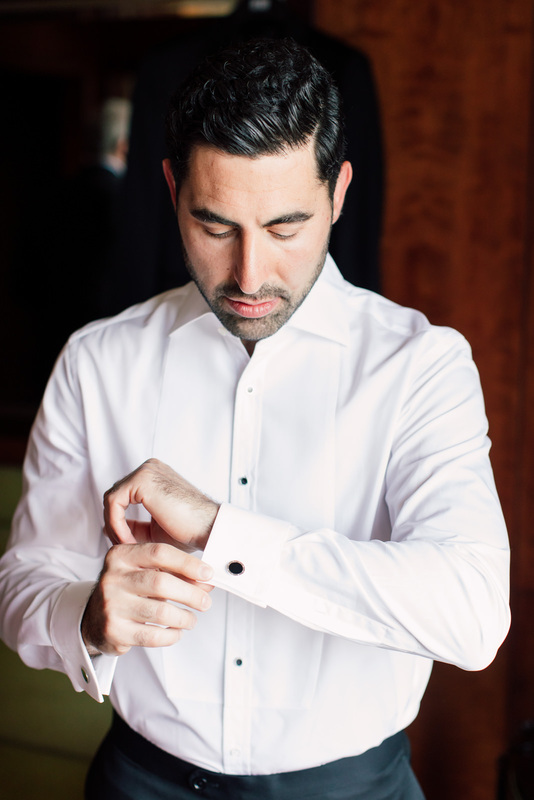 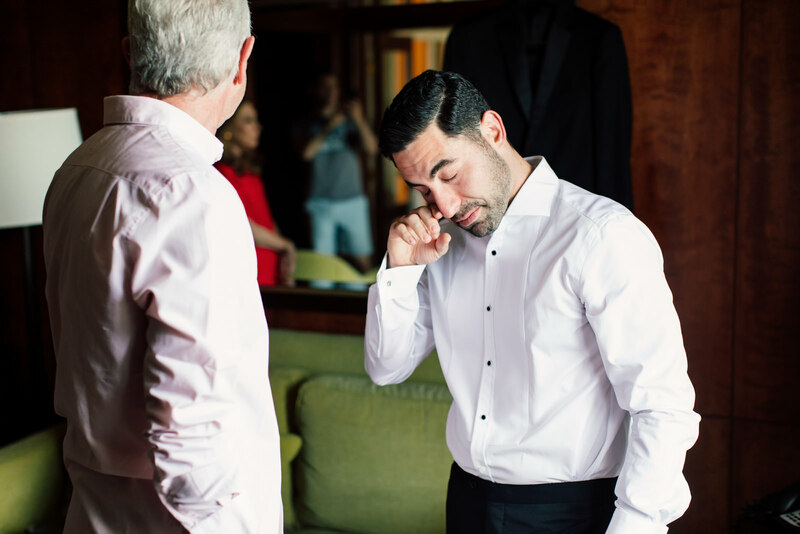 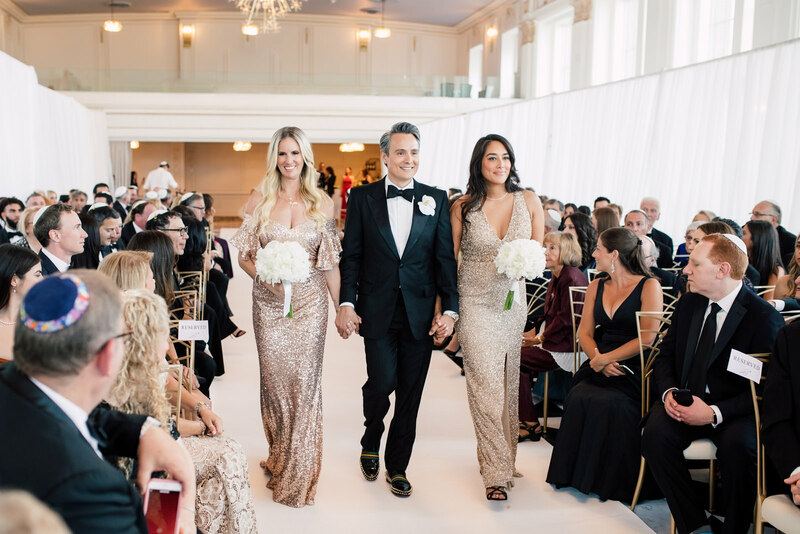 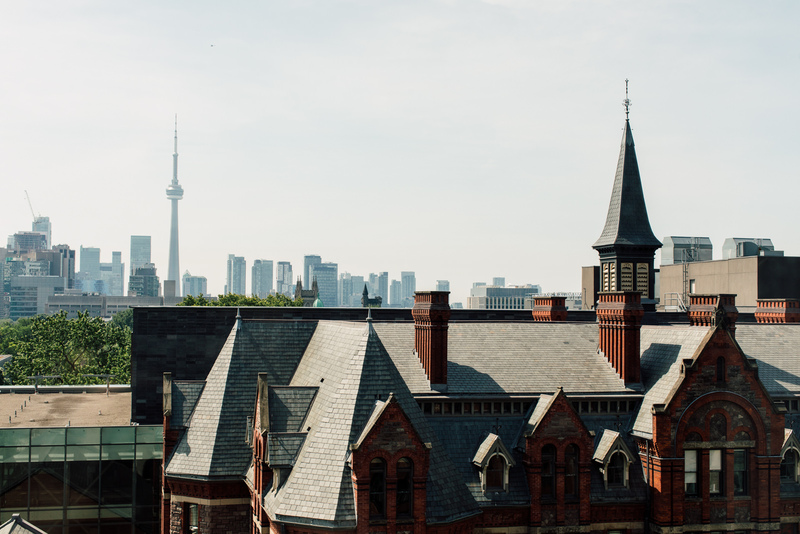 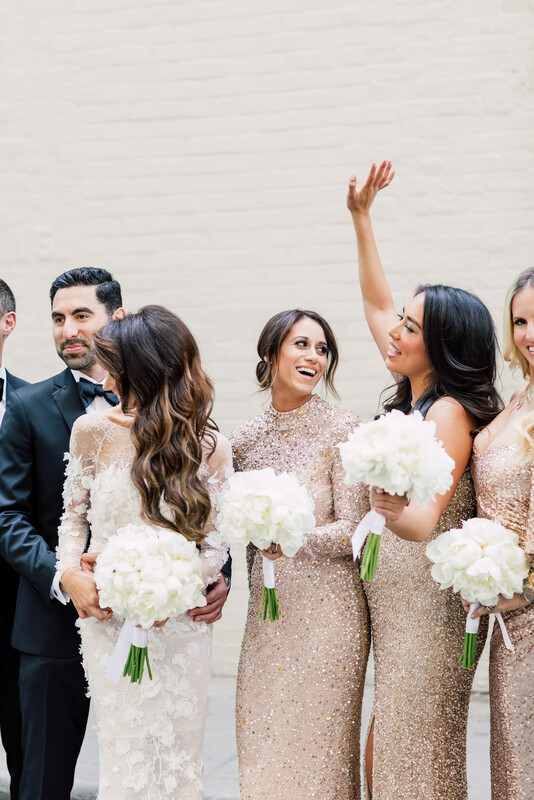 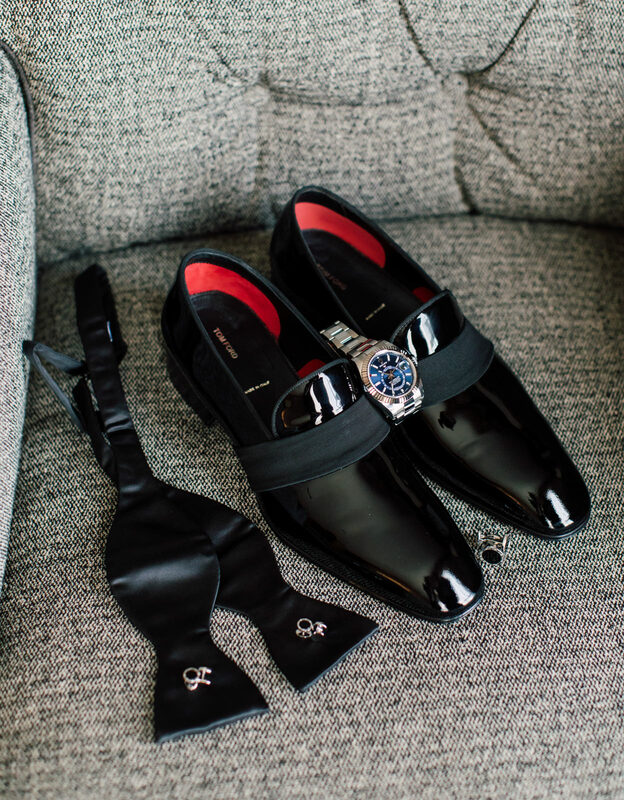 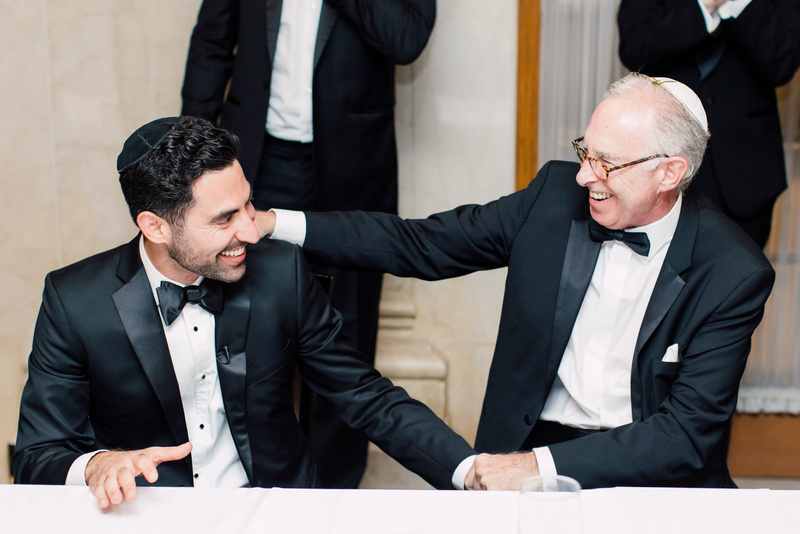 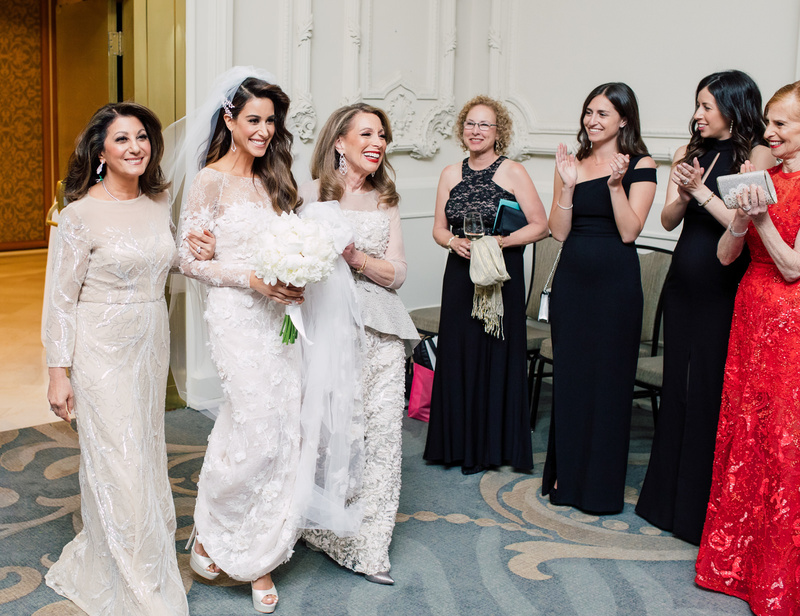 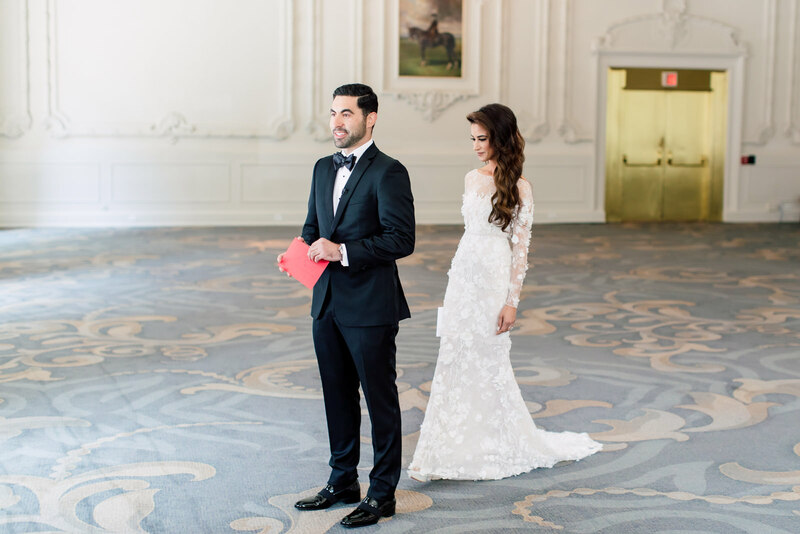 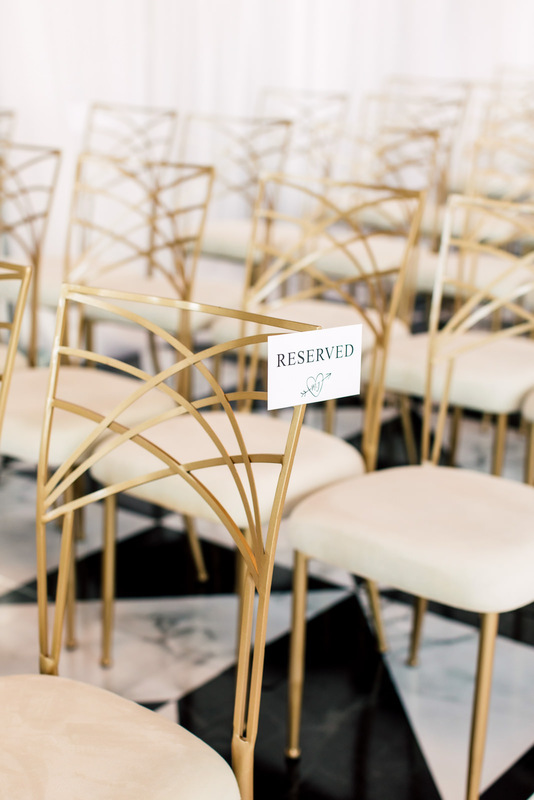 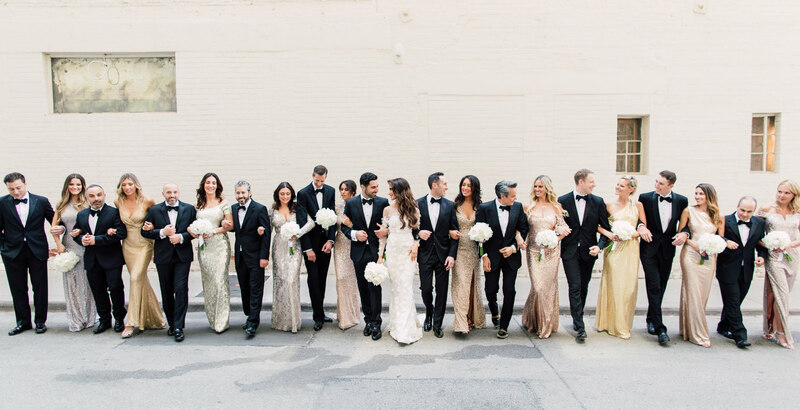 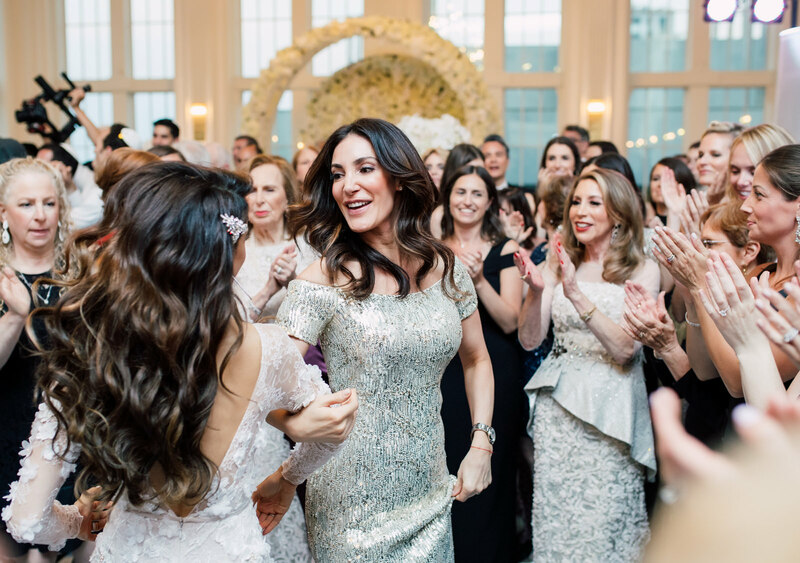 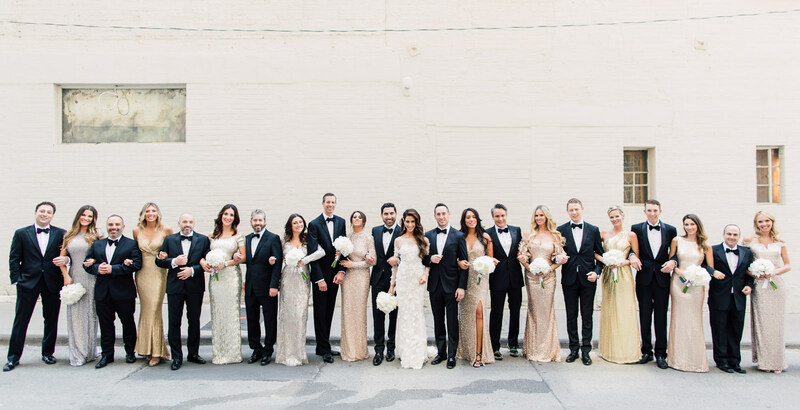 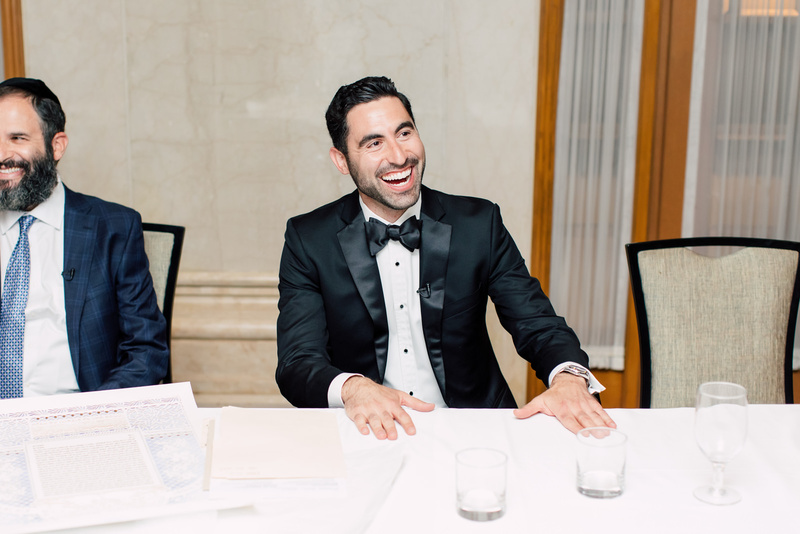 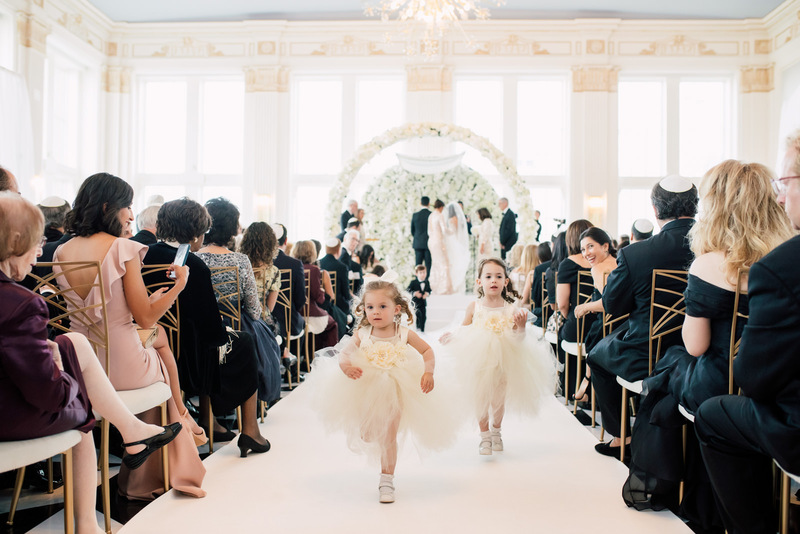 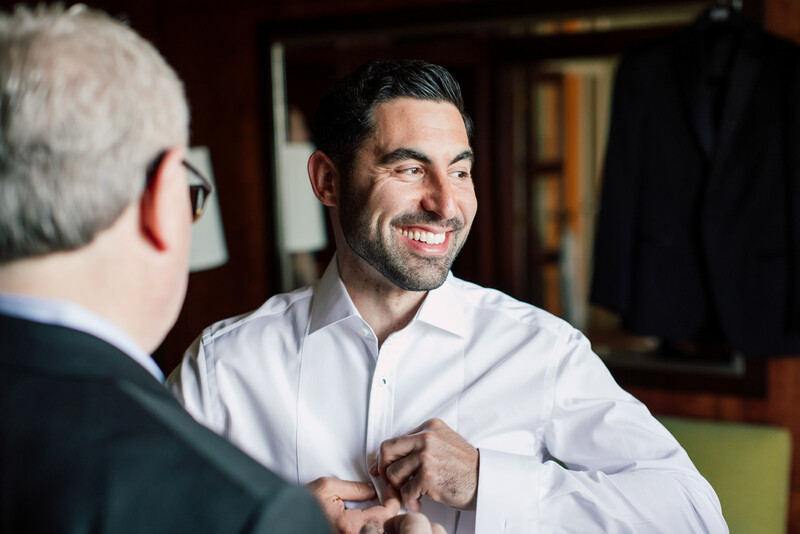 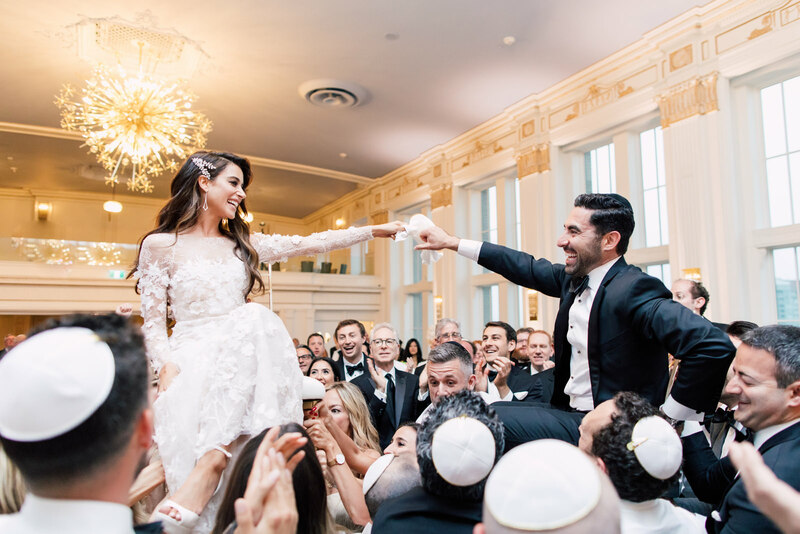 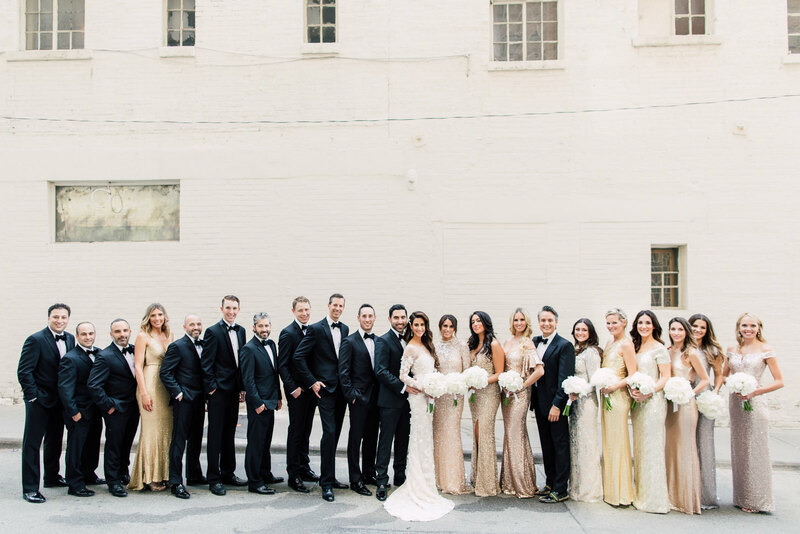 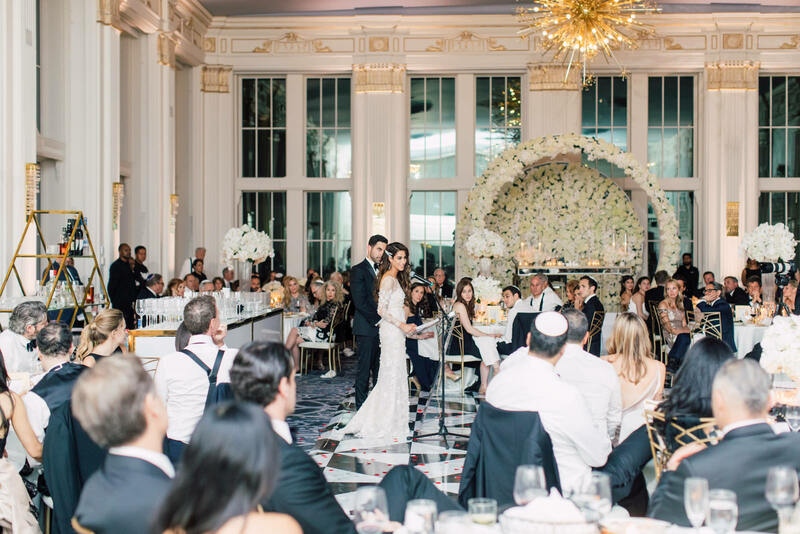 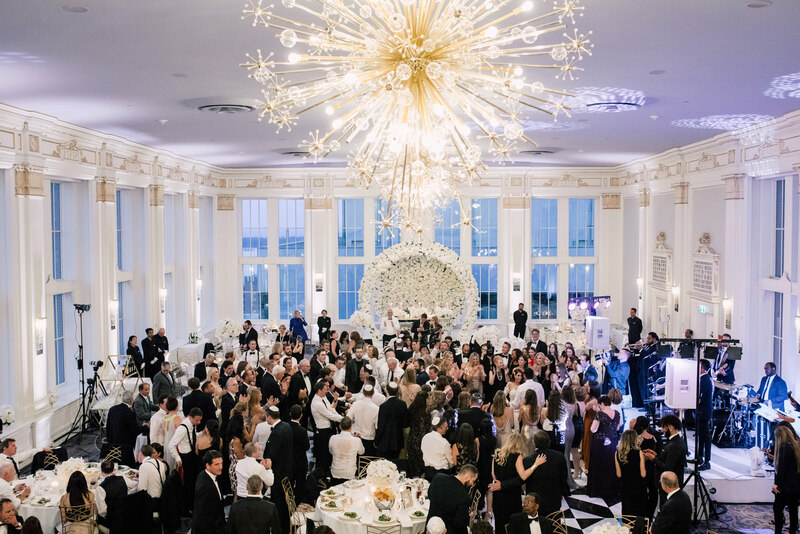 Mara and Jay’s much-awaited wedding was held at the Crystal Ballroom, located in The Omni King Edward Hotel with the presence of their beloved family and friends. 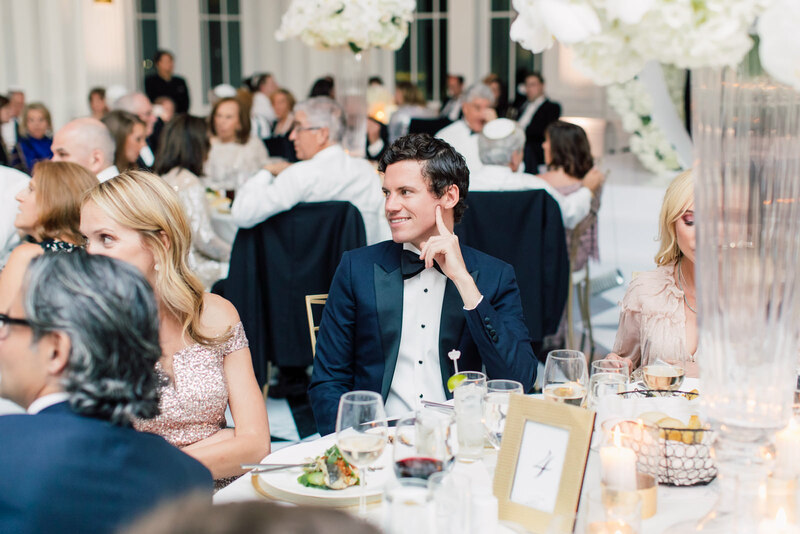 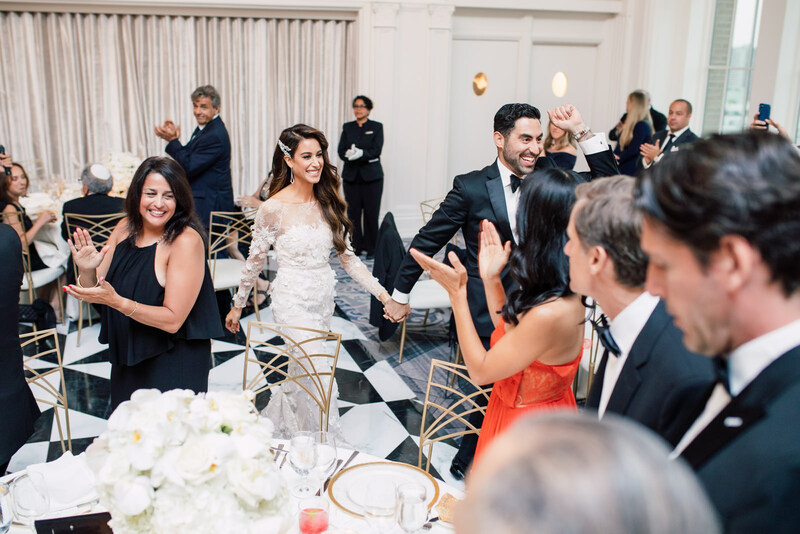 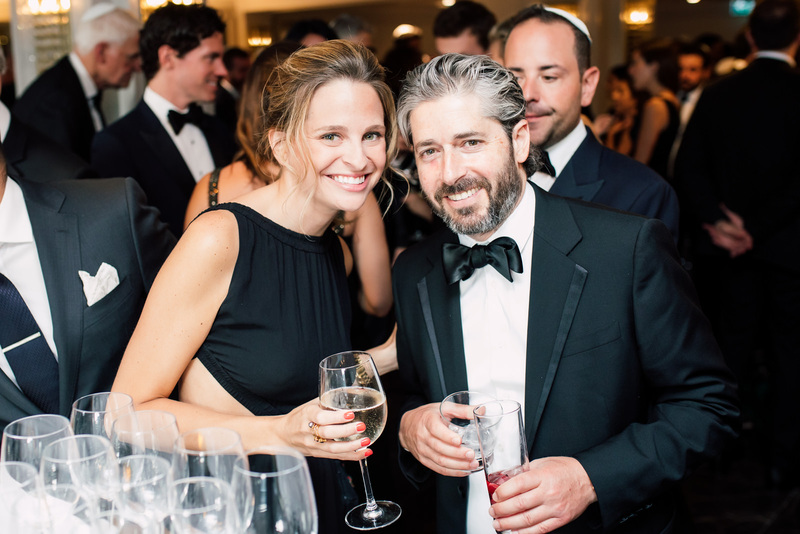 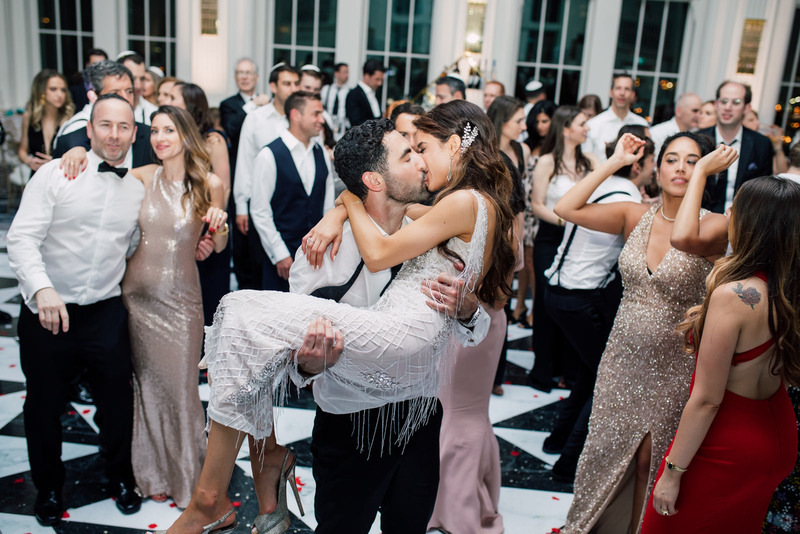 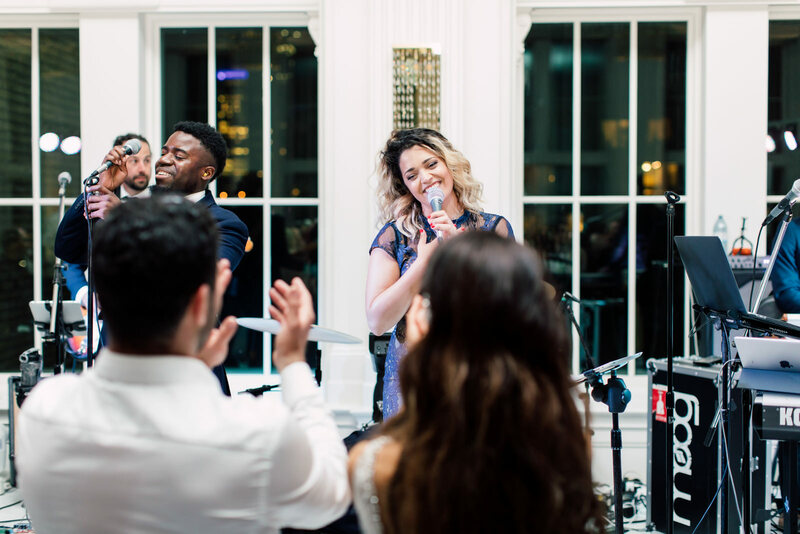 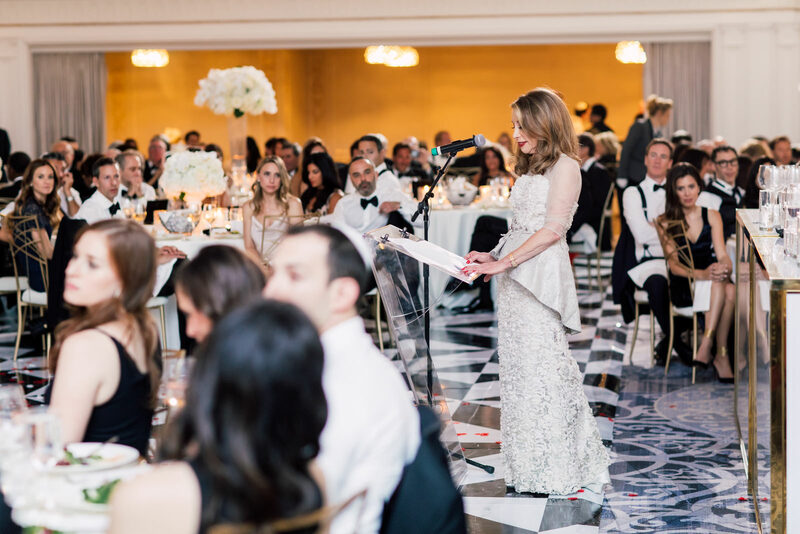 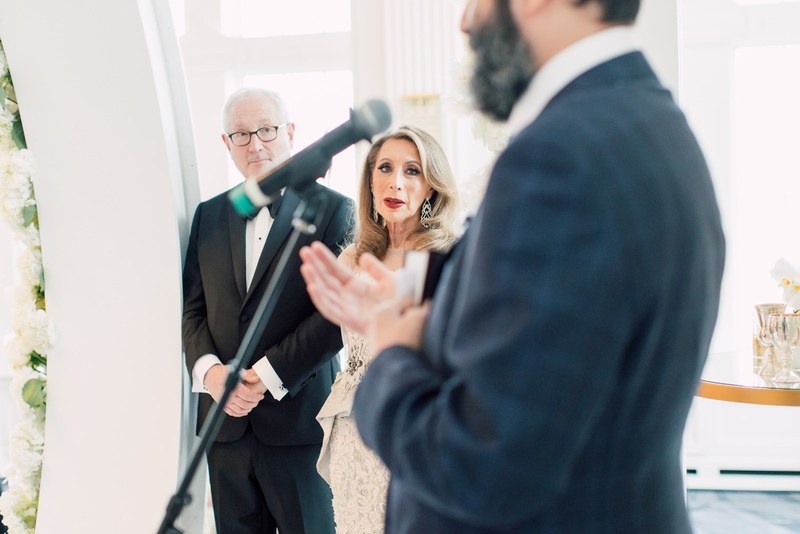 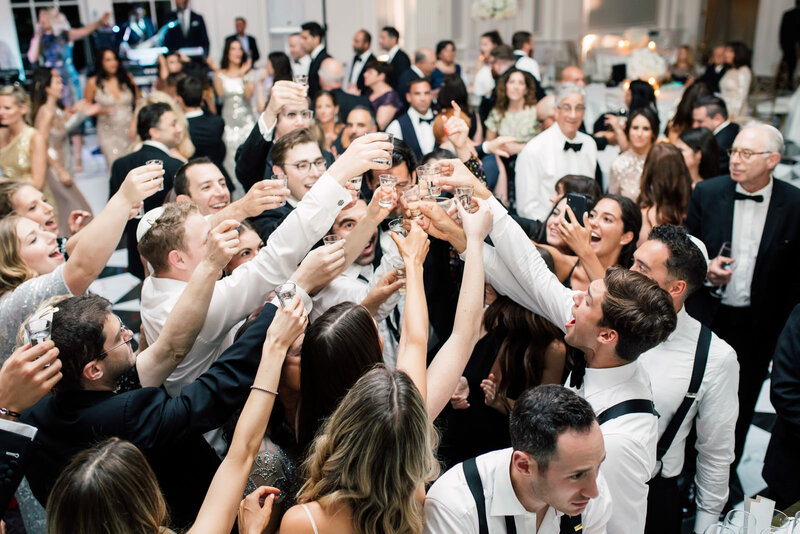 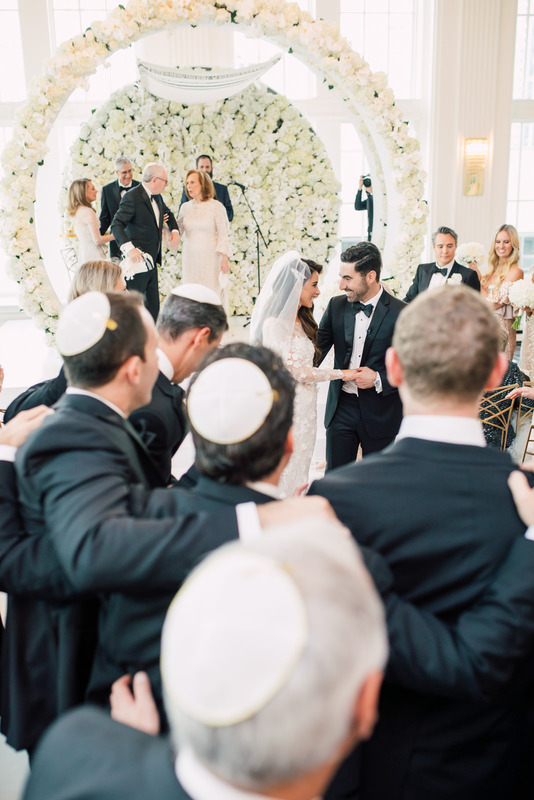 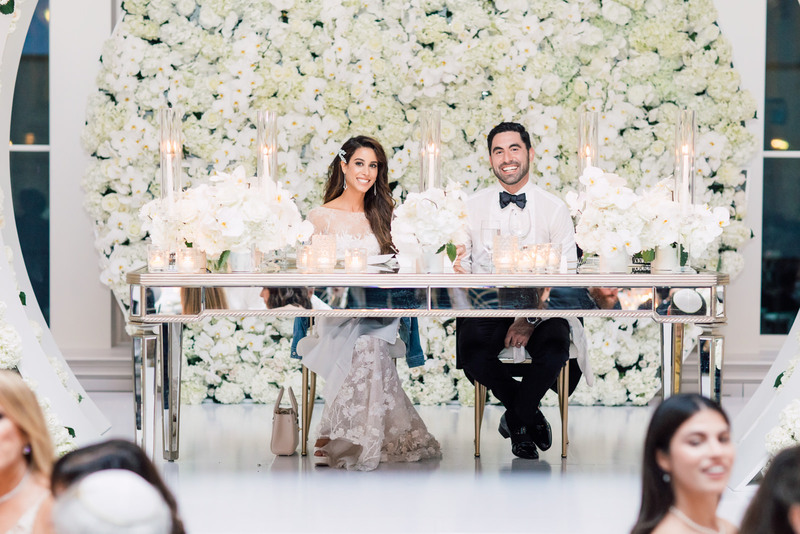 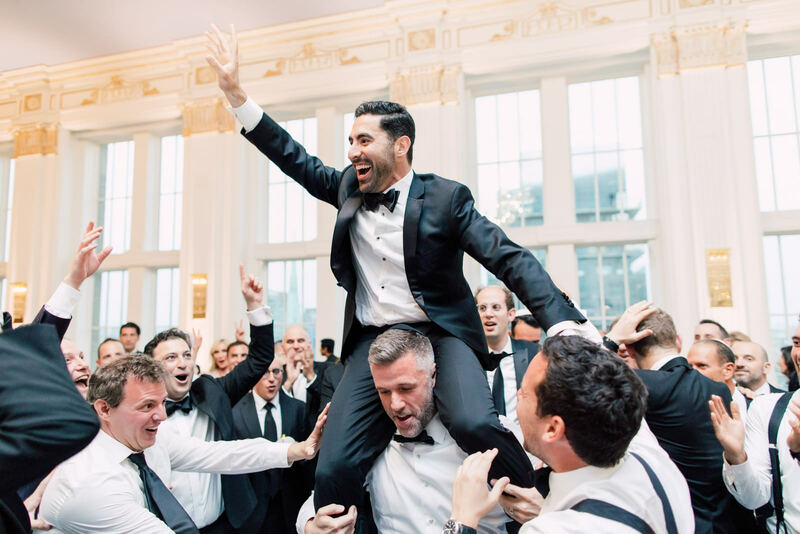 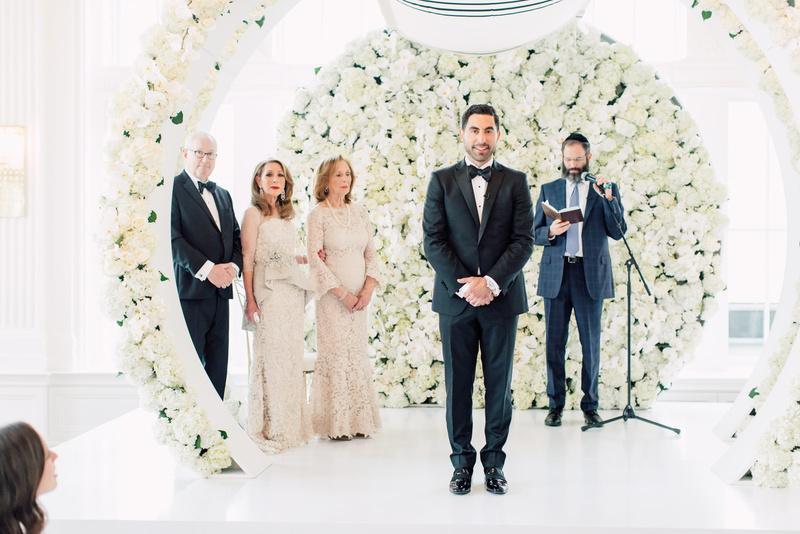 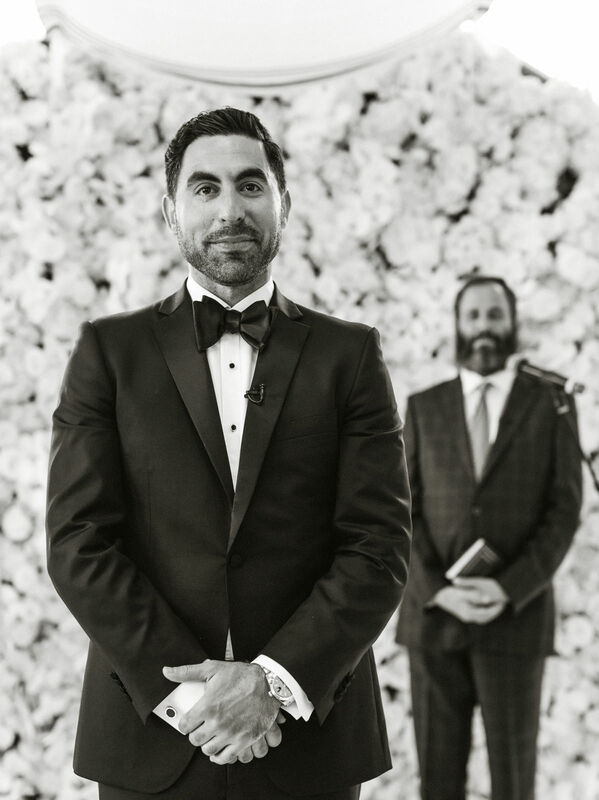 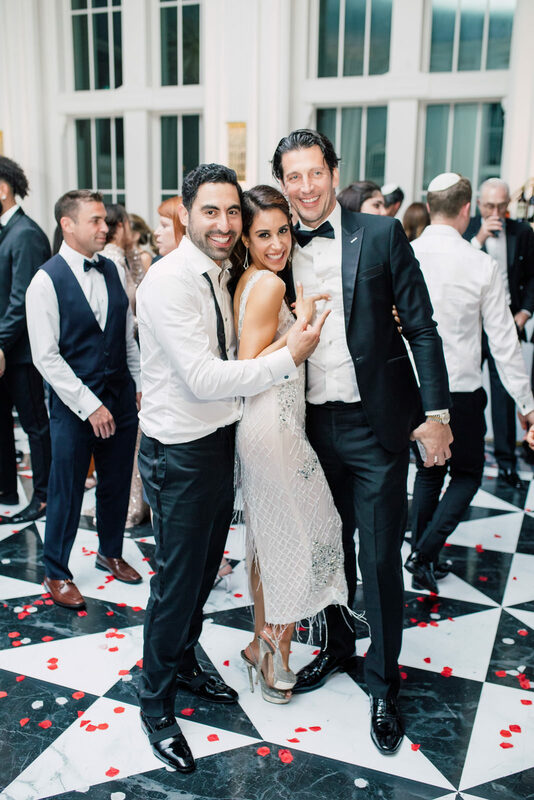 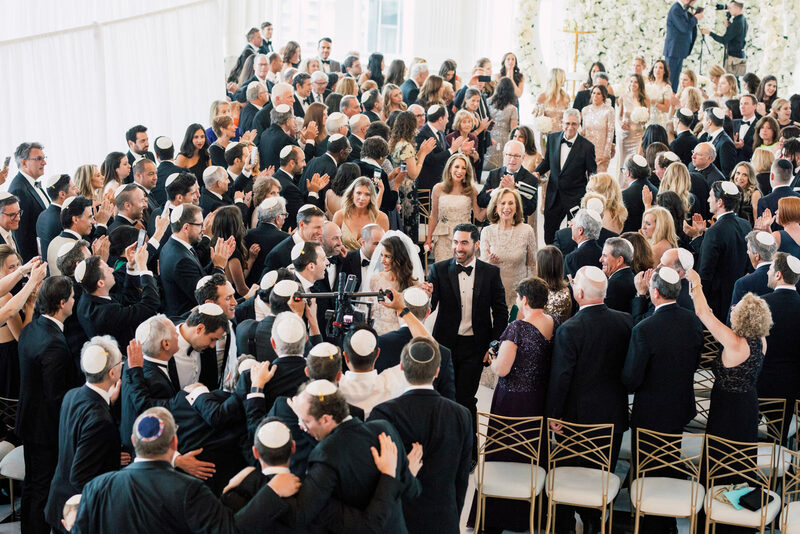 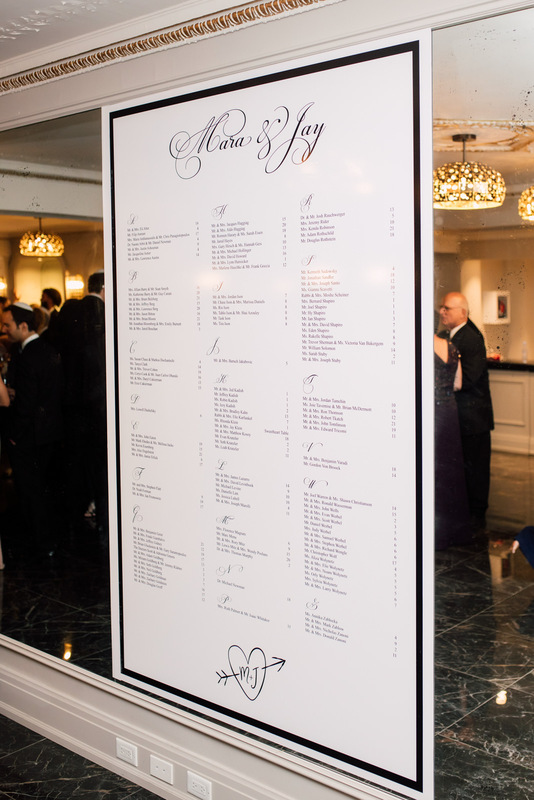 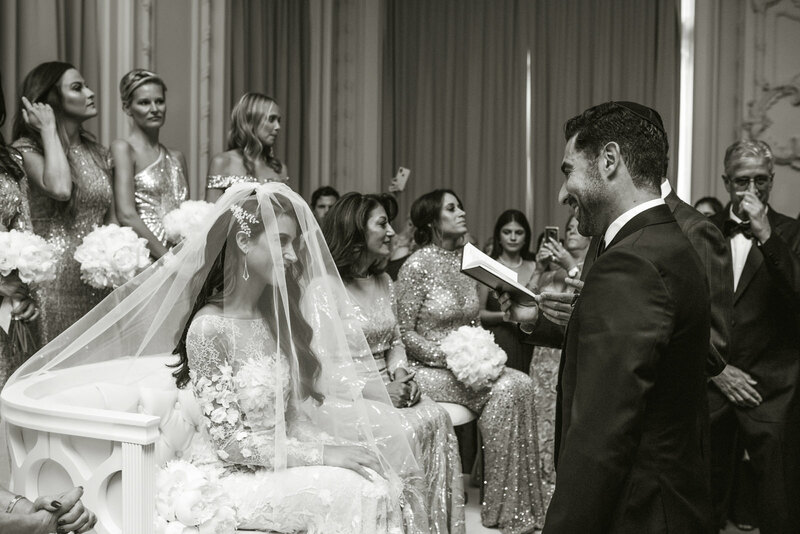 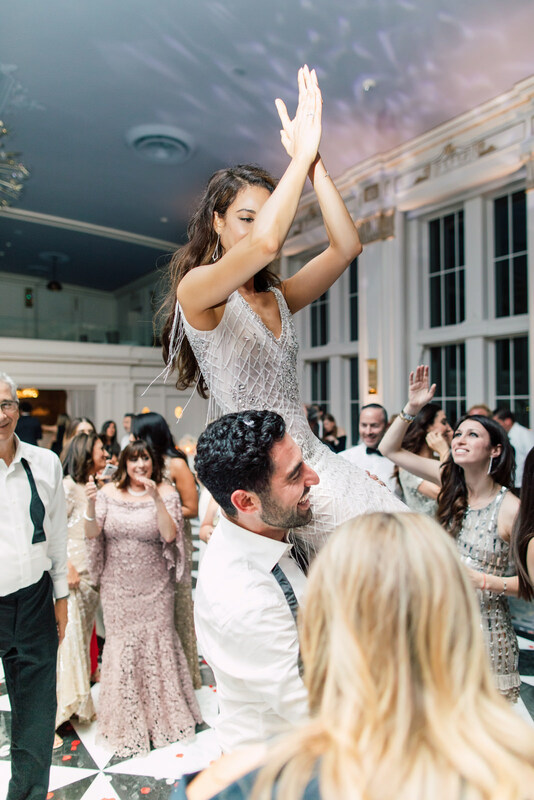 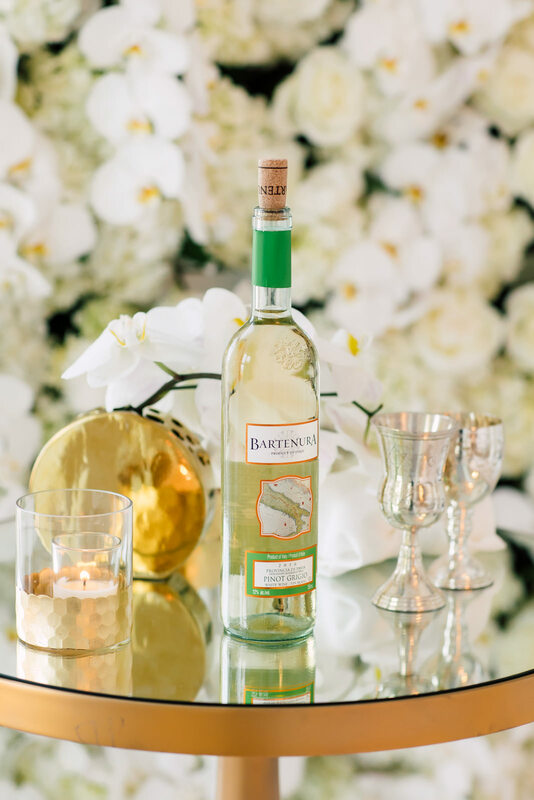 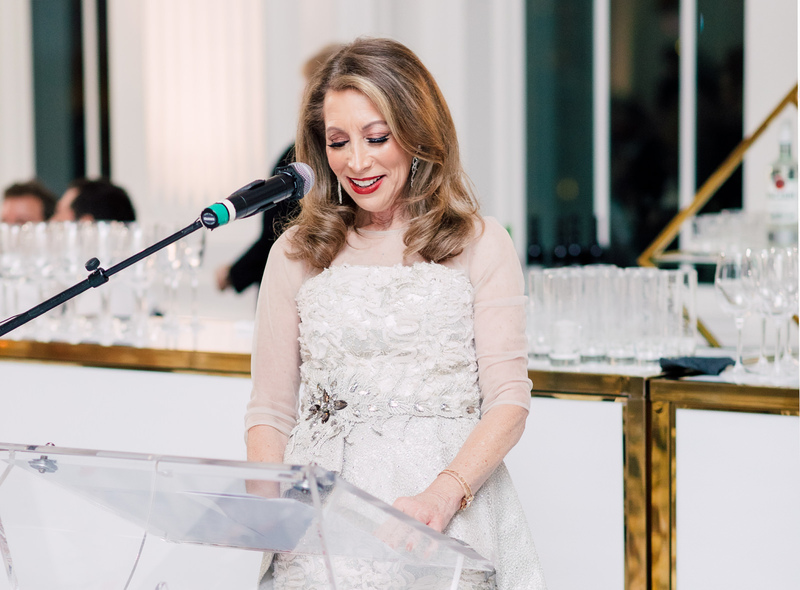 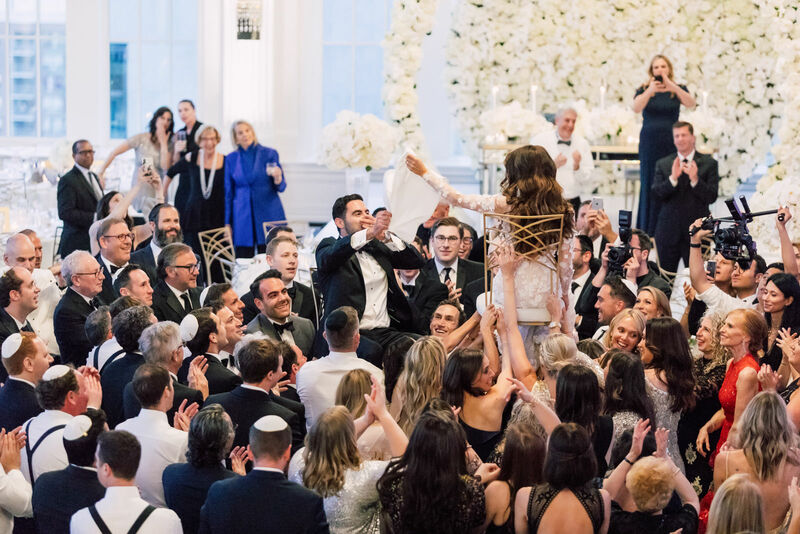 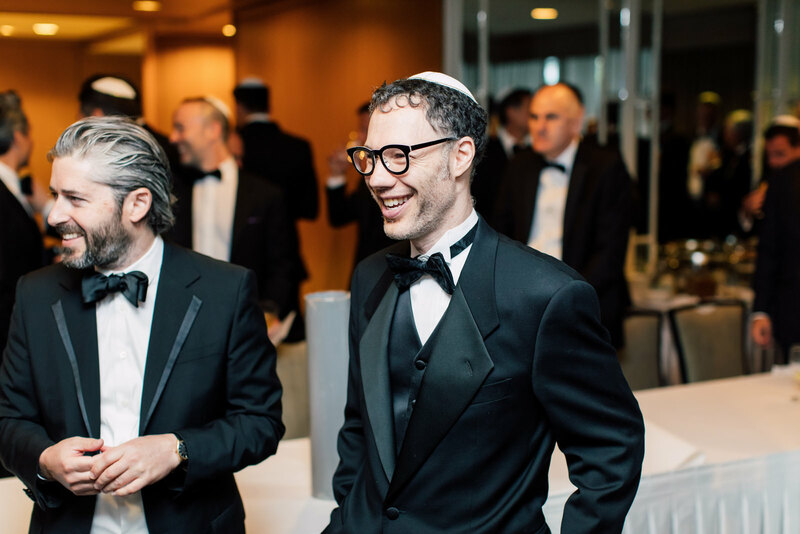 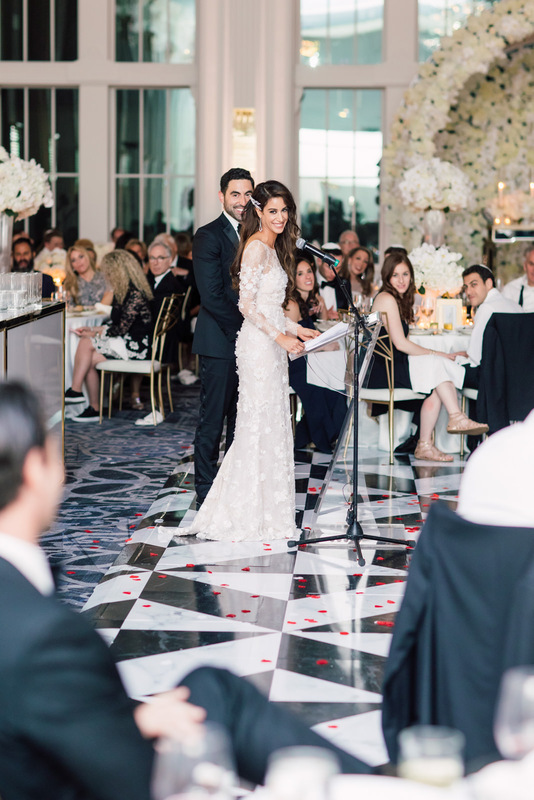 Special speeches and toasts were made by the ones closest to them — those who really saw how their relationship blossomed since the chance encounter that they had, up until the defining moment that eventually led them to their special day. 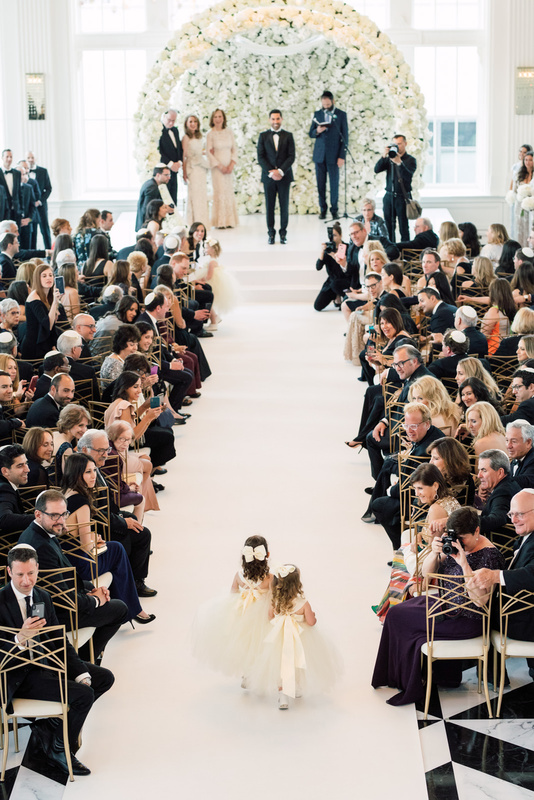 The faces of the people present in the wedding all lighted up at the sight of Mara as she walked down the aisle, and their parents’ faces were filled with pure happiness as they officially gave her hand to Jay, who has been waiting for this moment all his life. 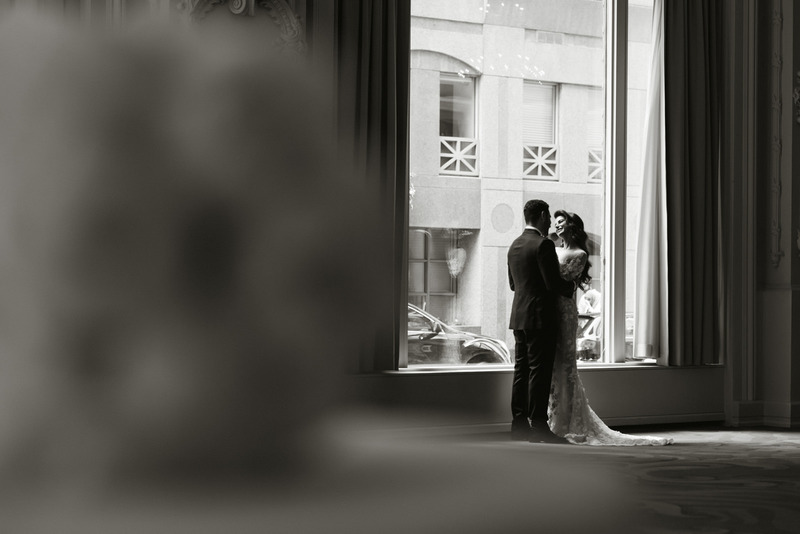 On their special day, Mara did not forget to acknowledge the first woman in Jay’s life. 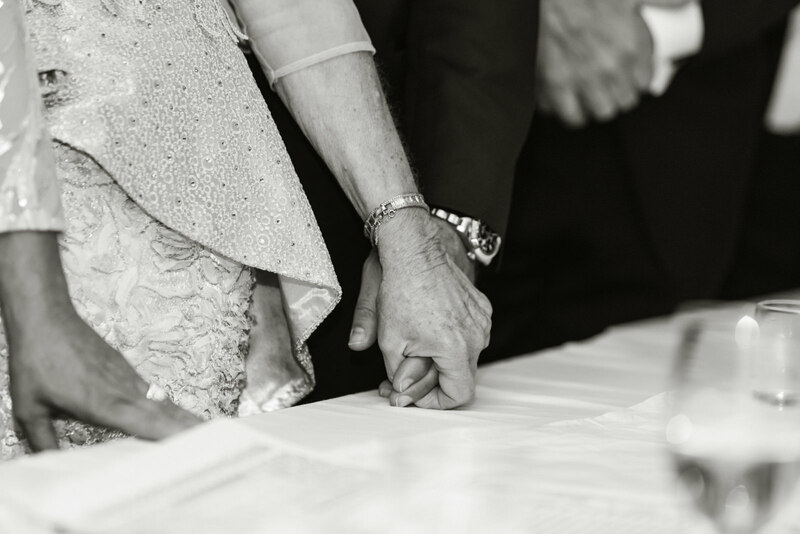 As a gift, she gave her a handkerchief, where these words were embroidered: “Rhonda, thank you for raising the man of my dreams. 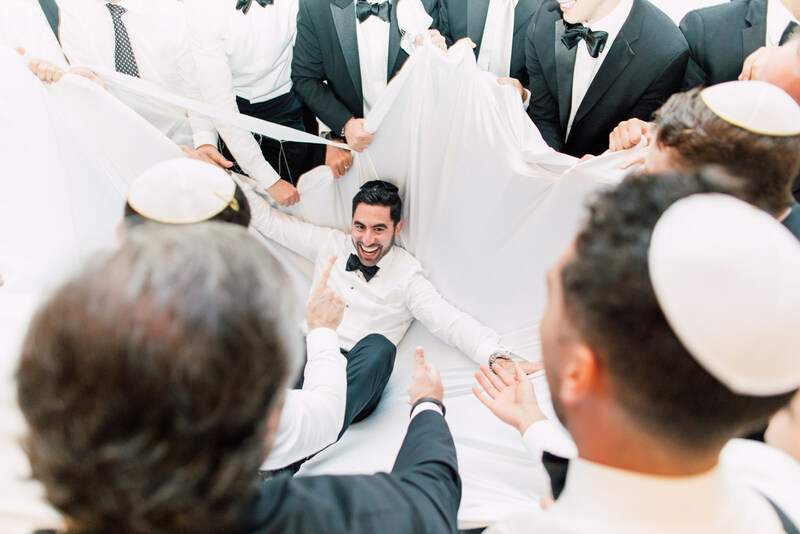 Remember, with Hashem all things are possible. 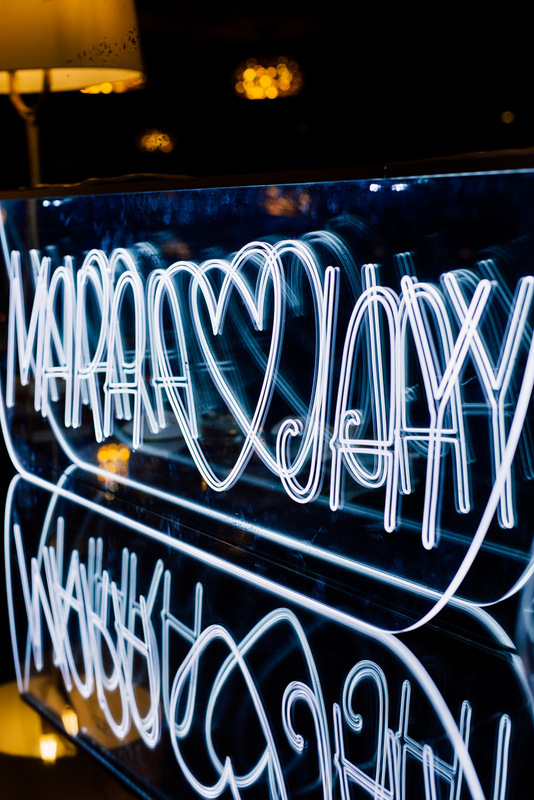 Love, Mara”. 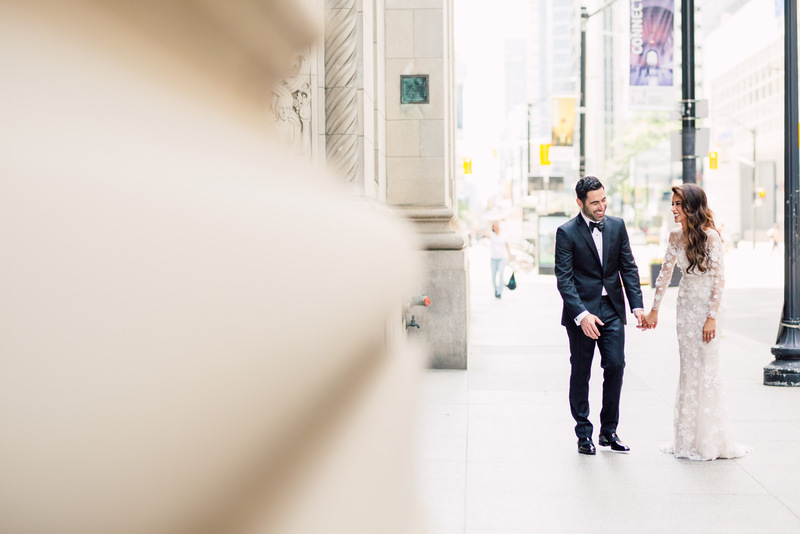 What a sweet way to begin their journey together as man and wife. 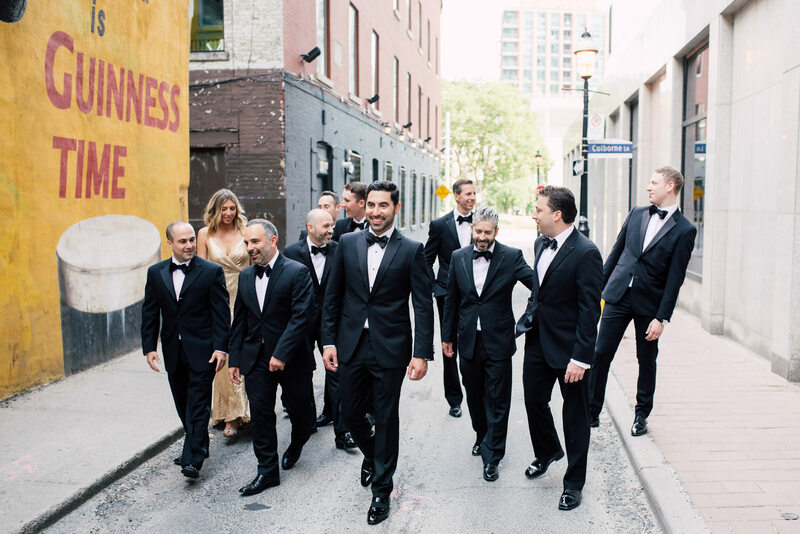 The bridesmaids and groomsmen, with some of the family members, took a stroll with us down the street as we captured some of their best moments that day, full of life, laughter, and love. 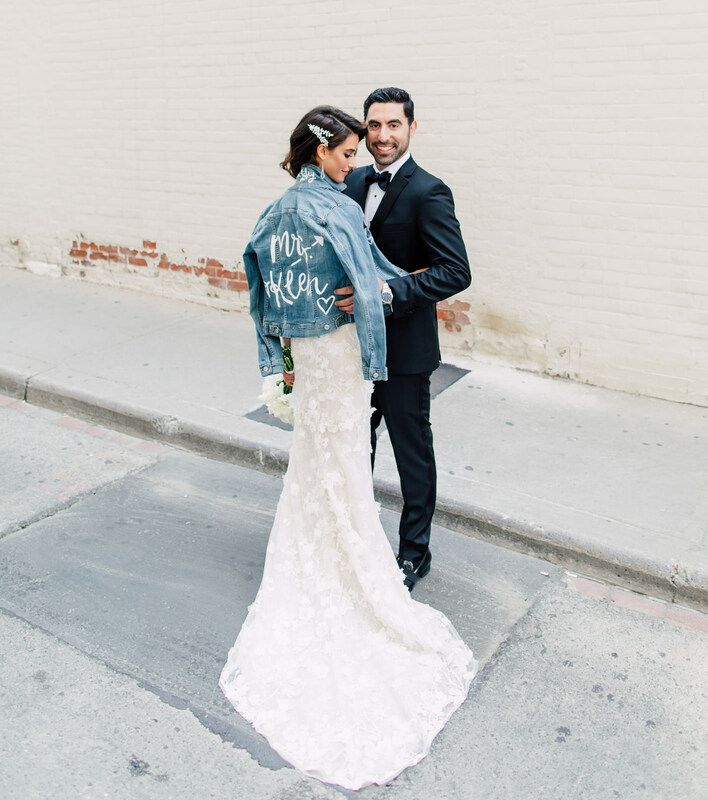 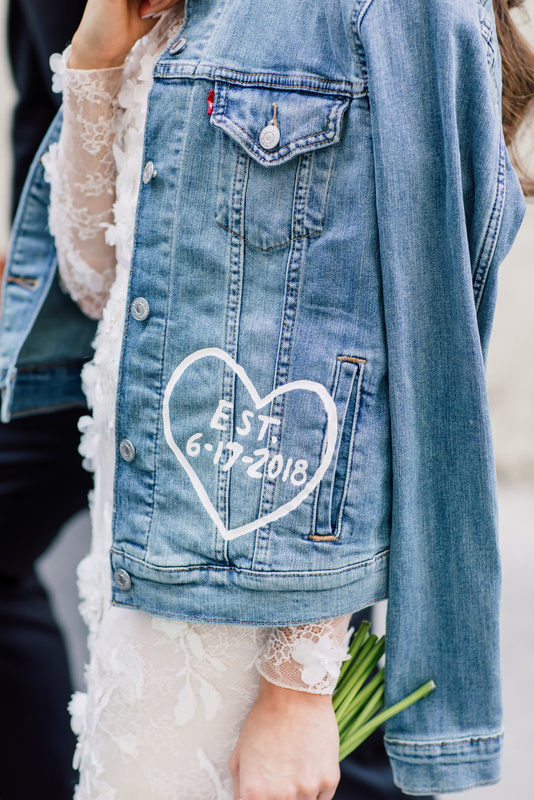 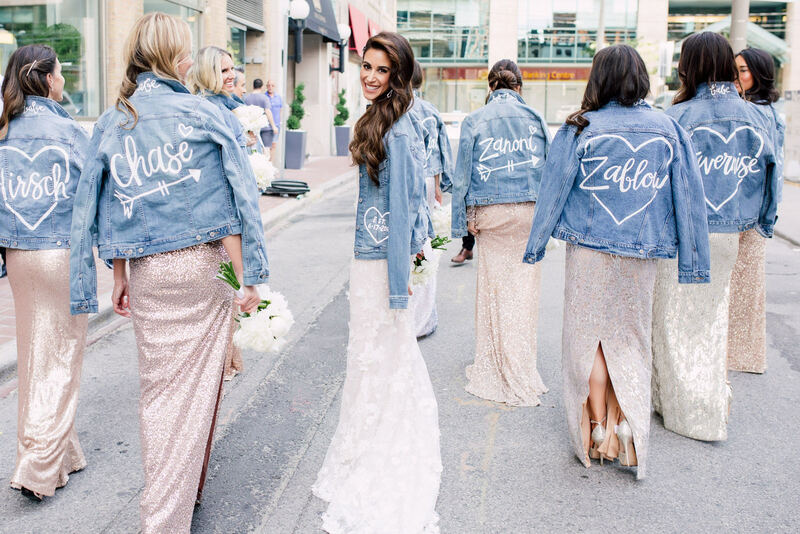 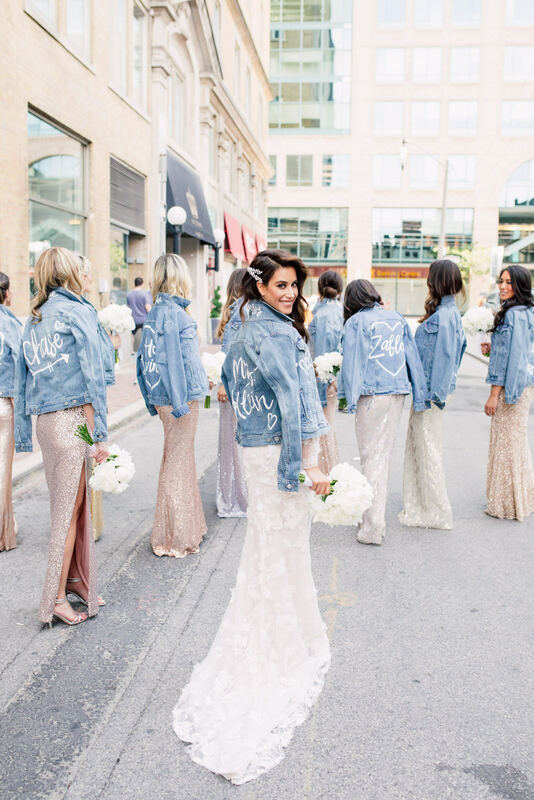 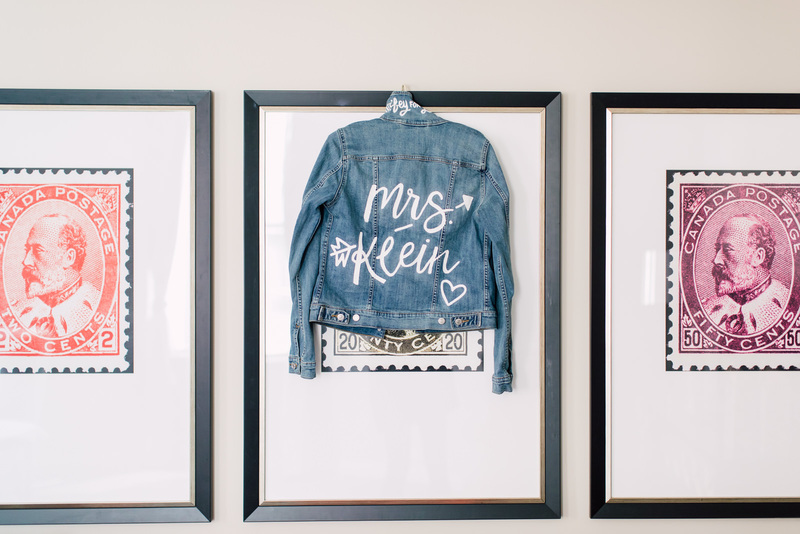 Mara’s bridesmaids sported a personalized blue denim jacket that each had their last names over them. 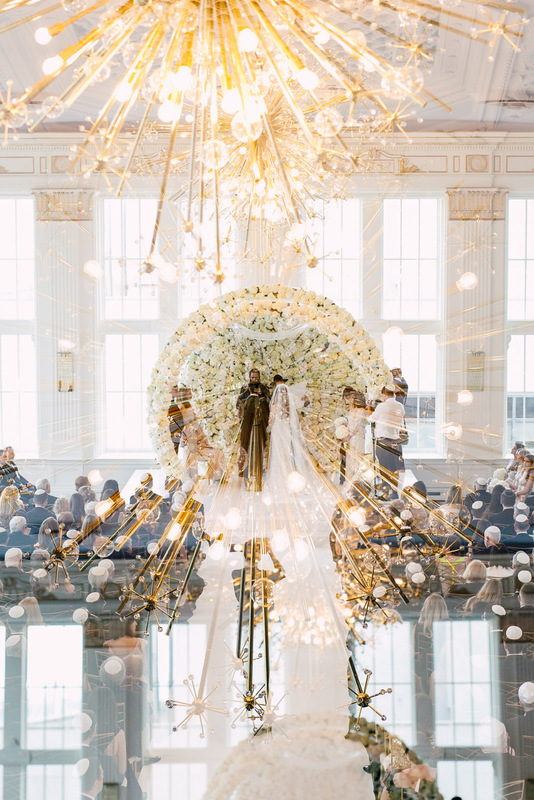 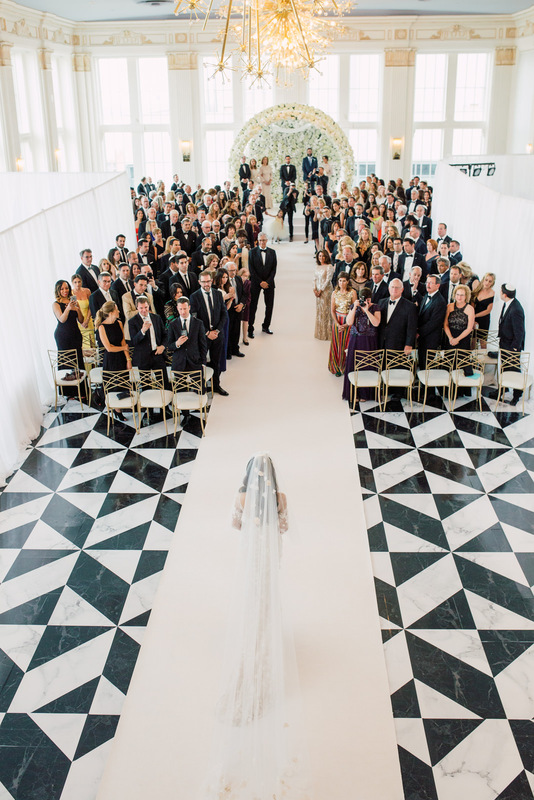 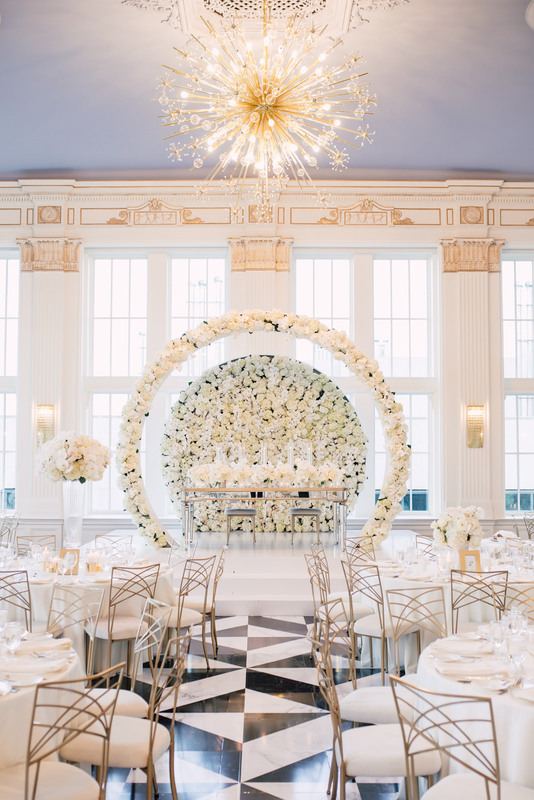 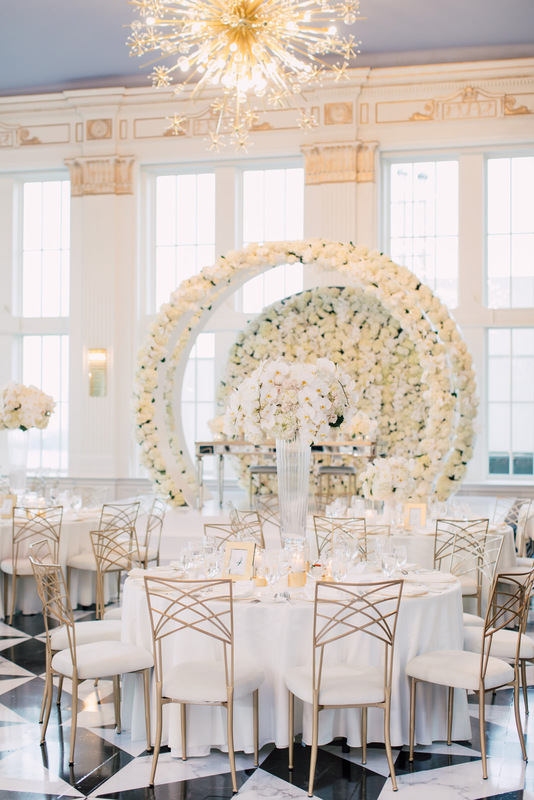 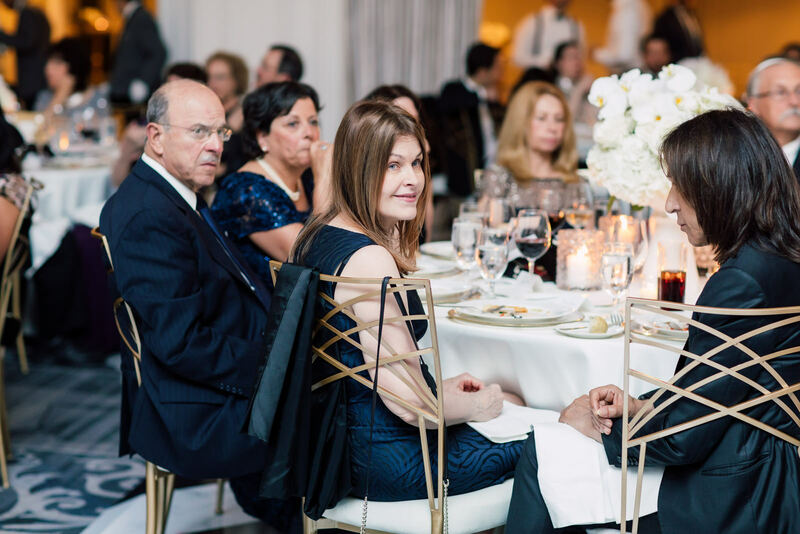 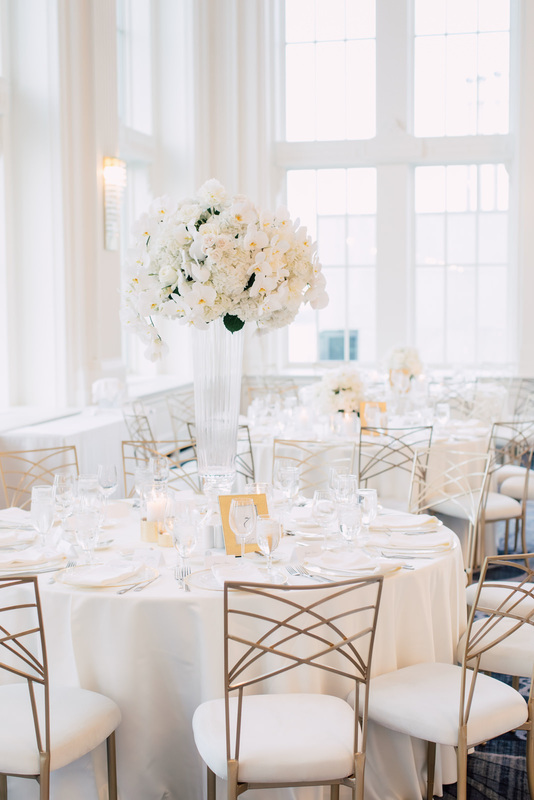 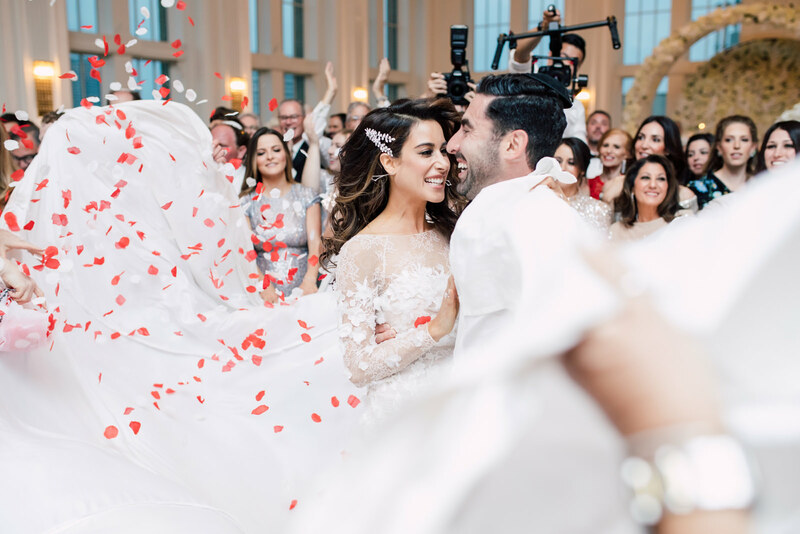 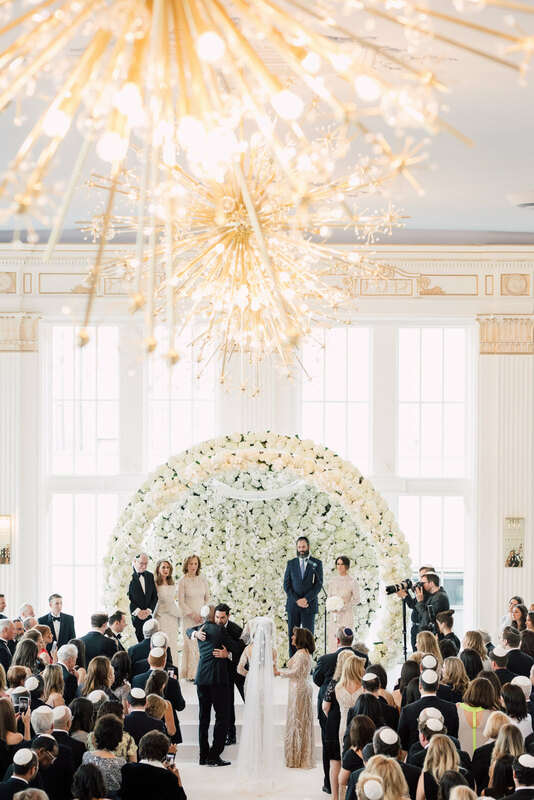 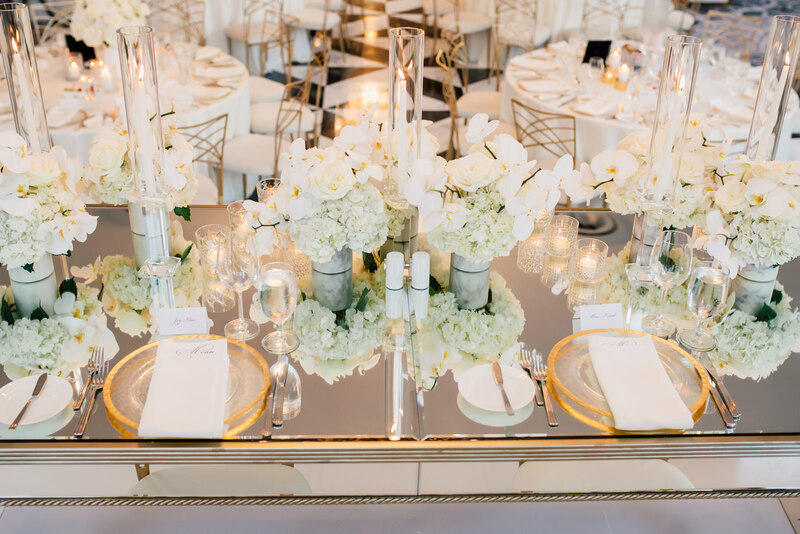 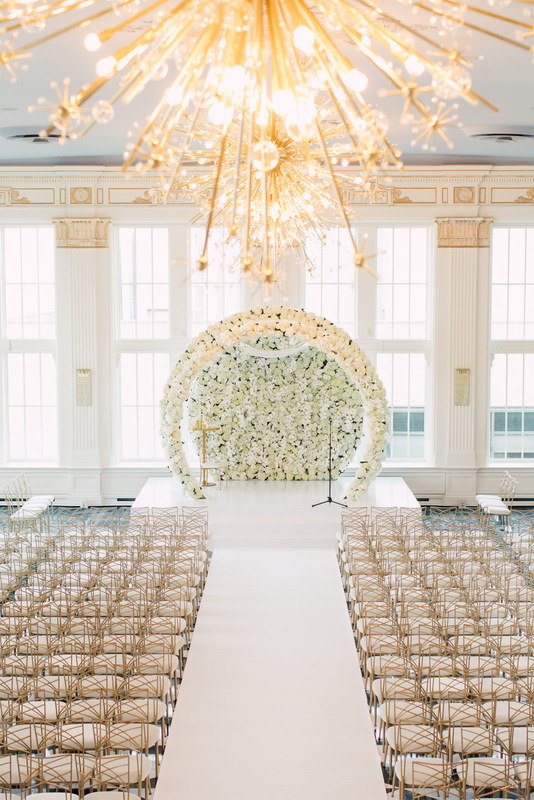 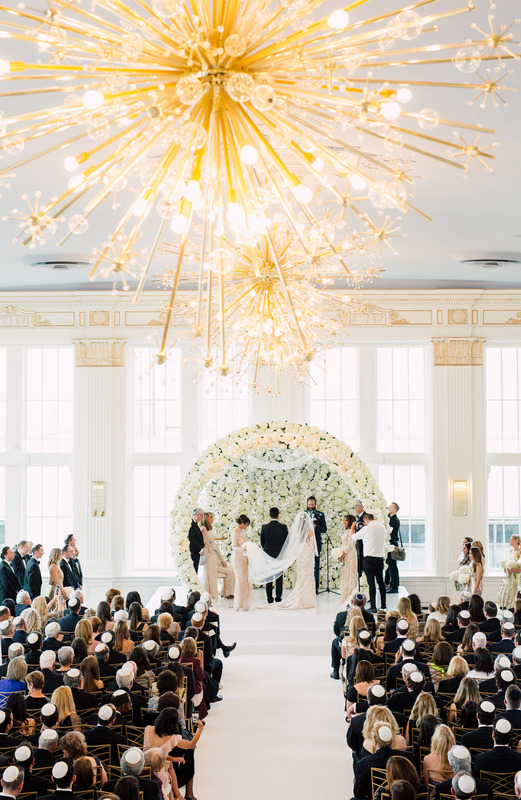 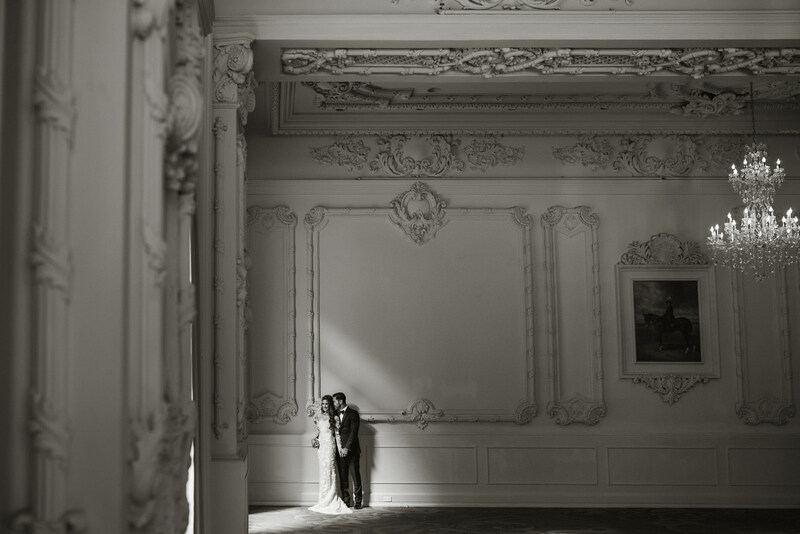 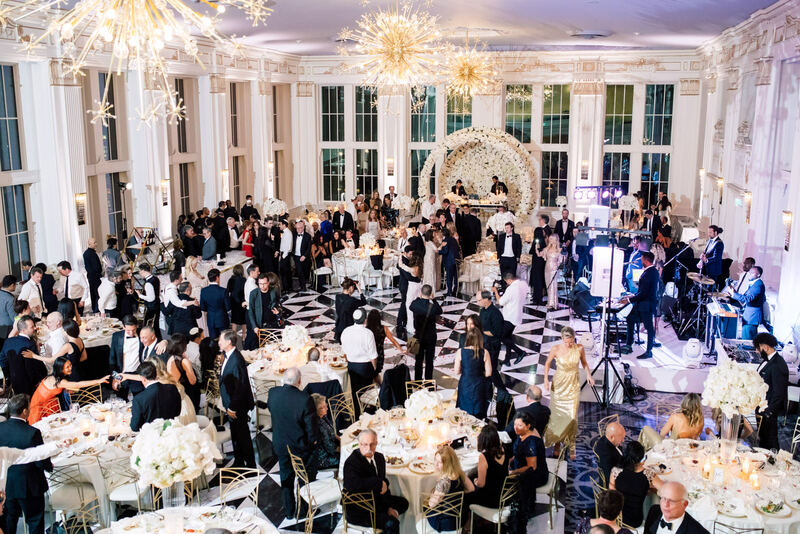 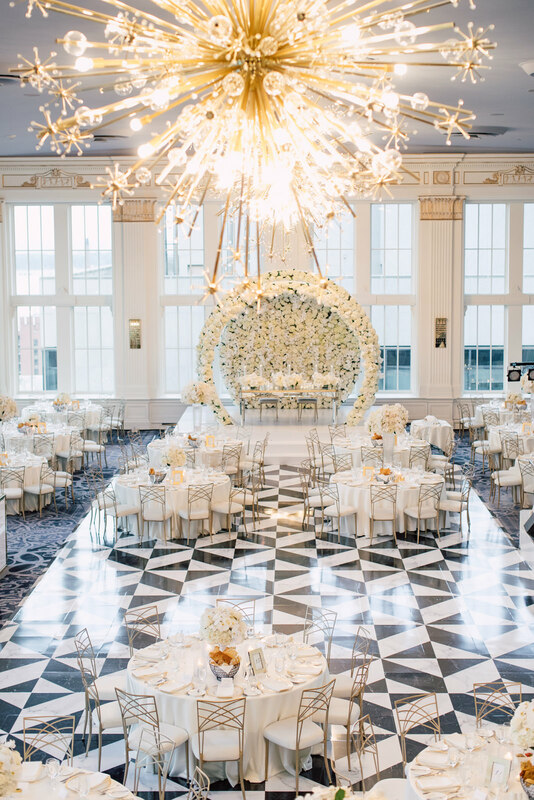 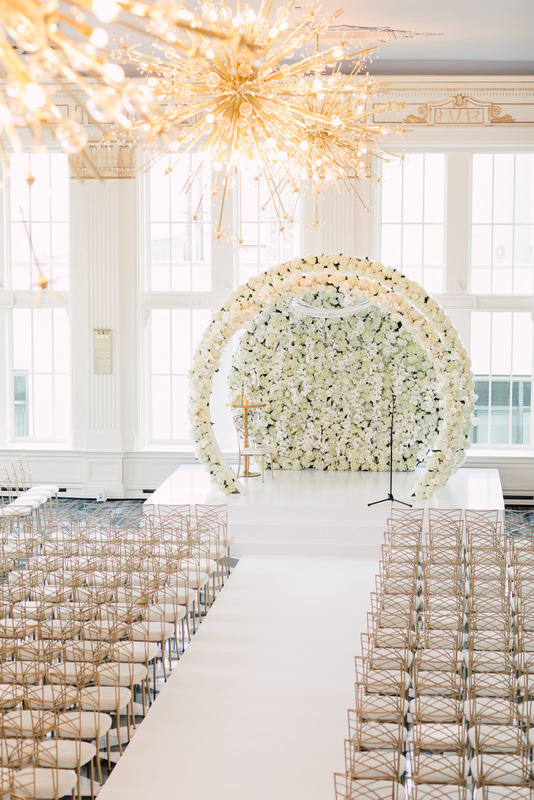 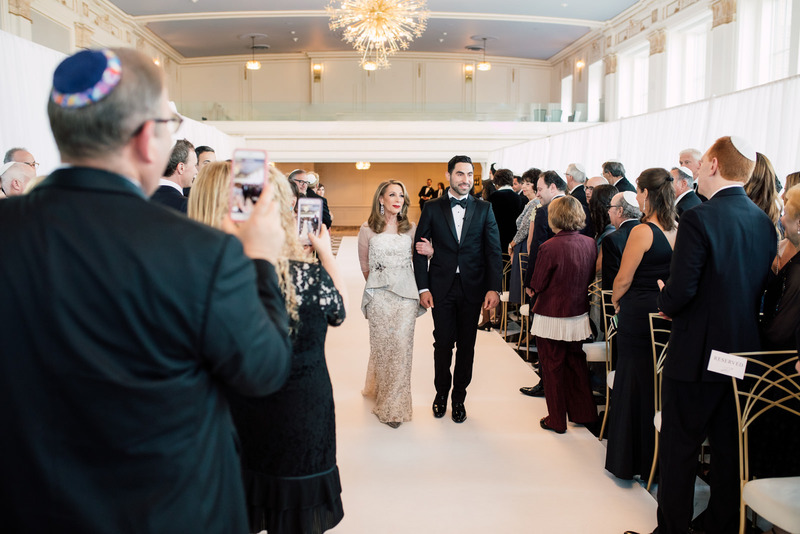 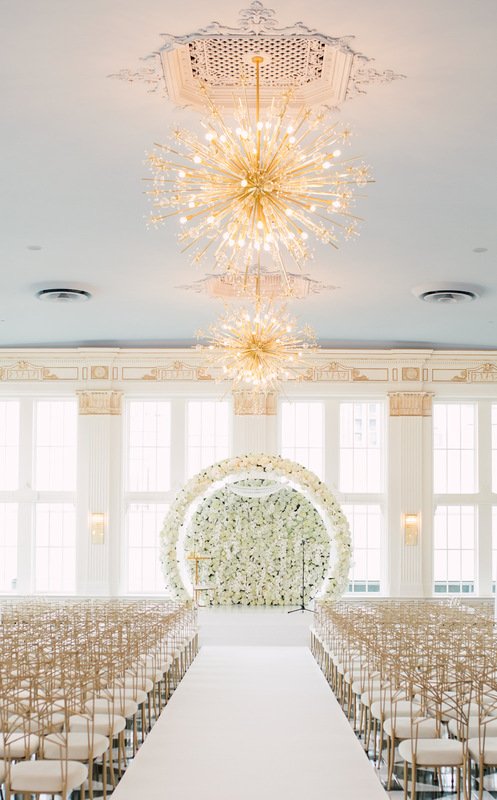 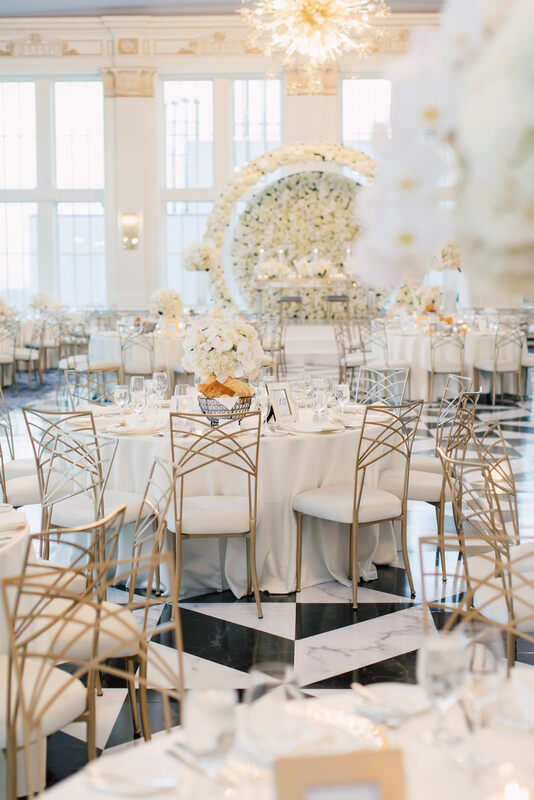 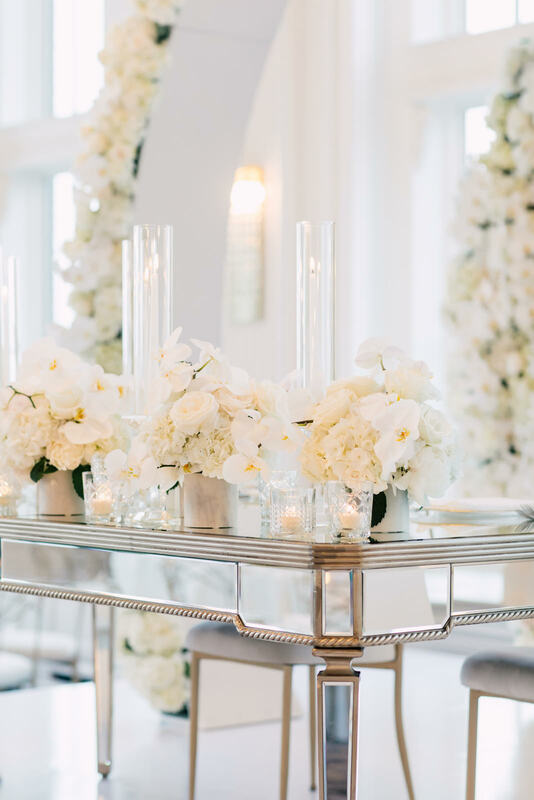 One of the best things that is worth noting about their wedding was the unforgettable set-up in the Crystal Ballroom, which was beautiful, bright and elegant. 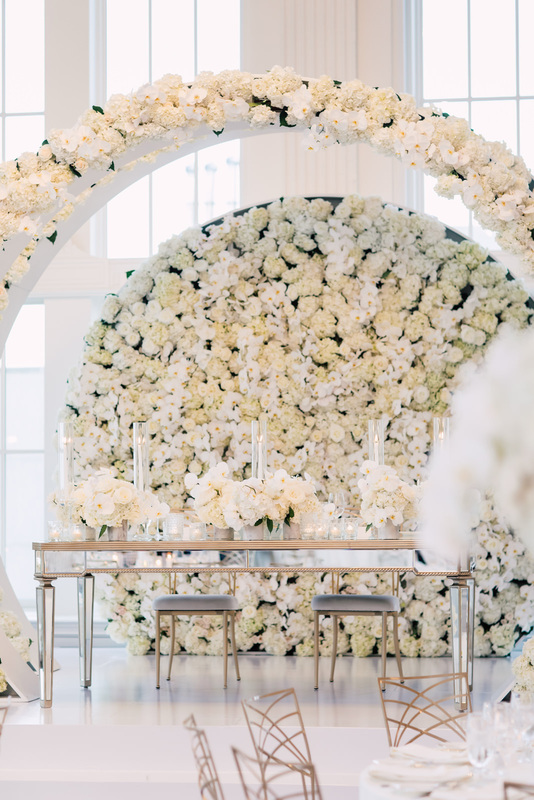 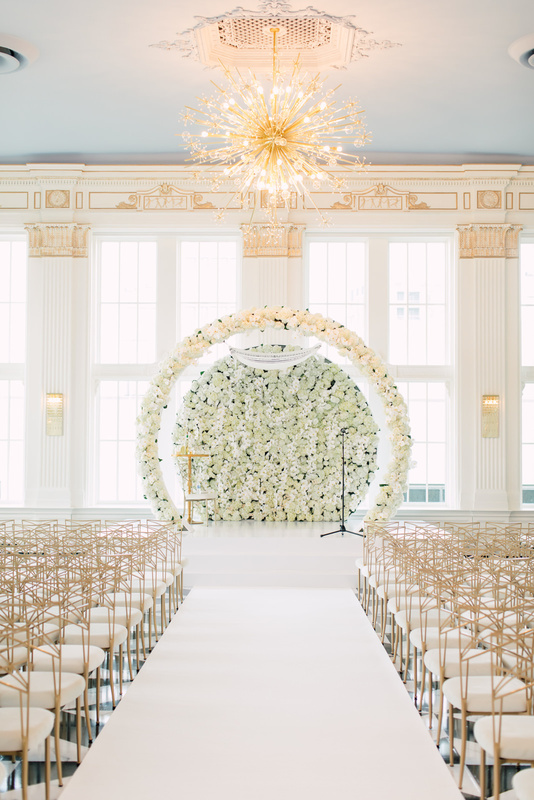 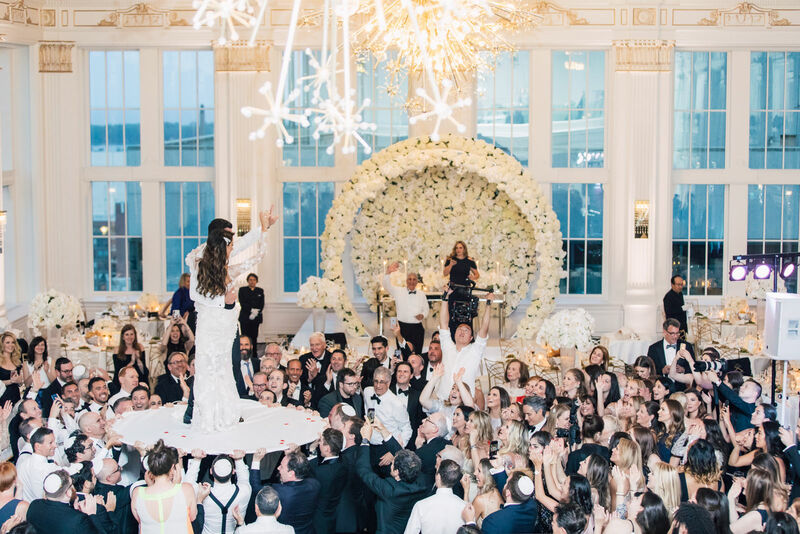 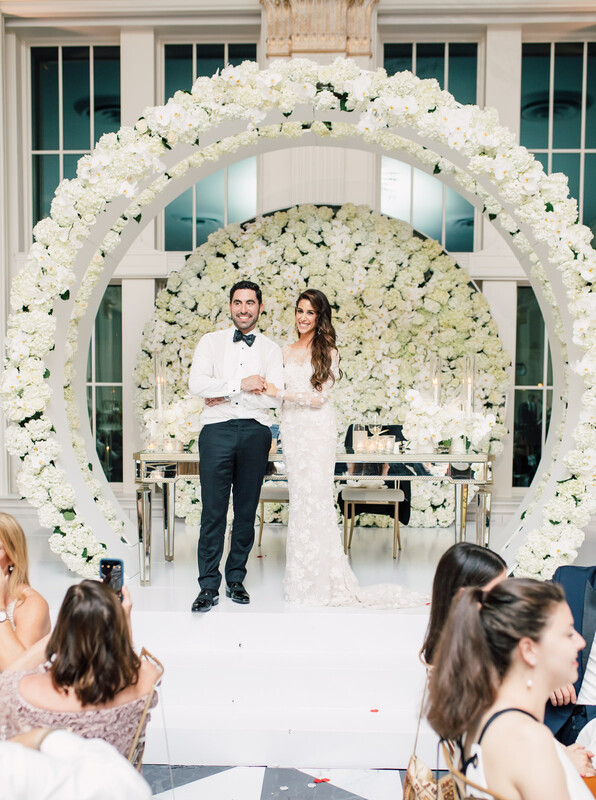 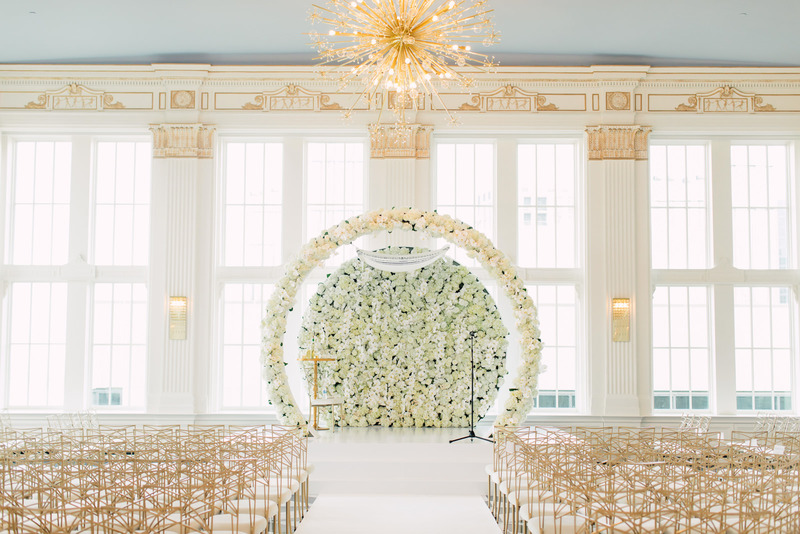 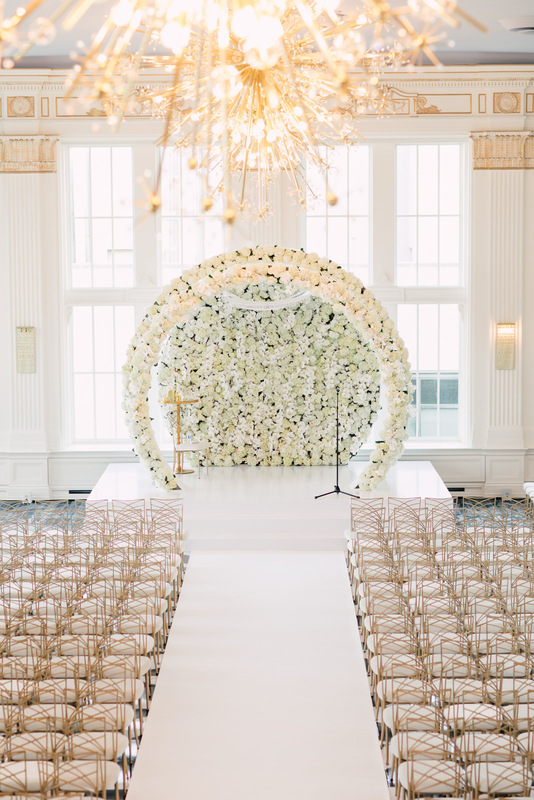 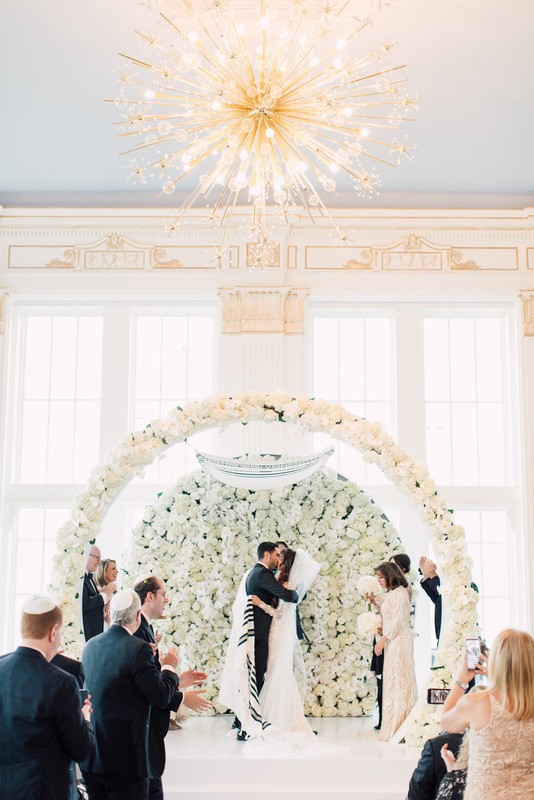 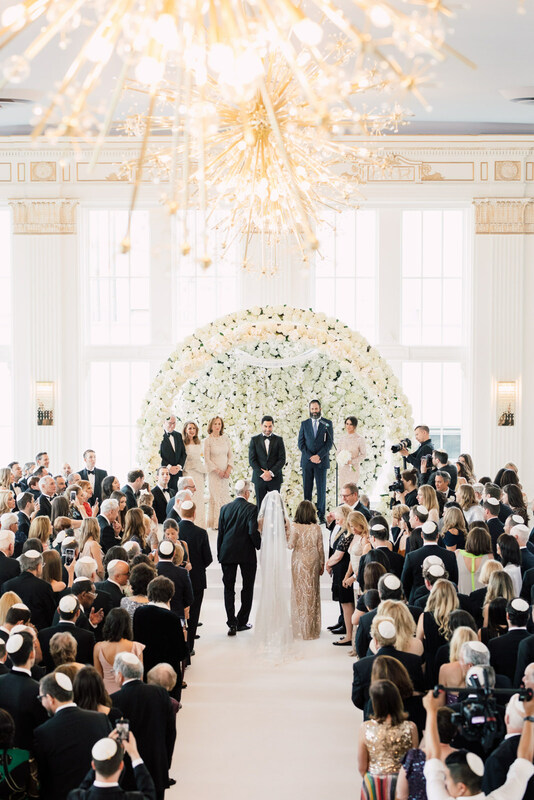 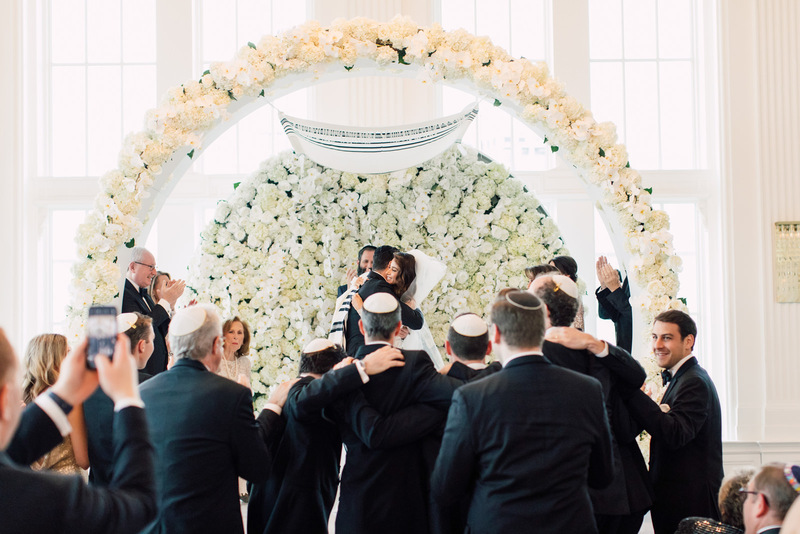 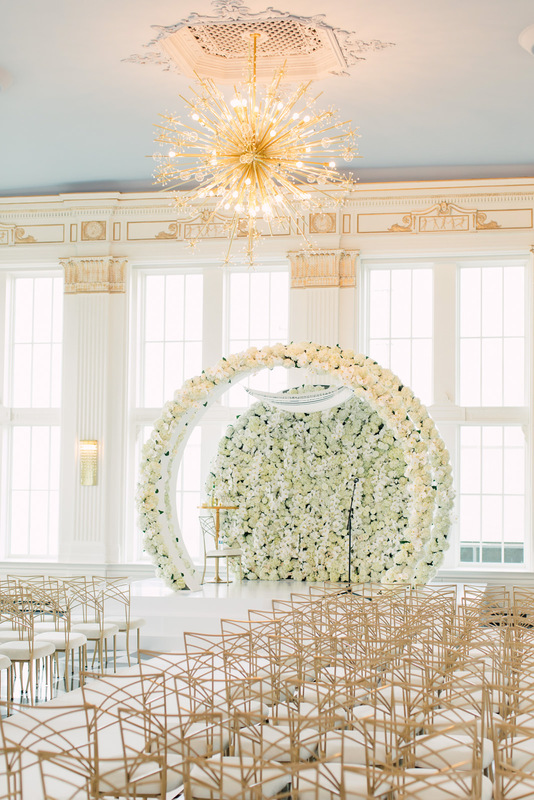 The altar had a huge circular backdrop filled entirely with white flowers, which gave the look of grandeur for the whole room. 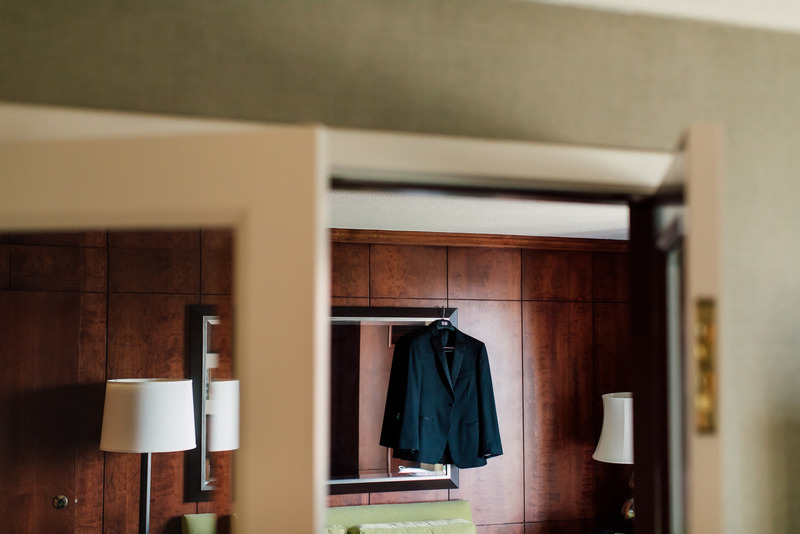 It’s a perfect statement of the concept less is more. 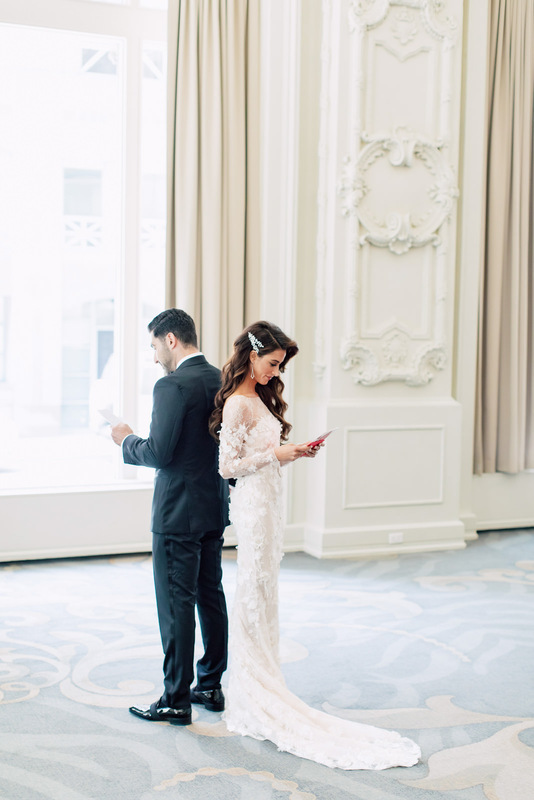 Their reception was also held in the same venue. 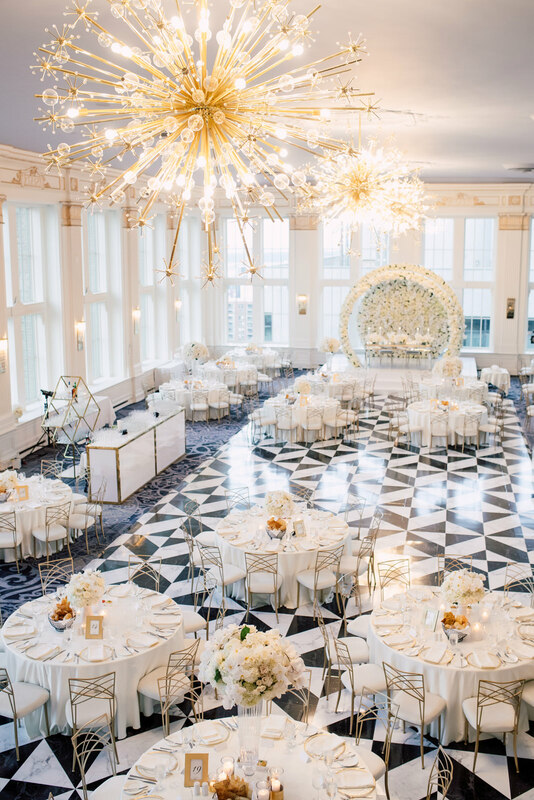 The timeless elegance of Beauty and the Beast and the extravagant class of The Great Gatsby molds this night to remember. 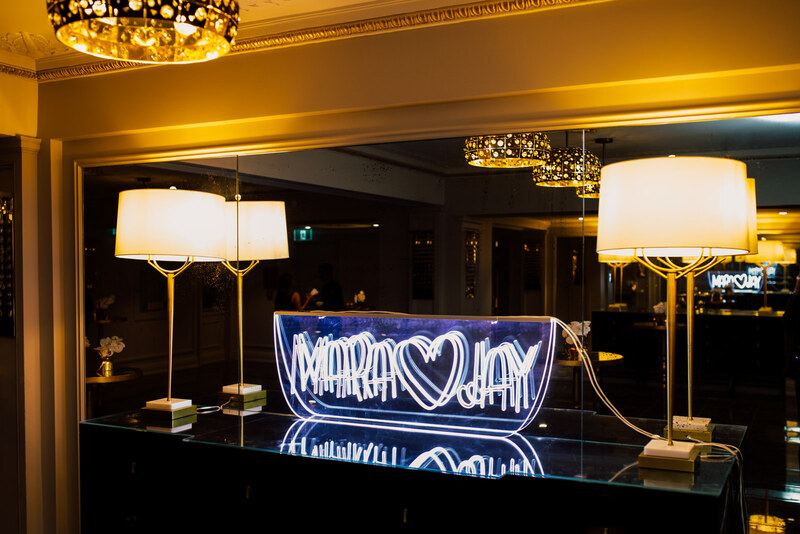 Mara and Jay’s love for each other overflows to the people they surround, including us! 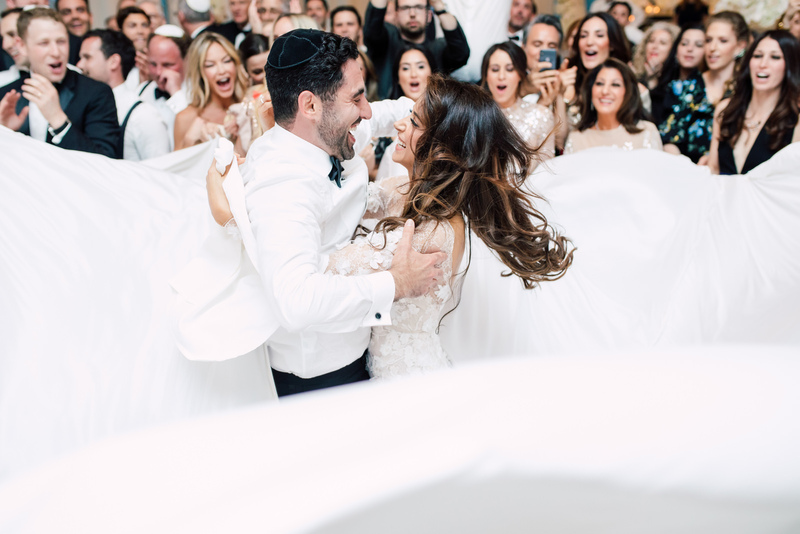 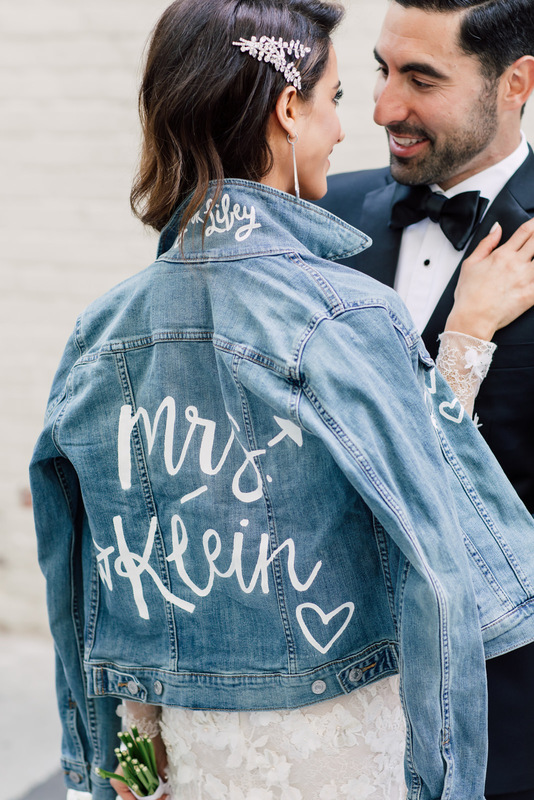 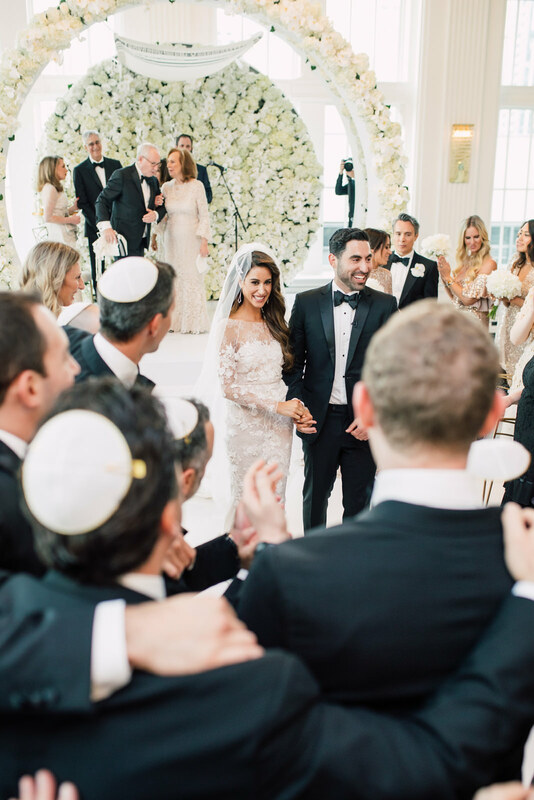 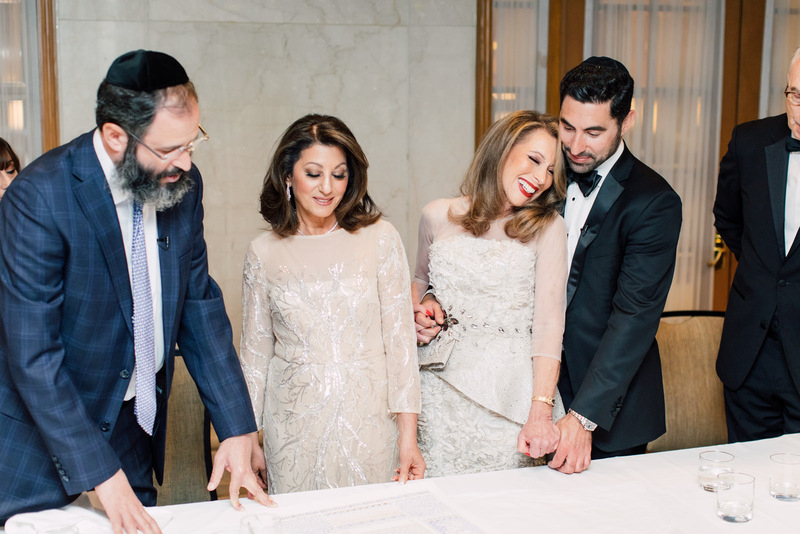 We love you Mr. and Mrs. Klein! 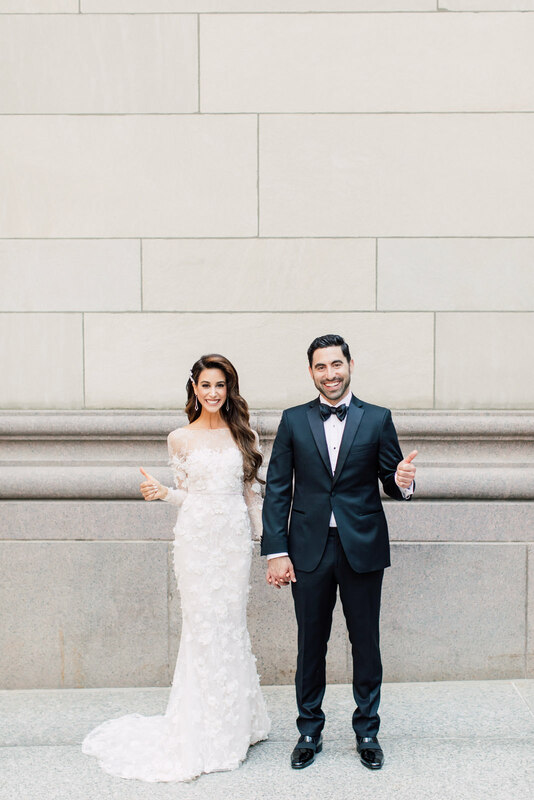 It seems like everyone fell in love with this couple! 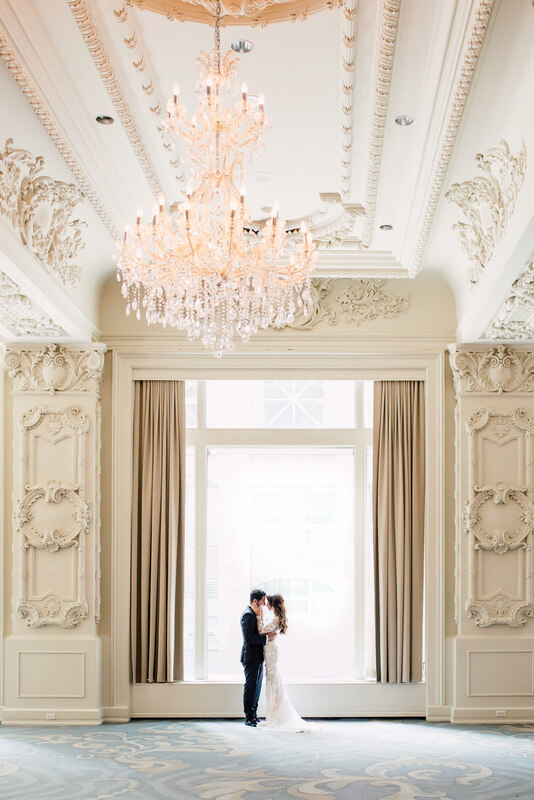 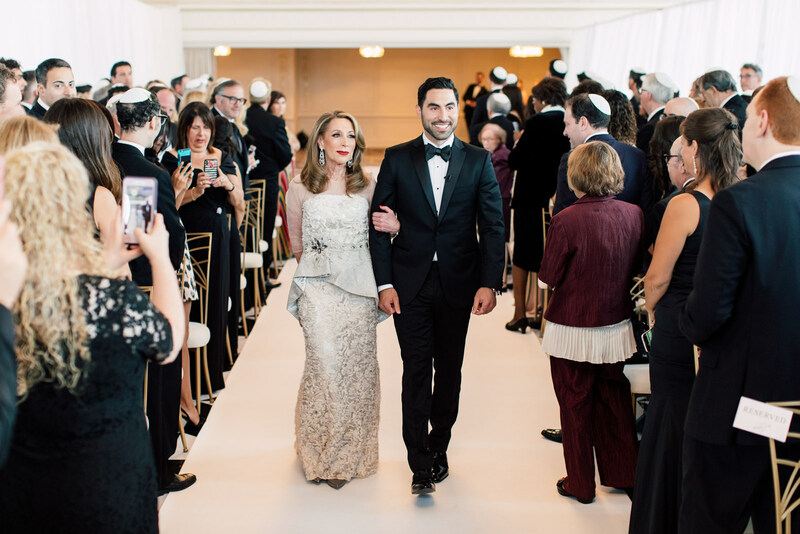 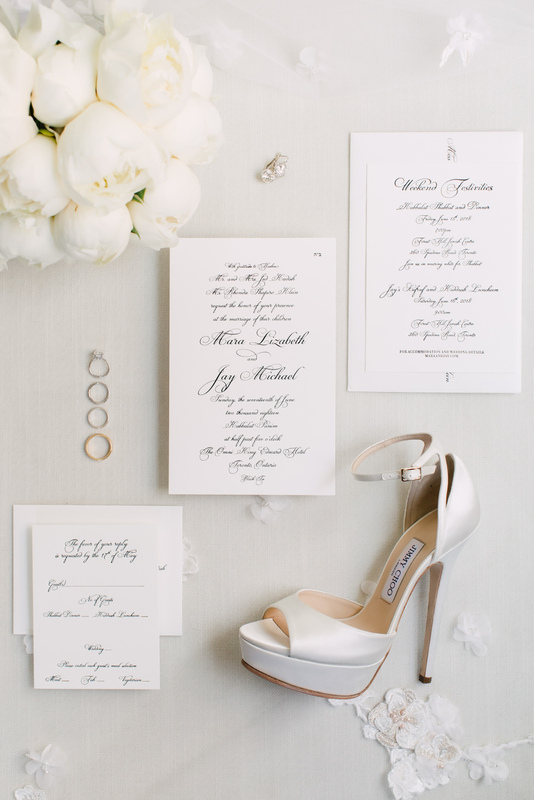 Mara and Jay is featured in the latest edition of Wedluxe Magazine. 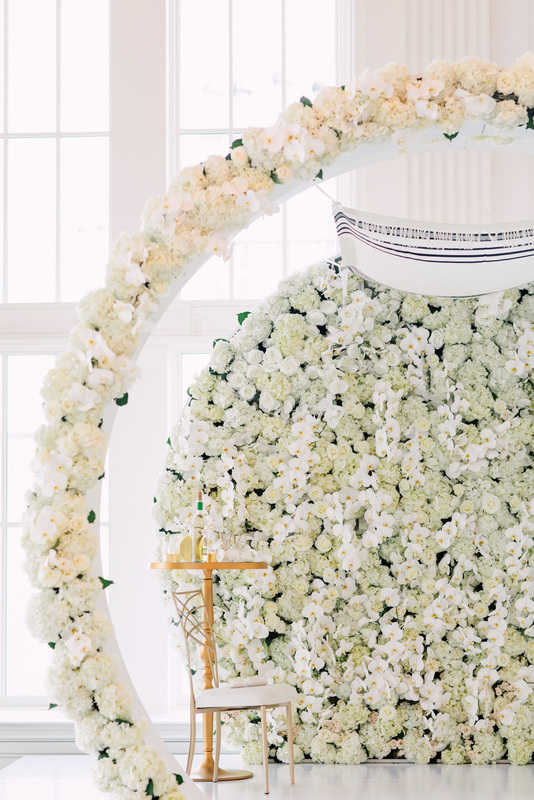 Florist – Artam Design Inc.